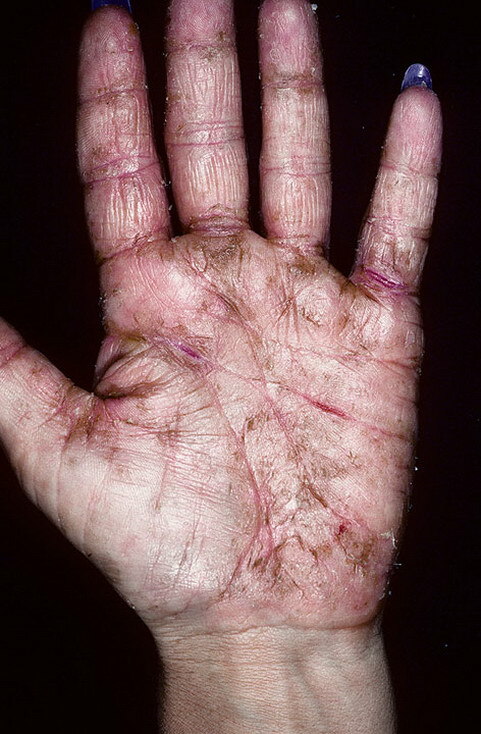 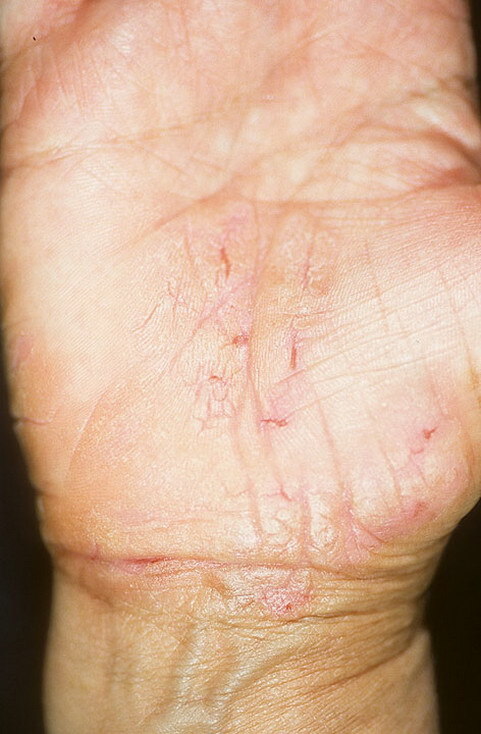 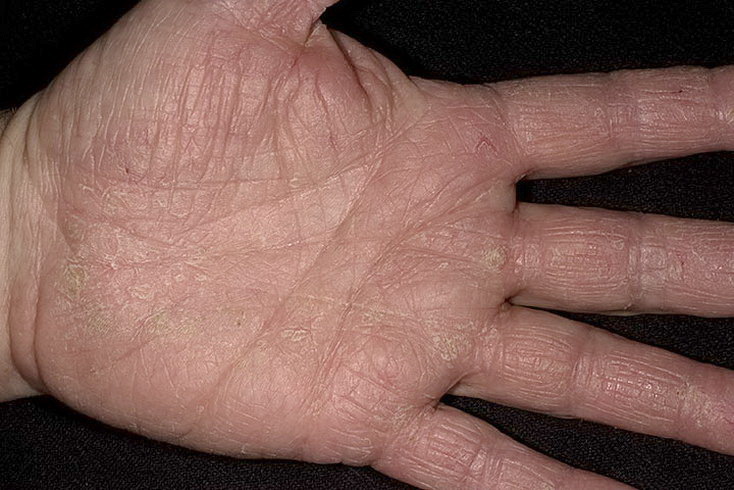 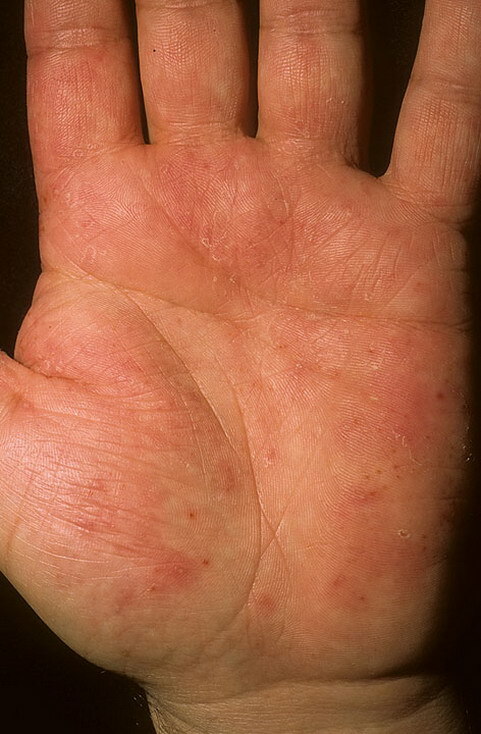 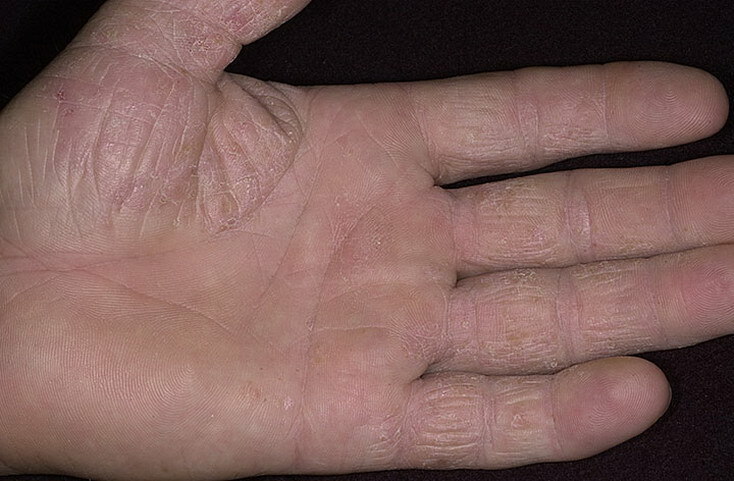 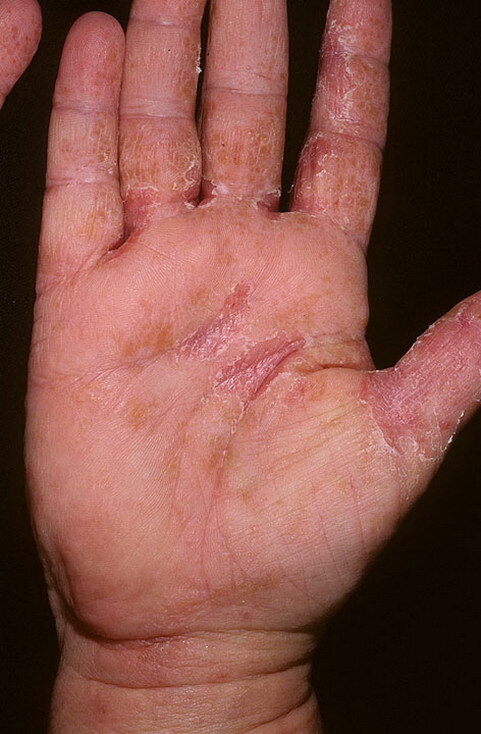 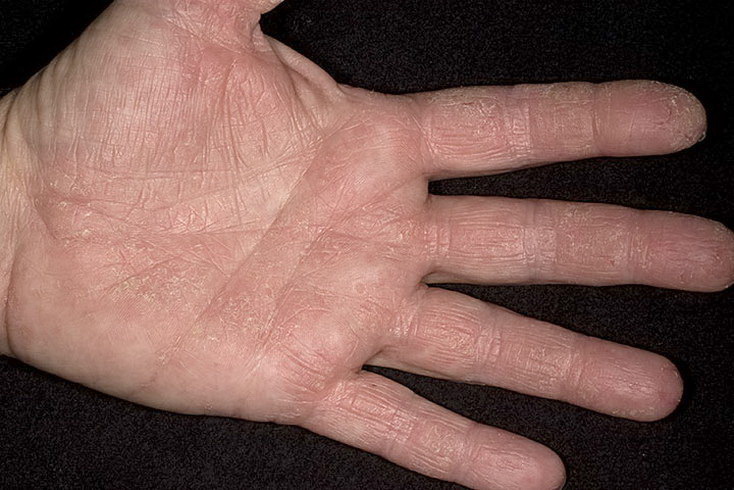 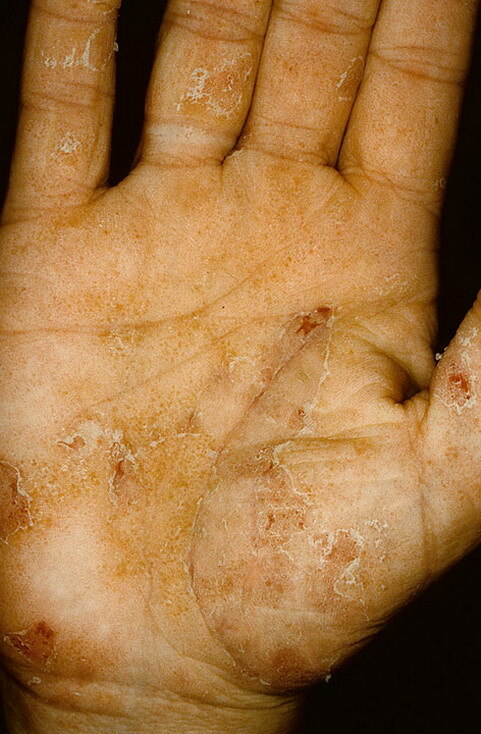 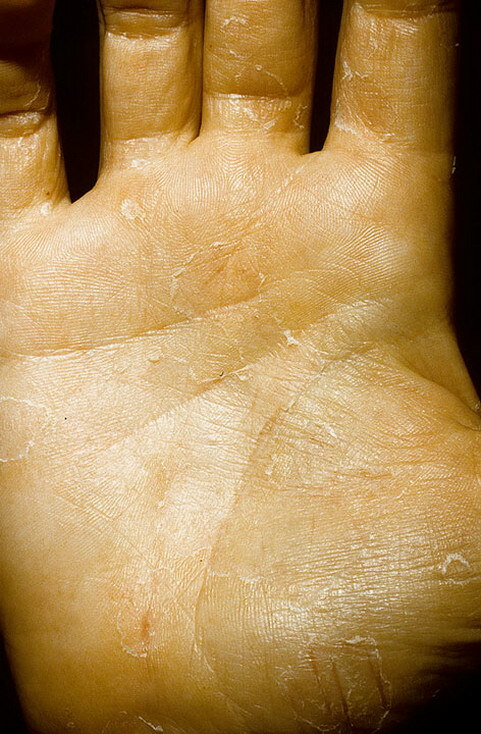 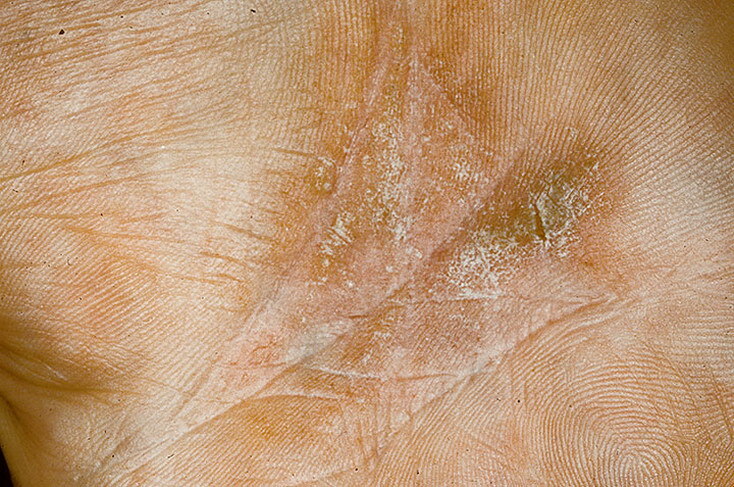 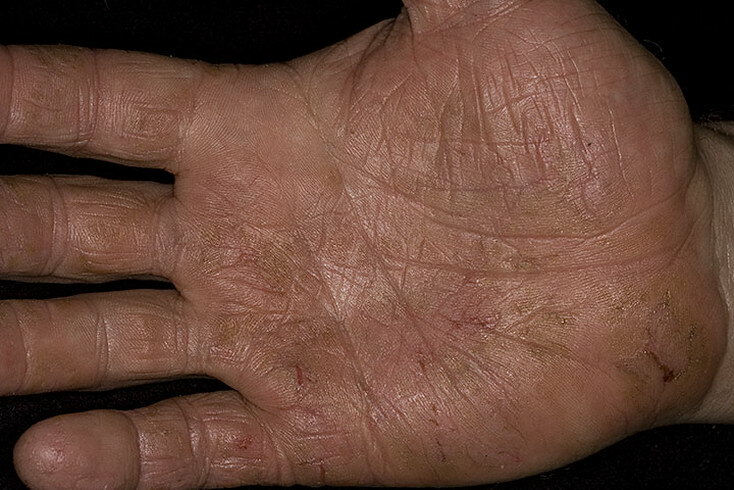 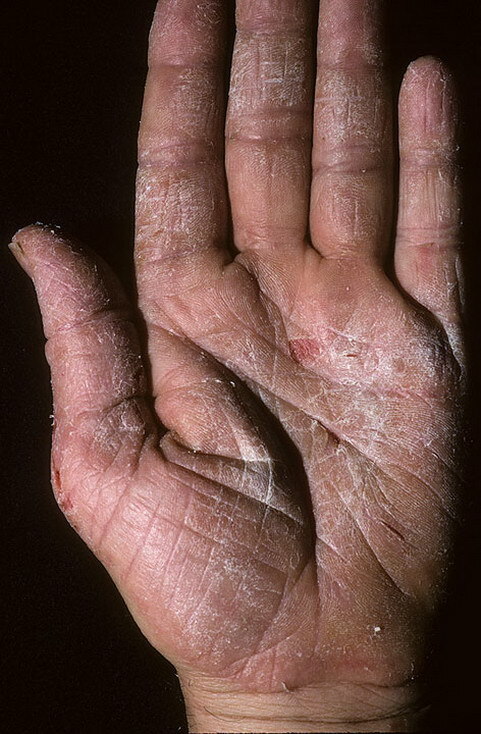 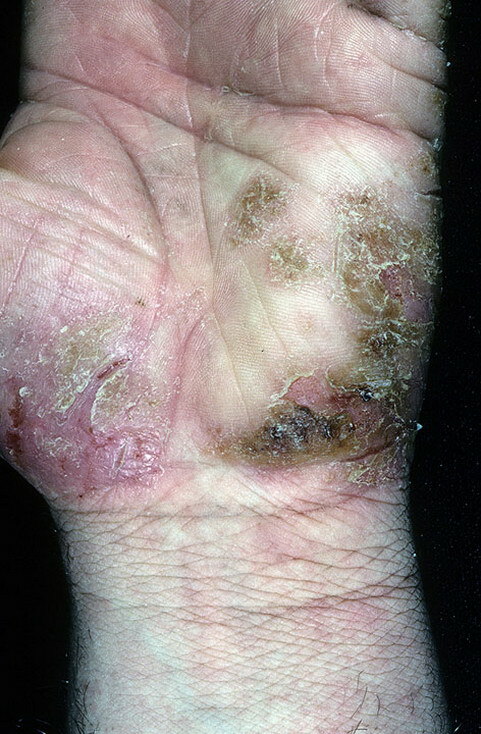 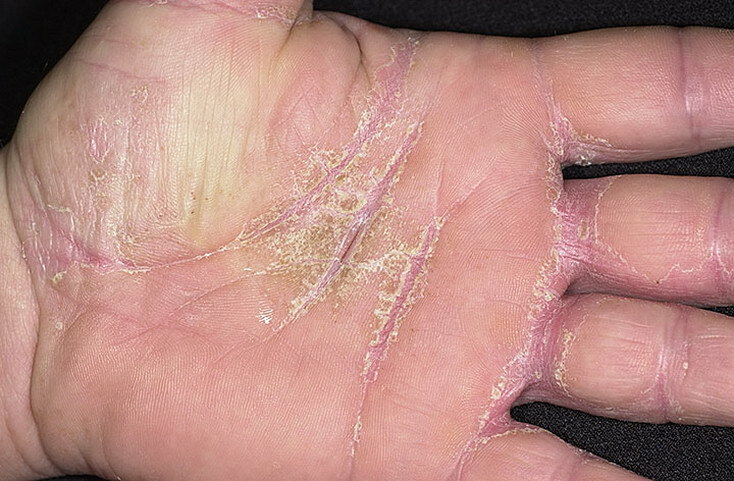 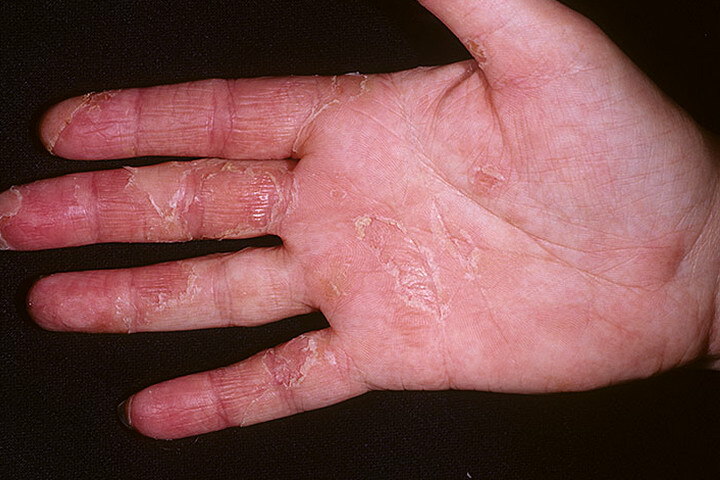 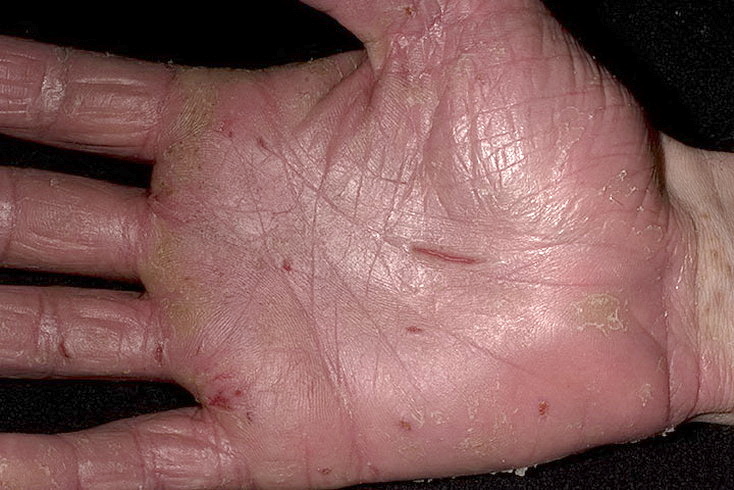 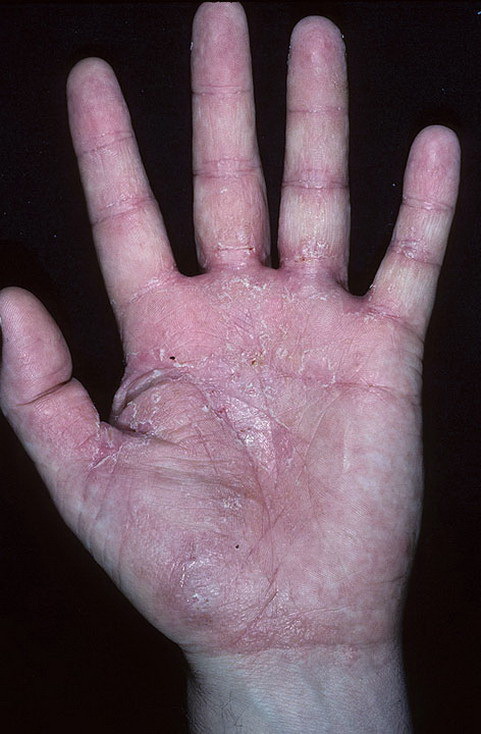 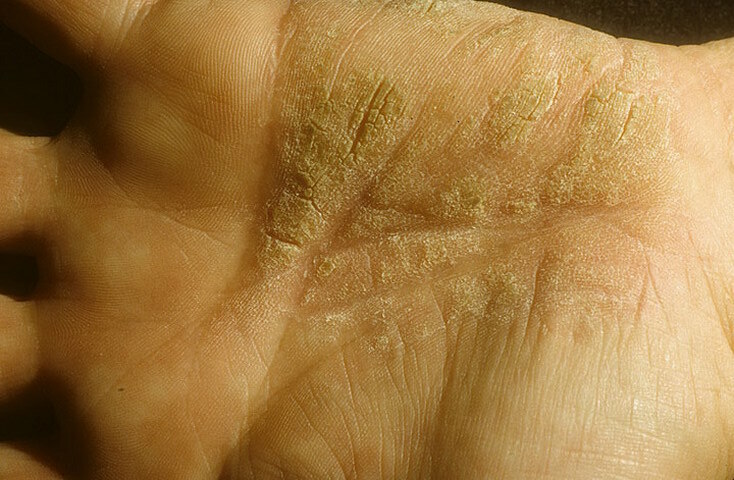 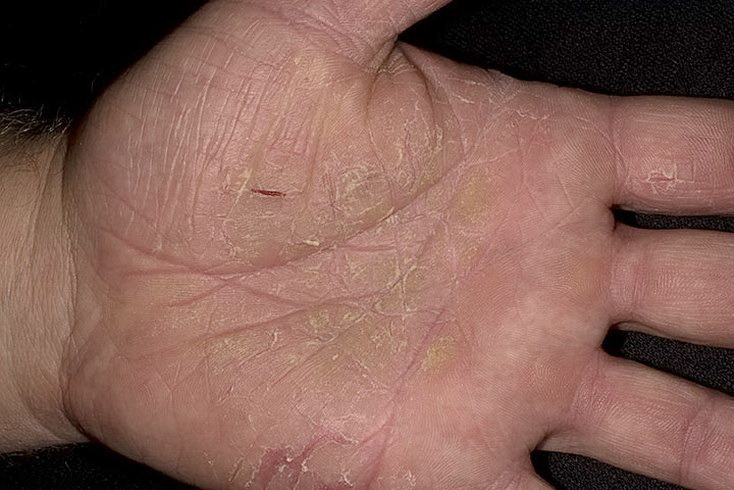 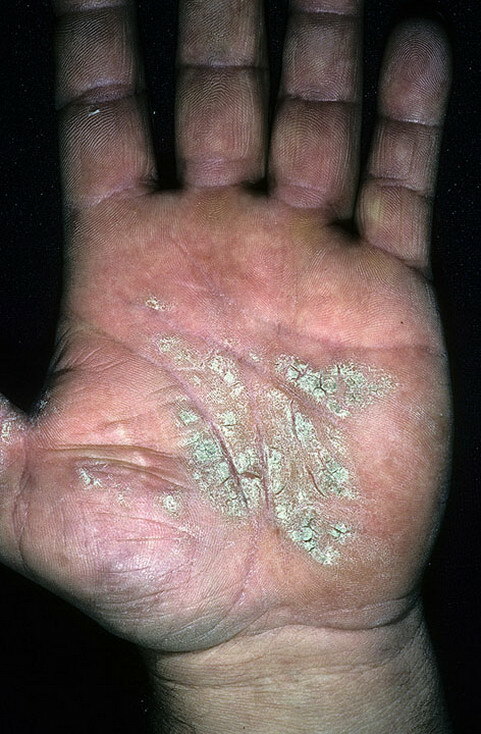 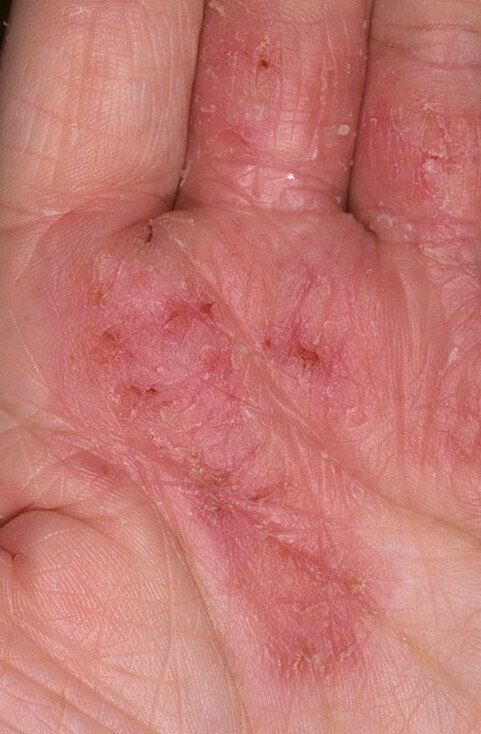 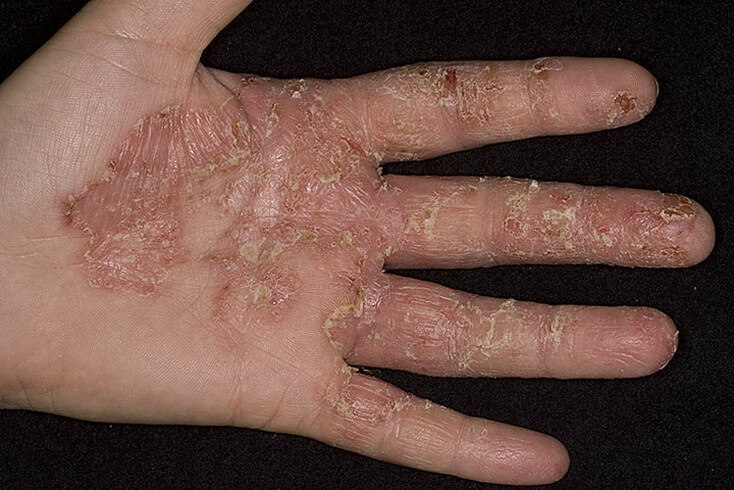 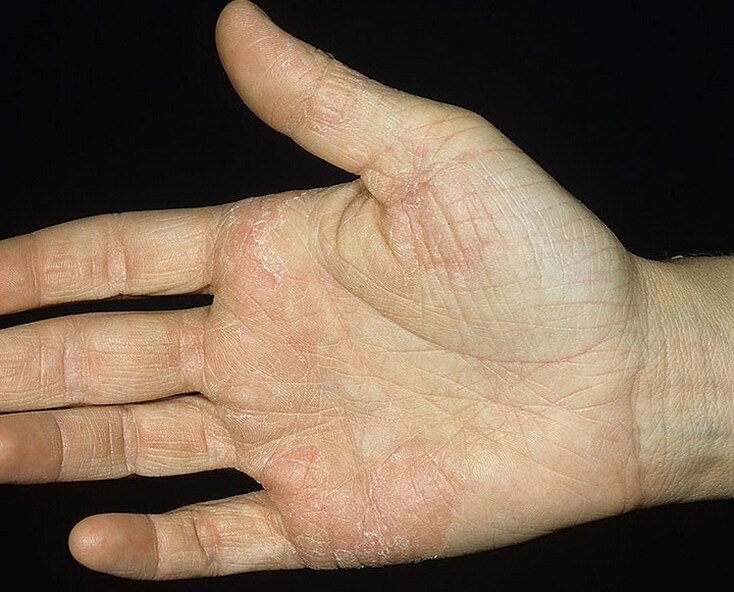 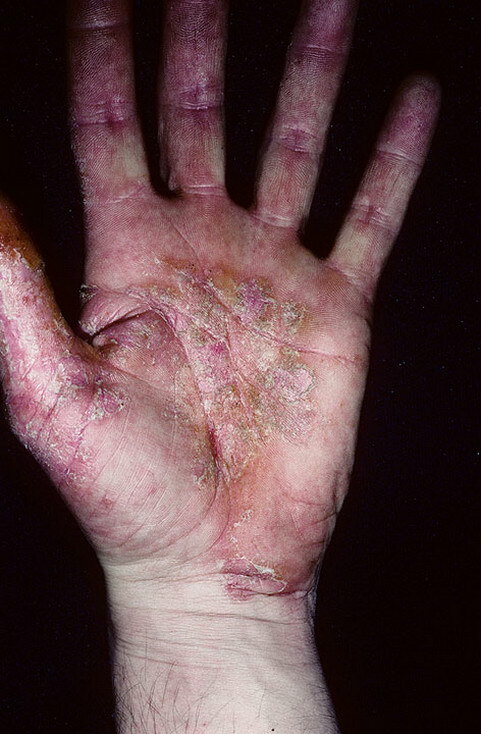 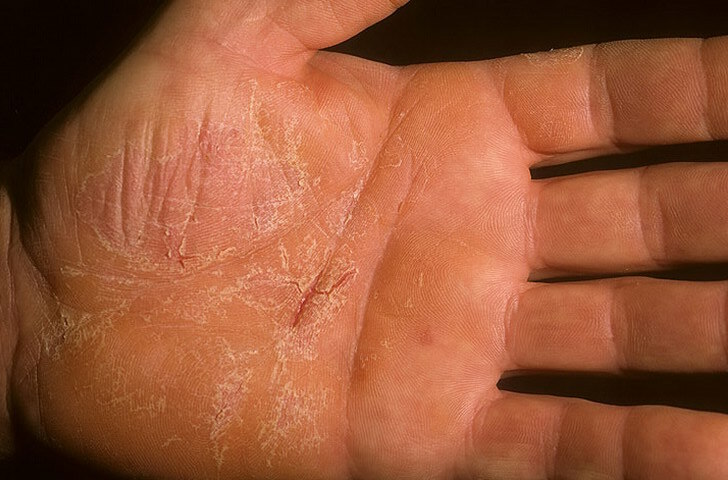 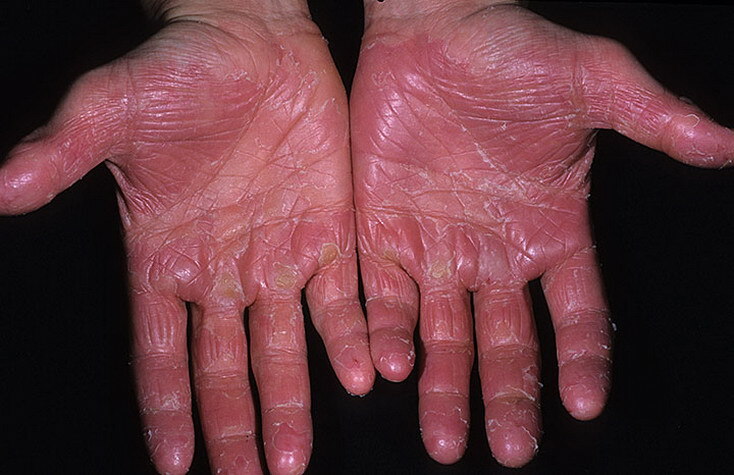 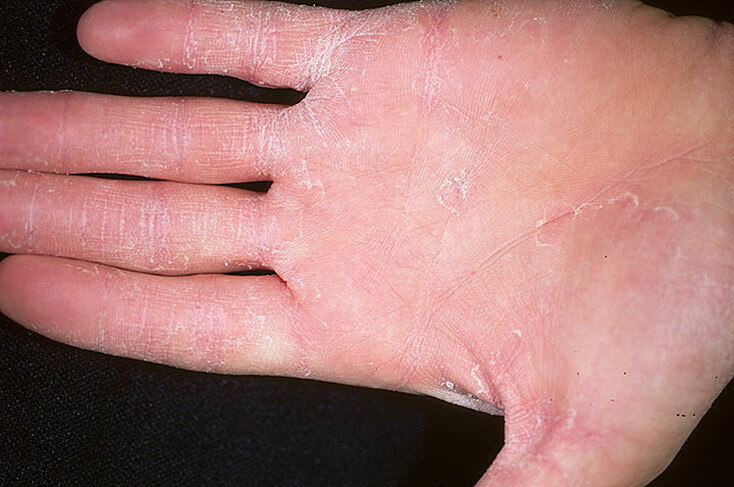 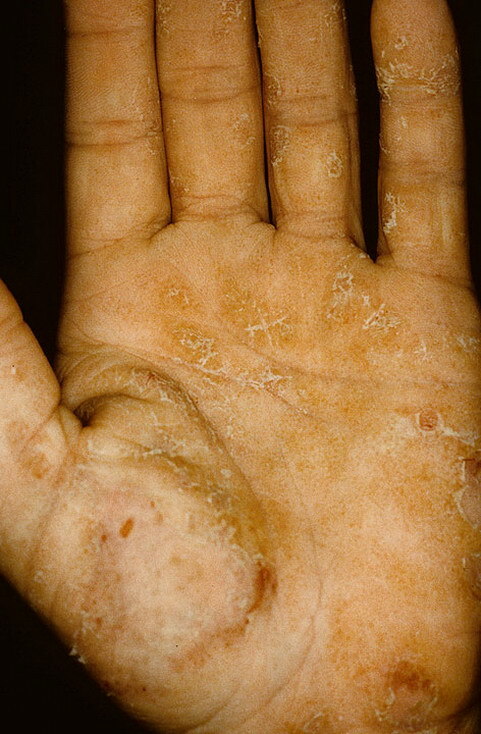 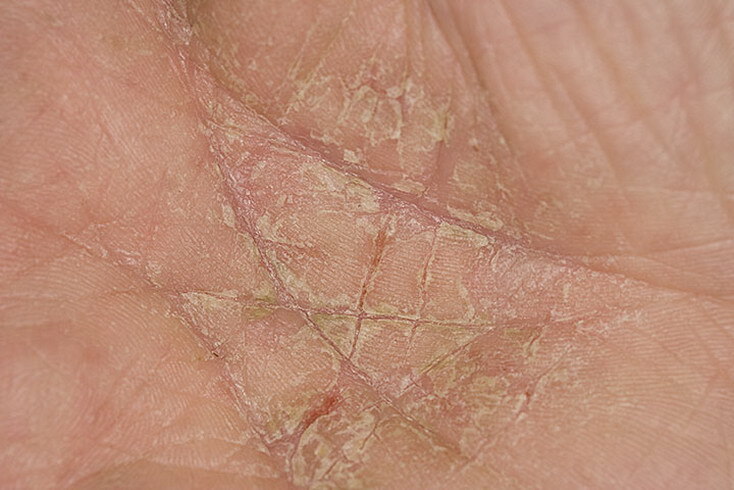 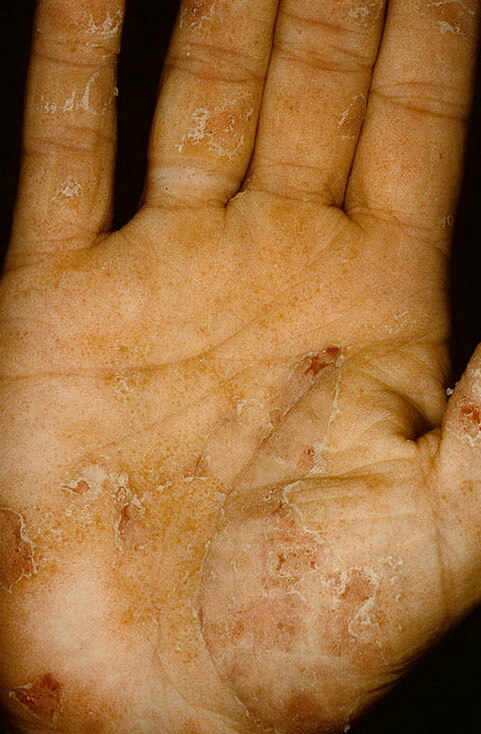 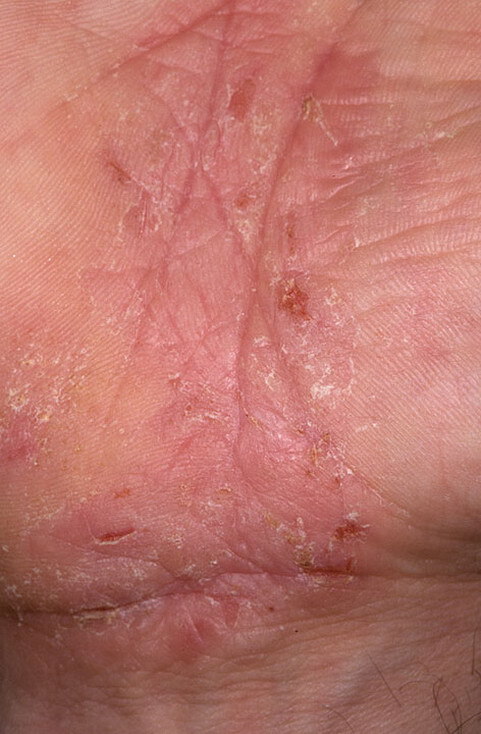 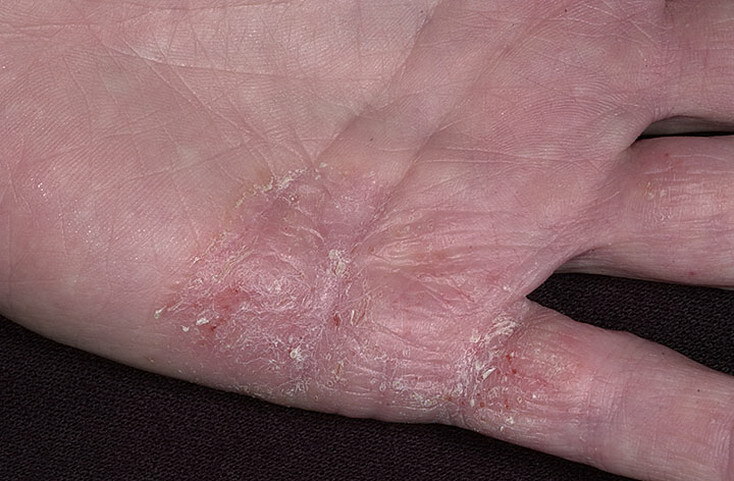 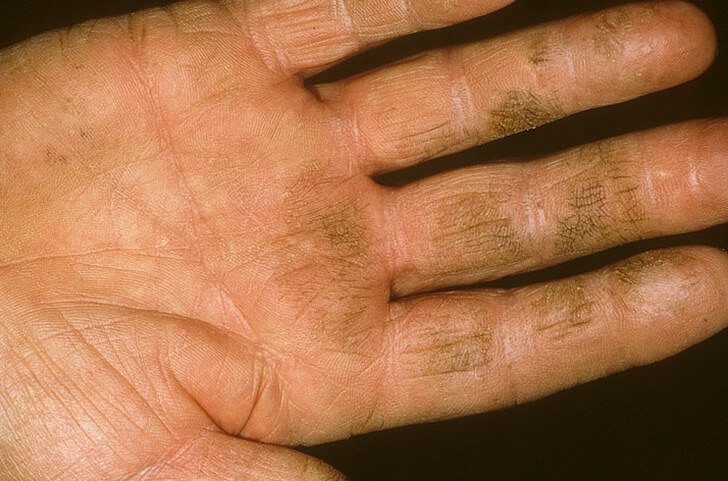 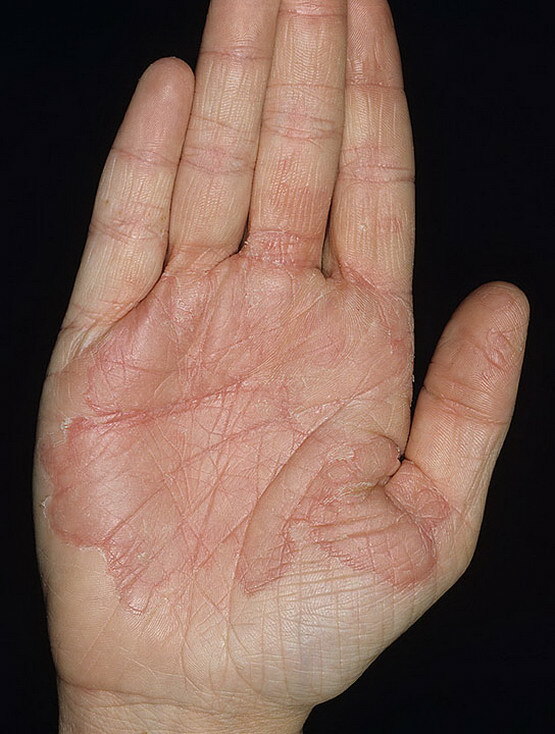 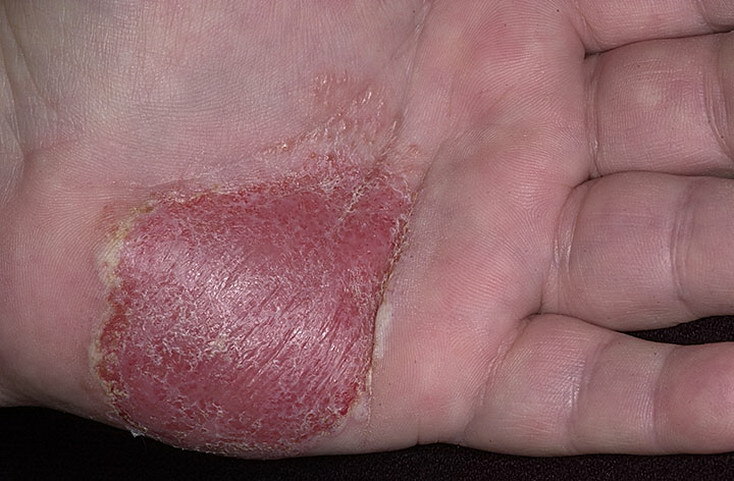 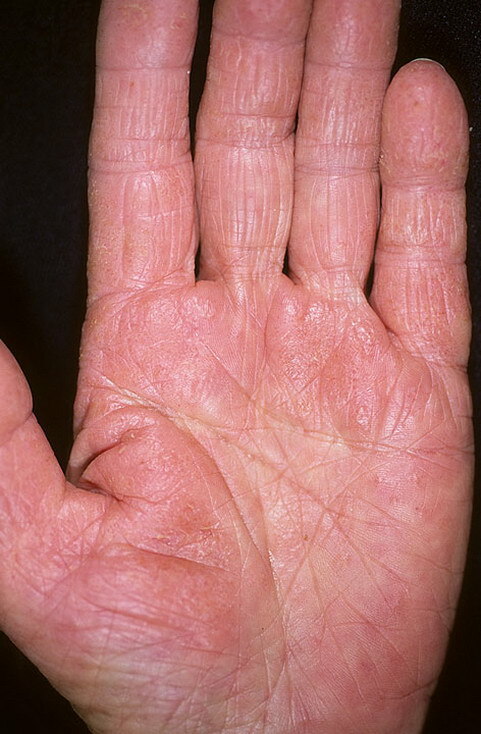 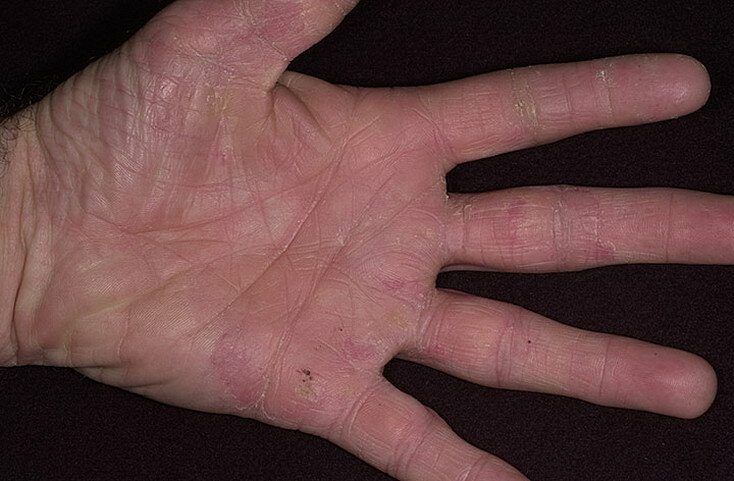 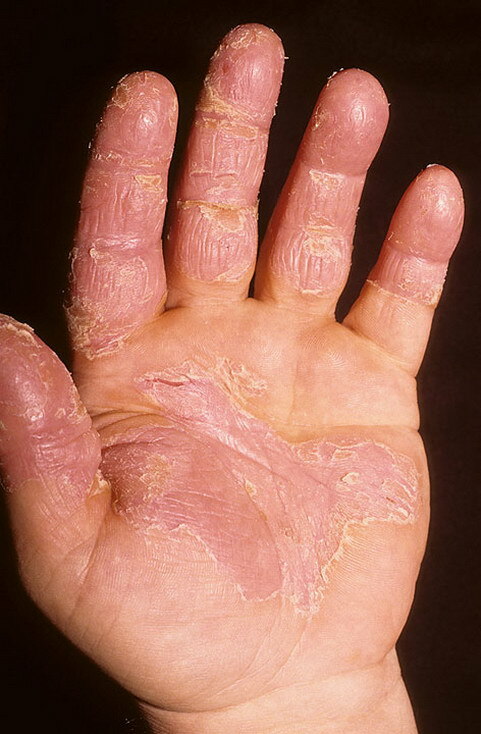 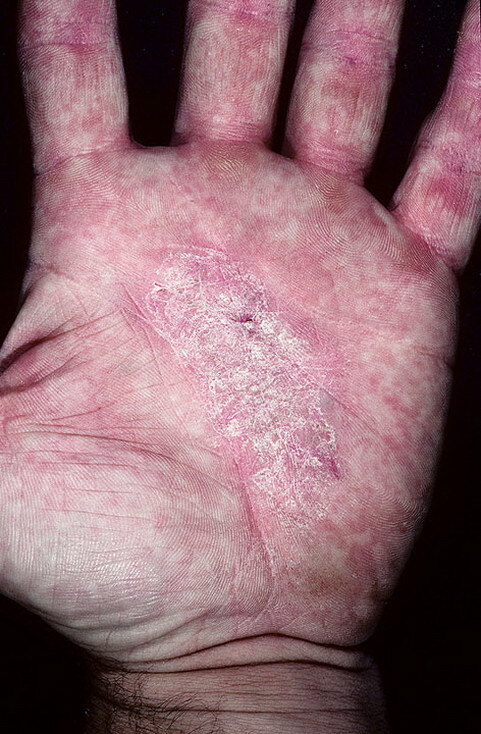 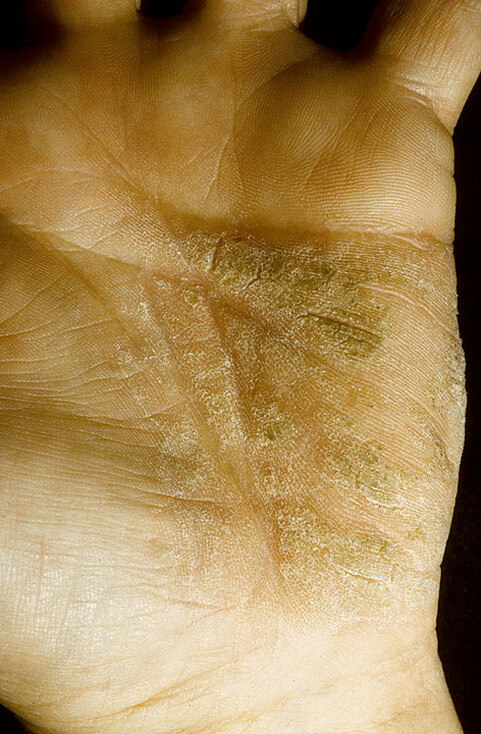 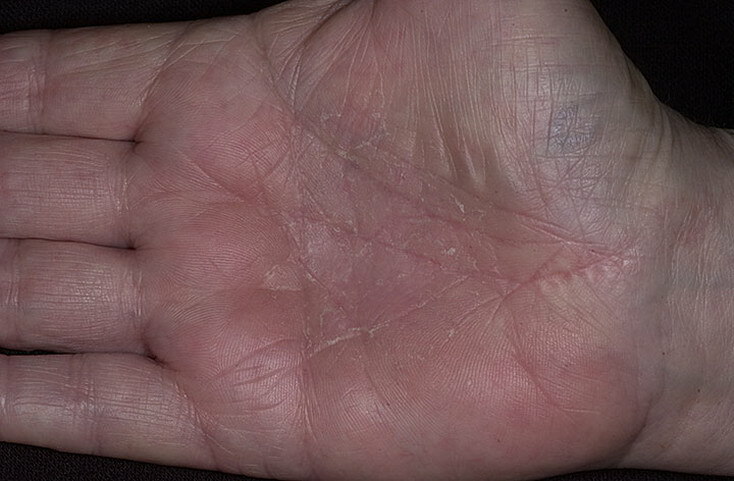 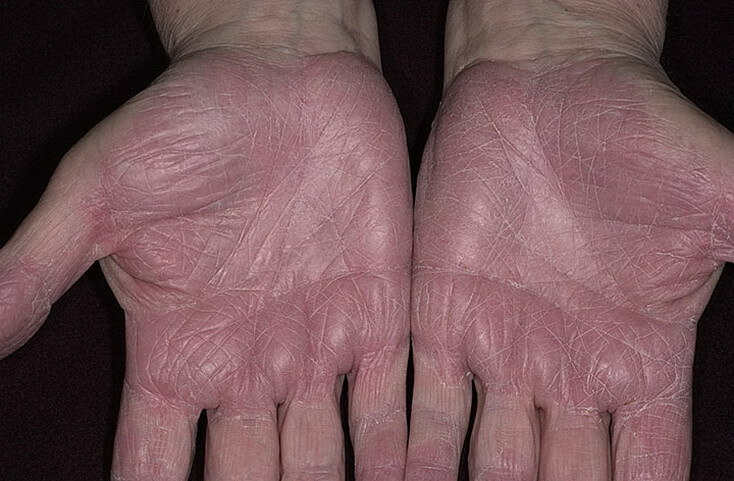 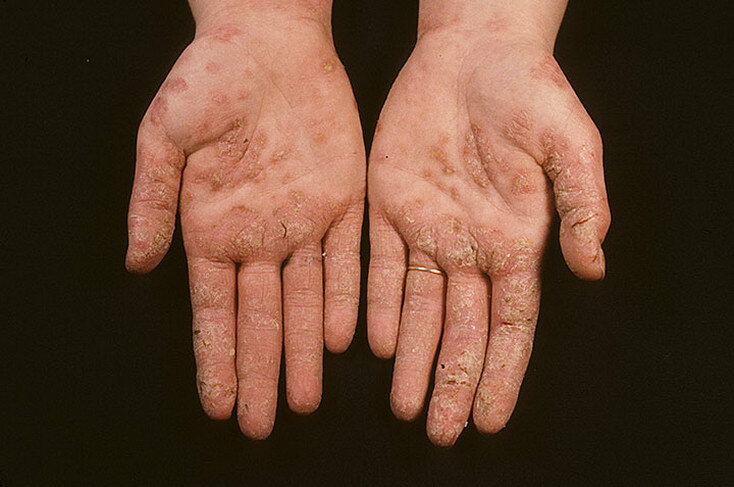 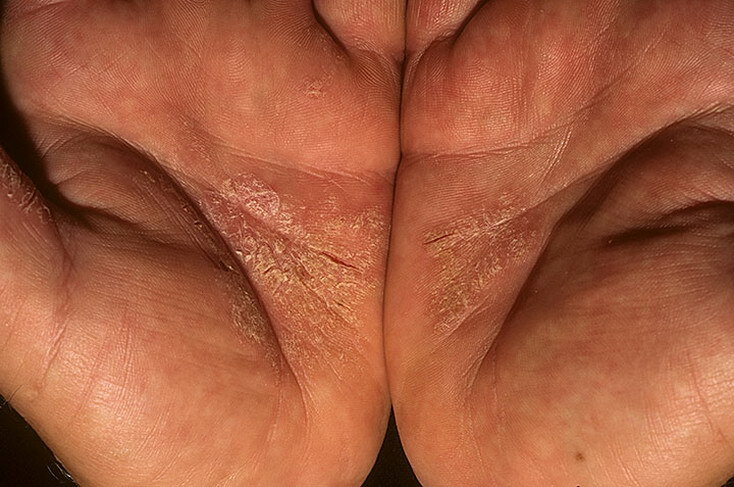 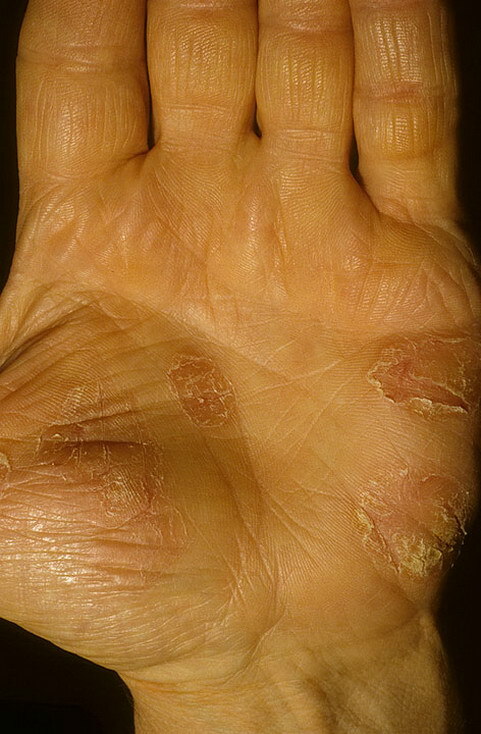 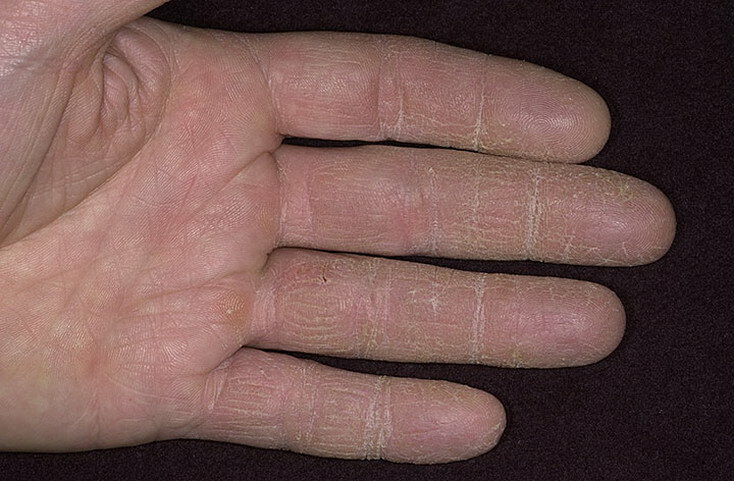 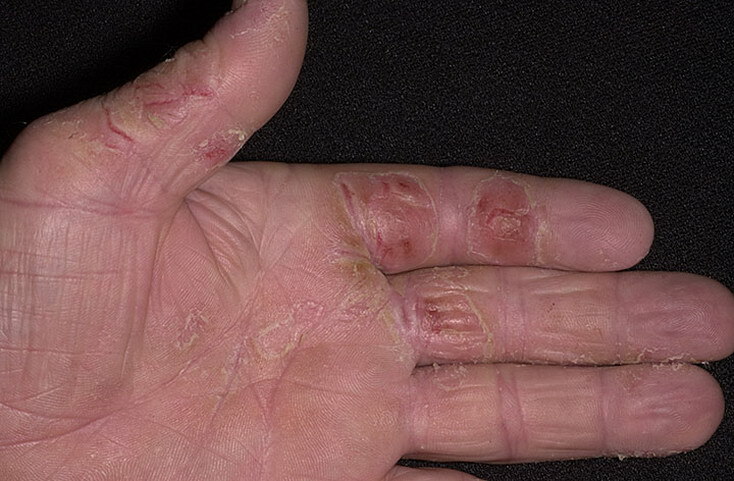 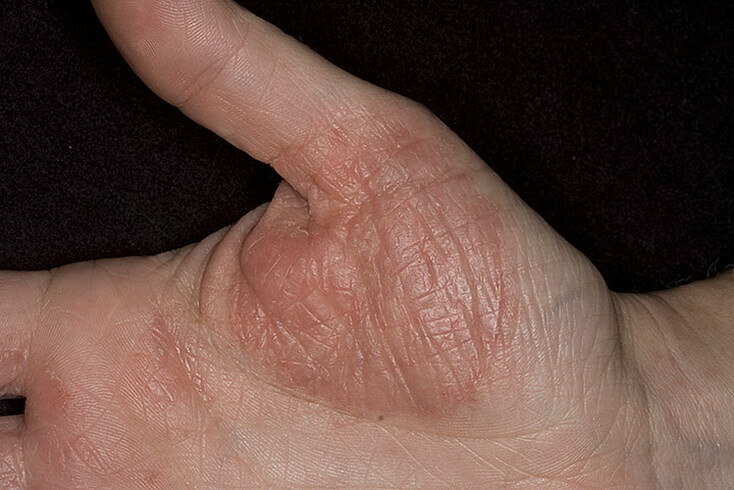 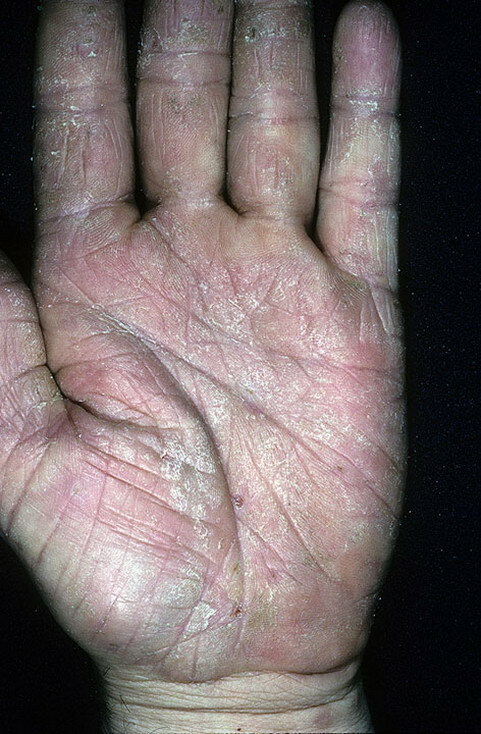 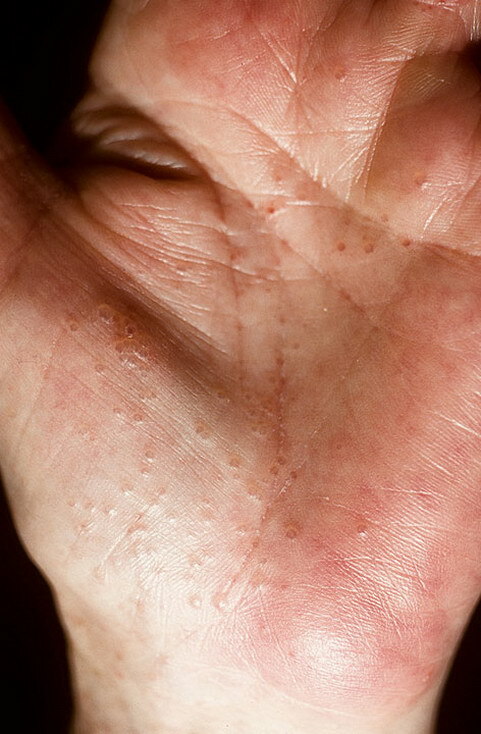 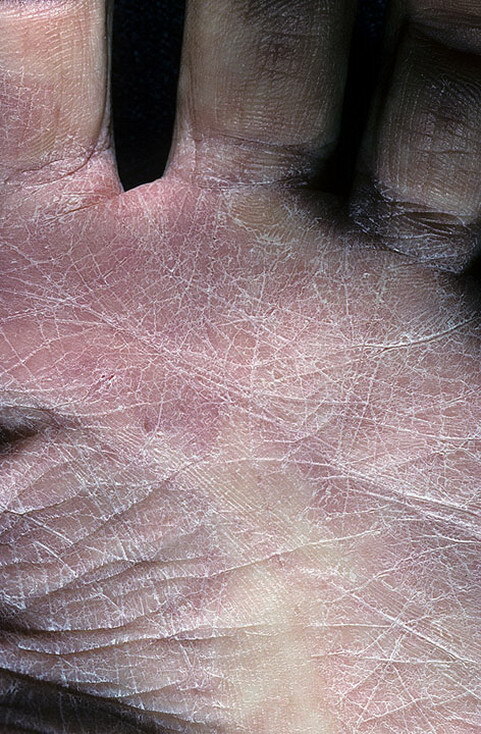 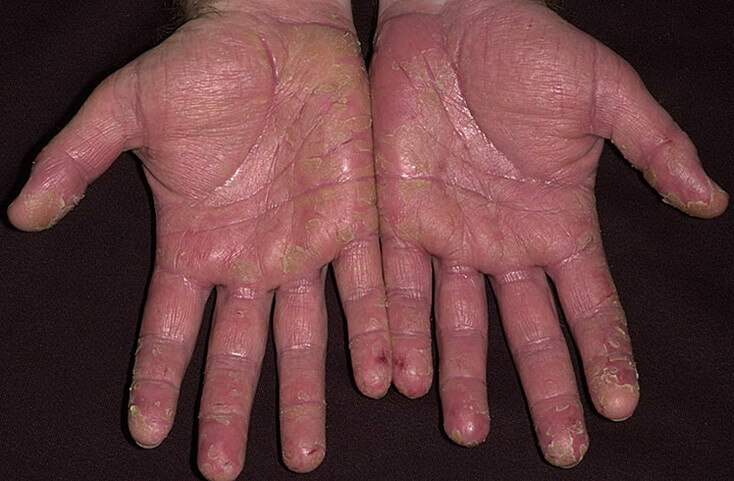 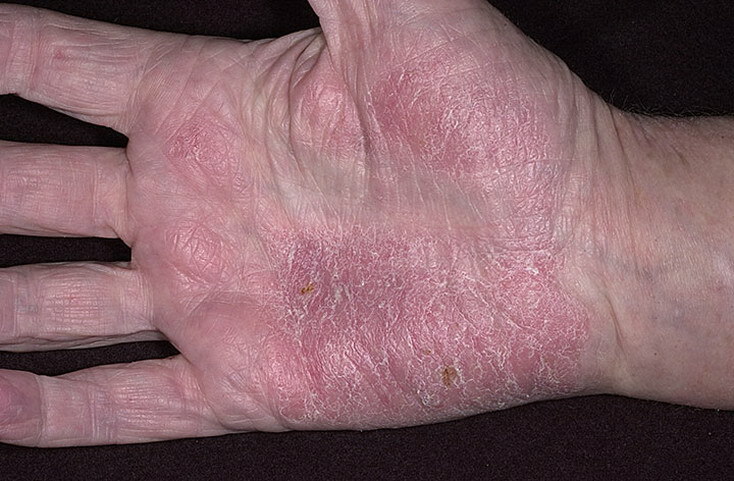 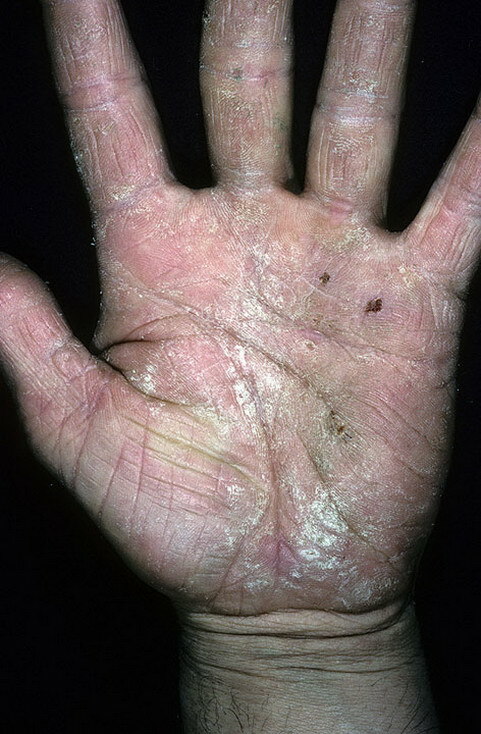 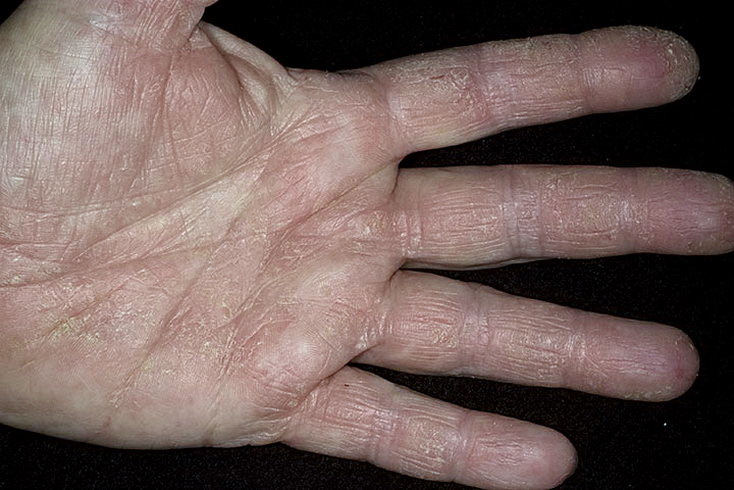 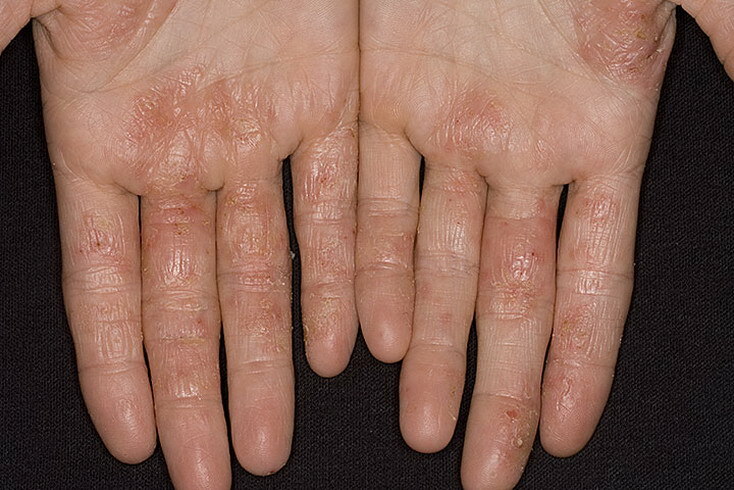 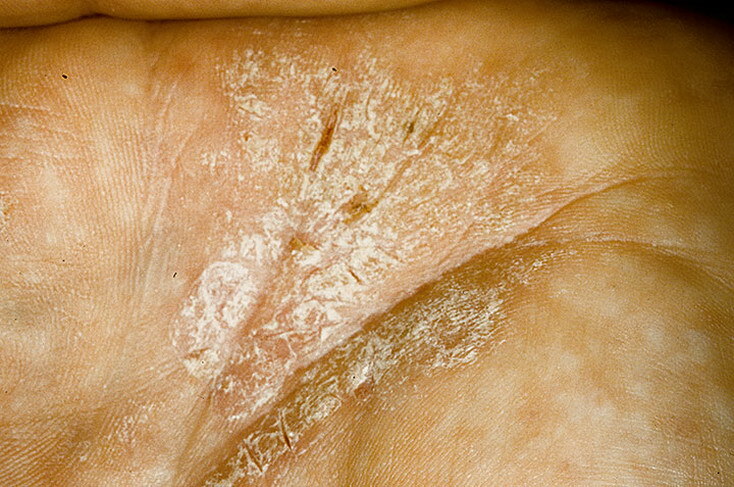 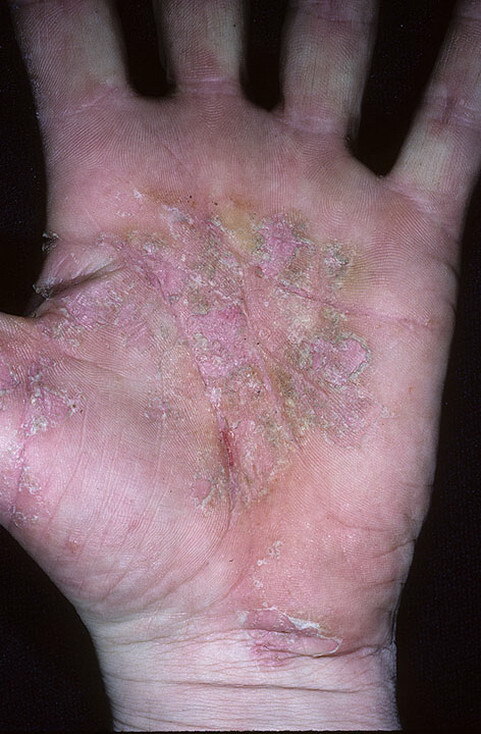 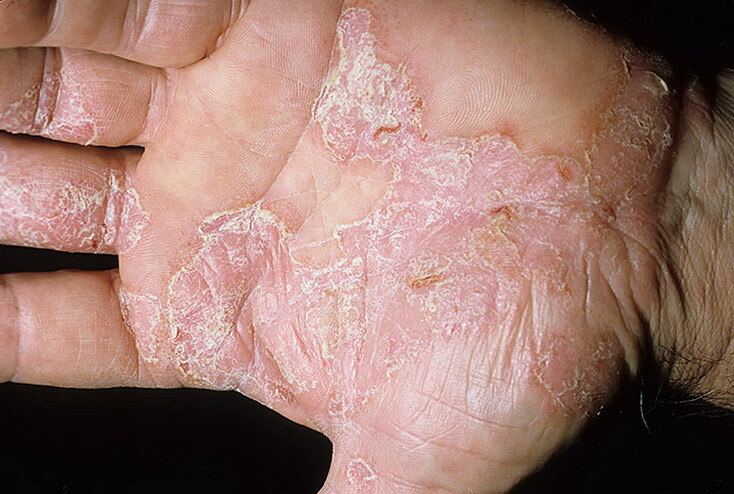 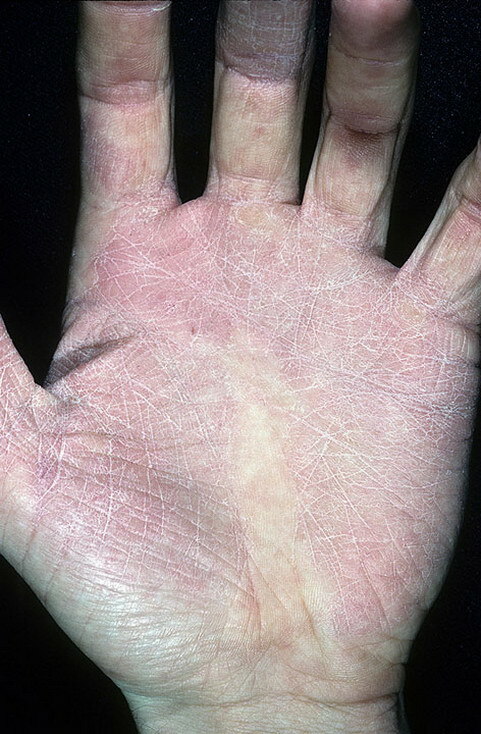 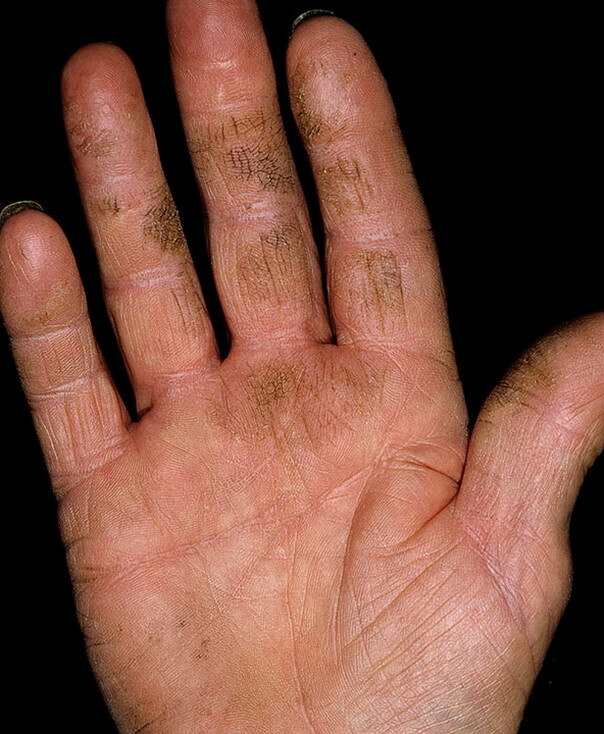 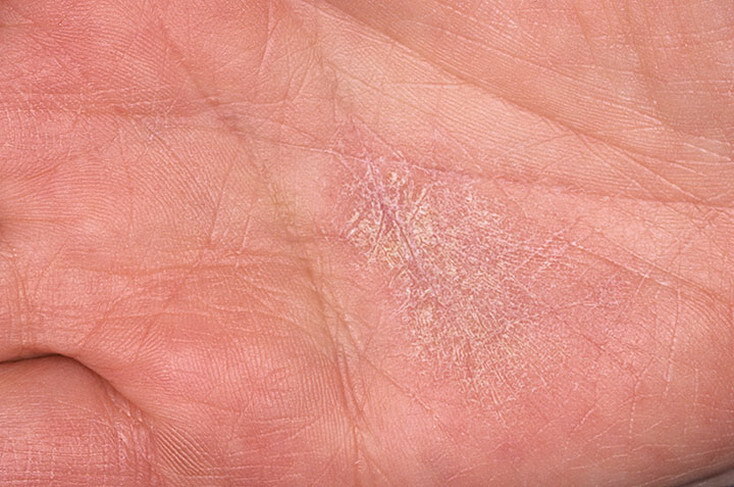 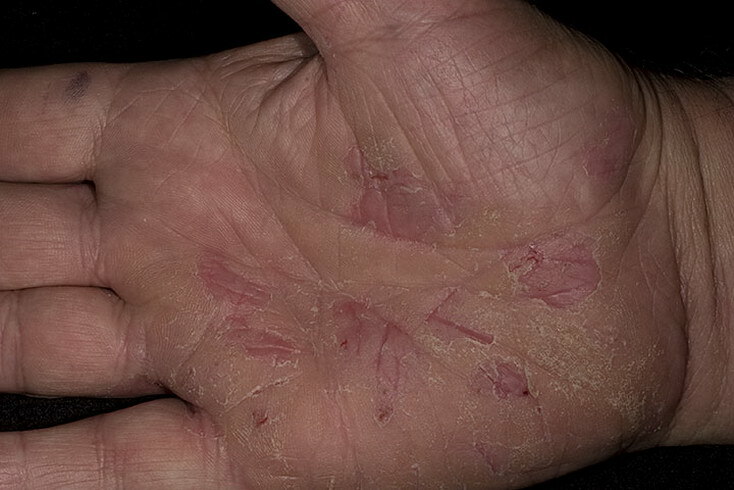 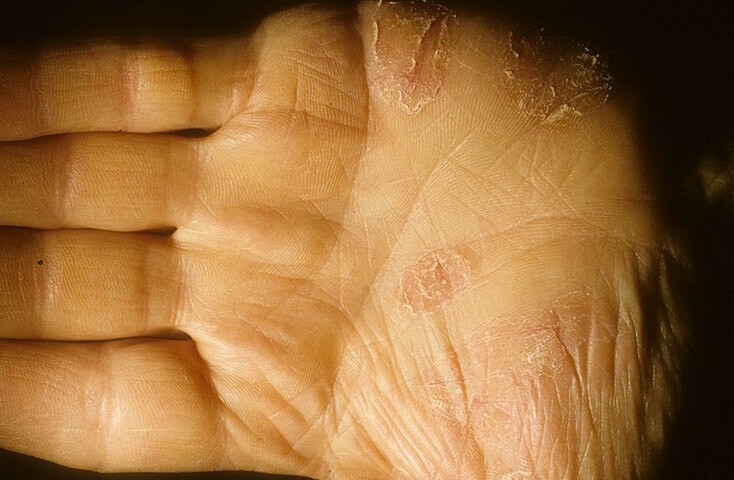 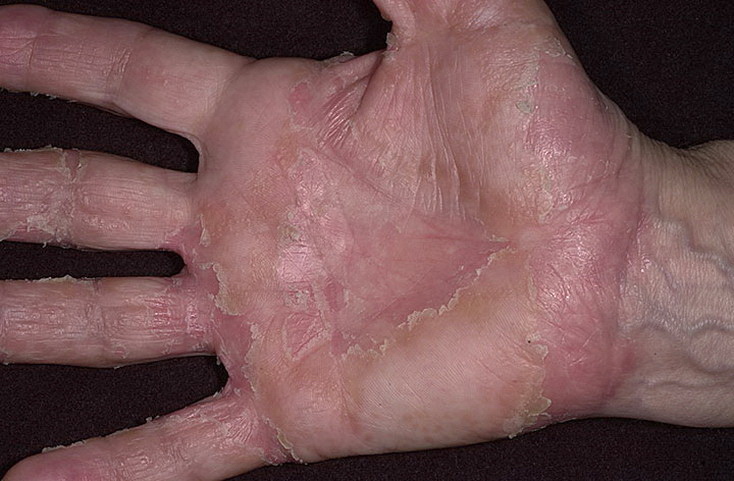 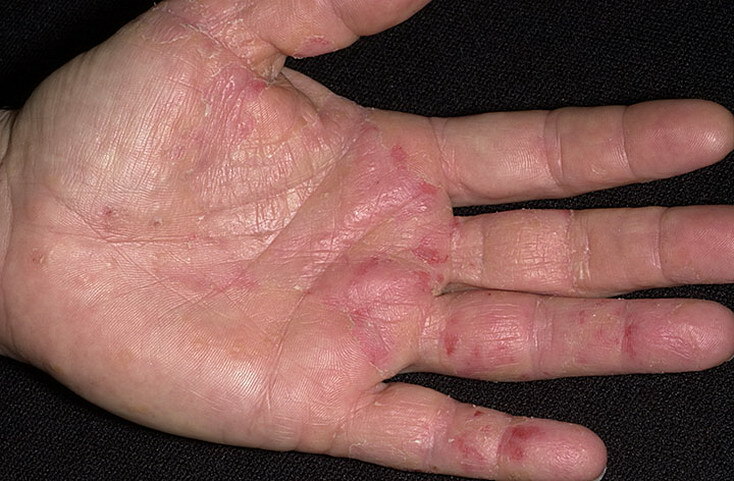 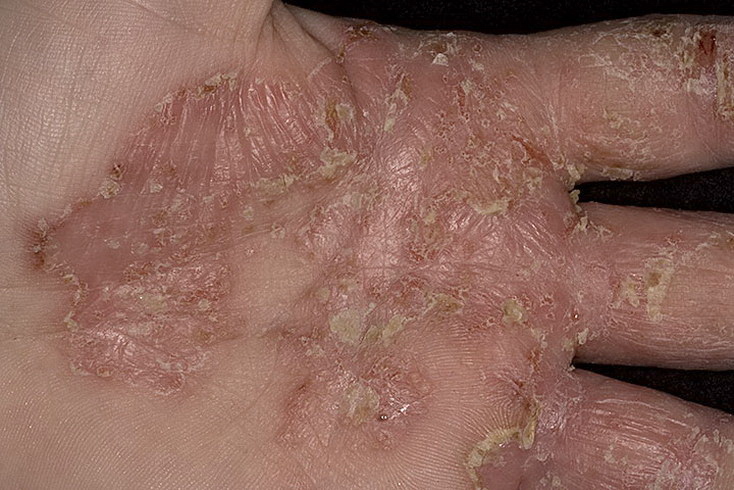 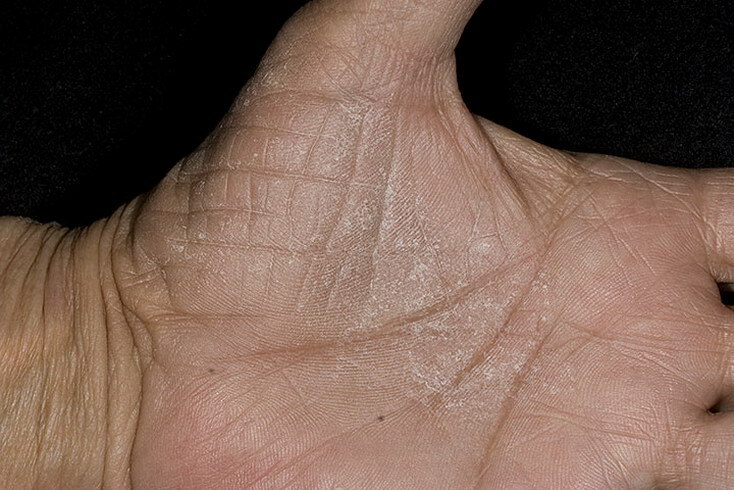 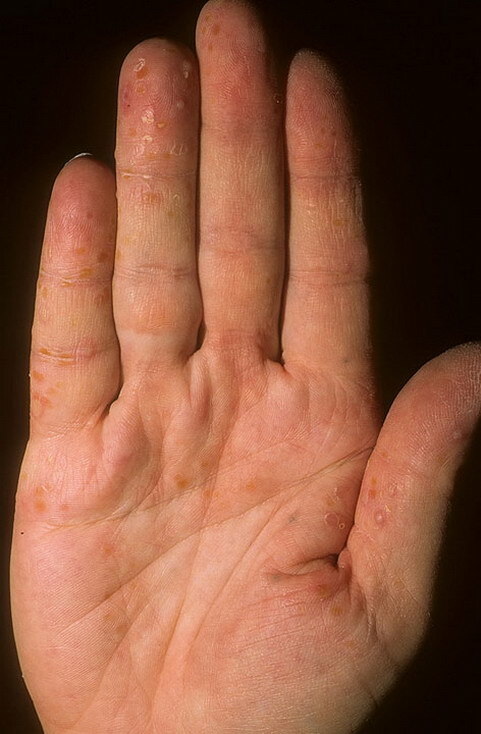 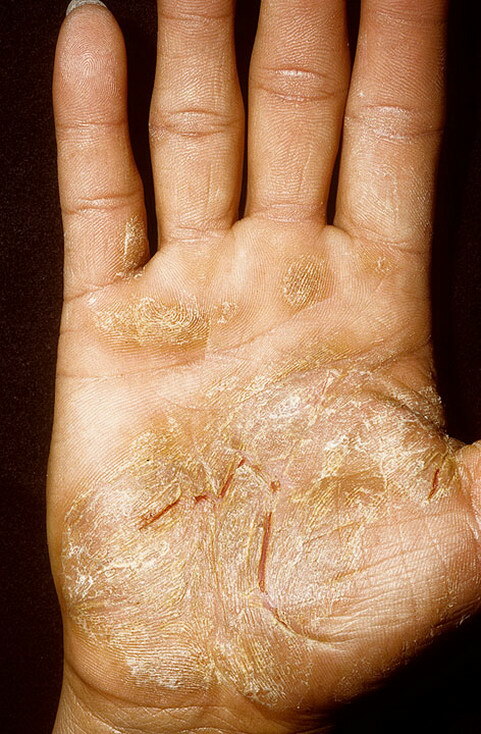 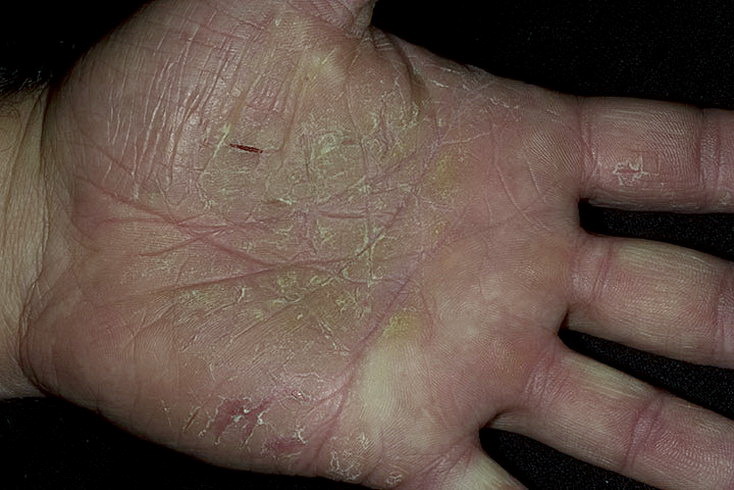 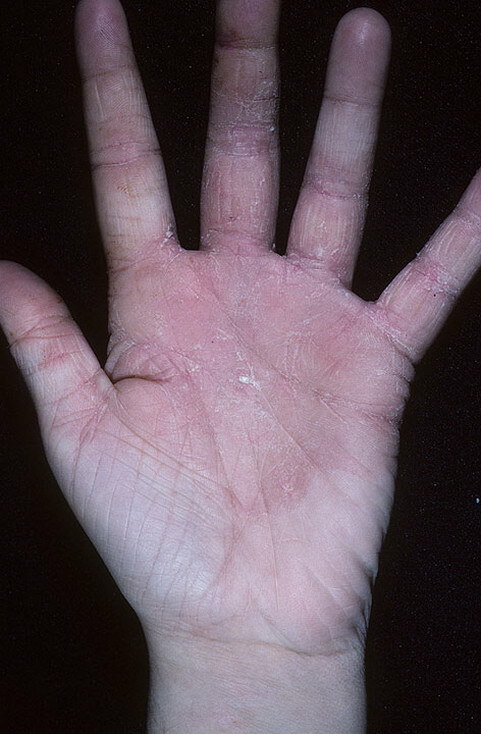 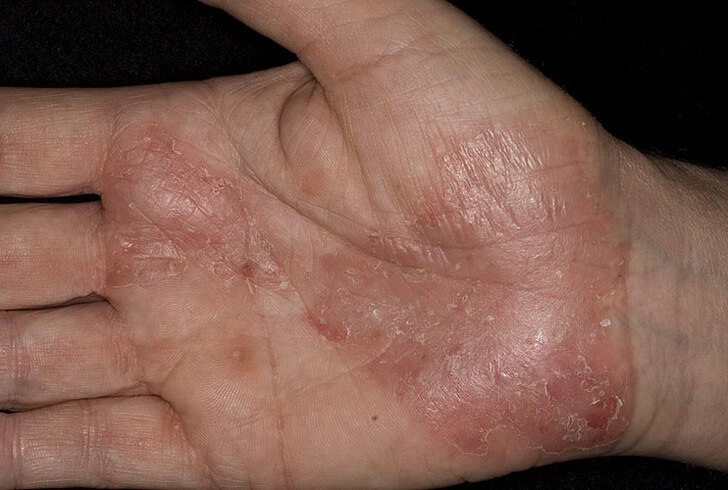 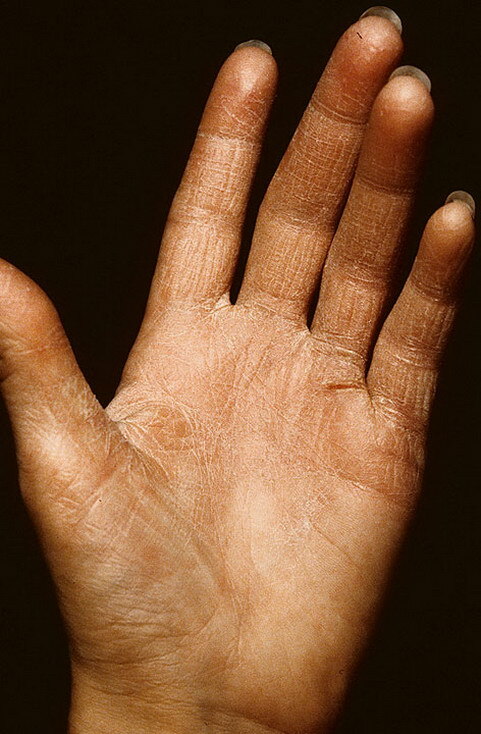 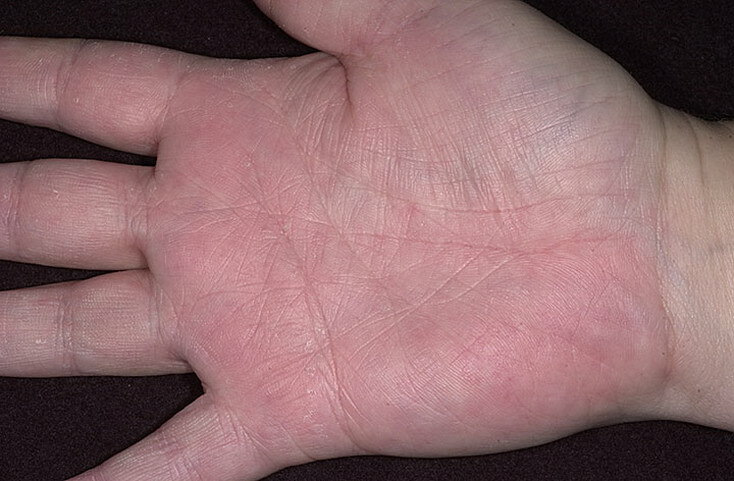 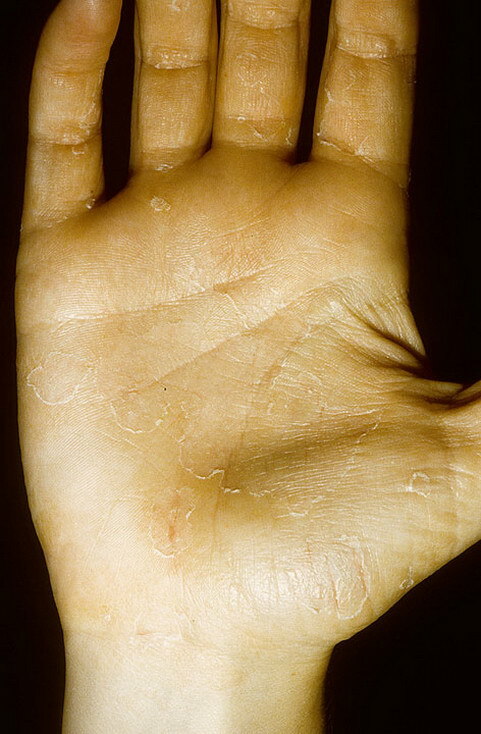 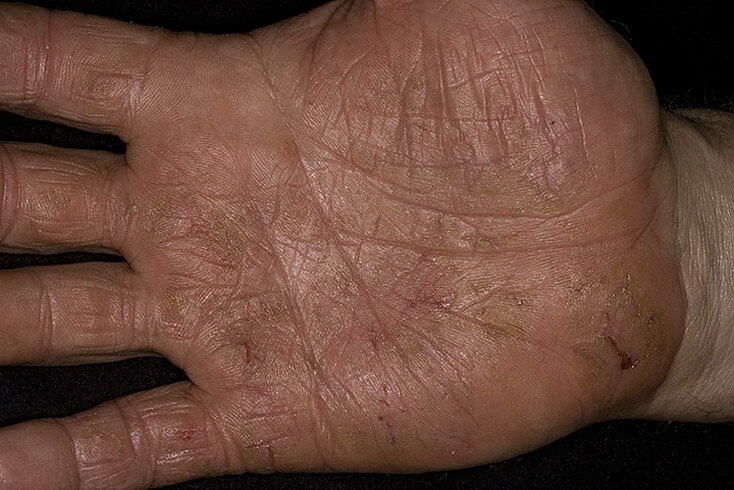 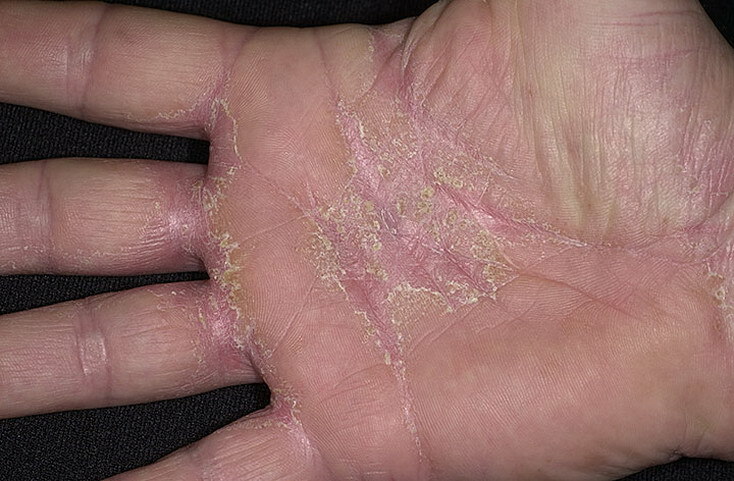 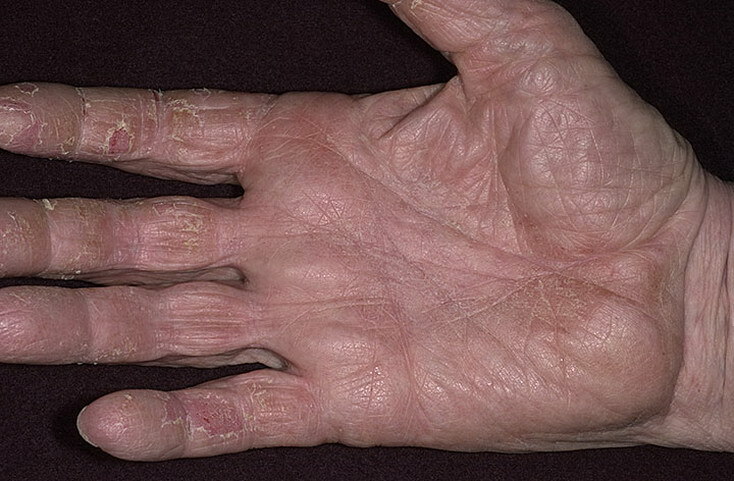 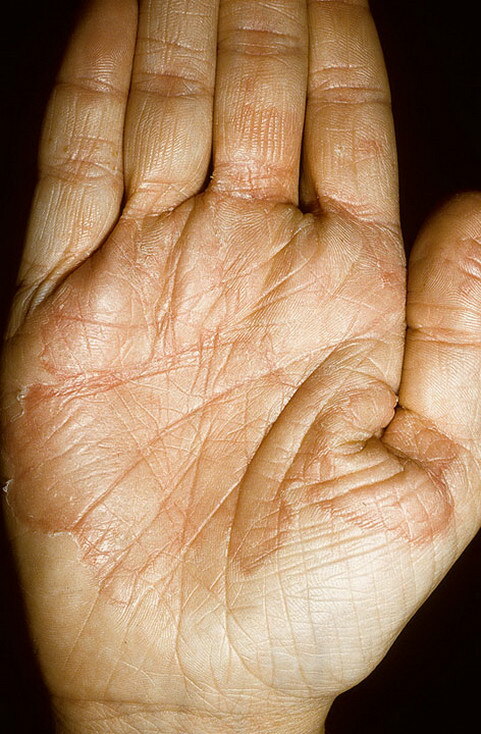 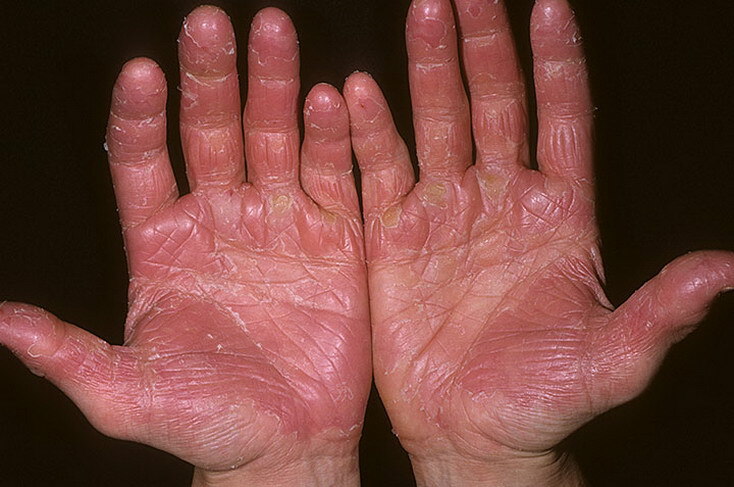 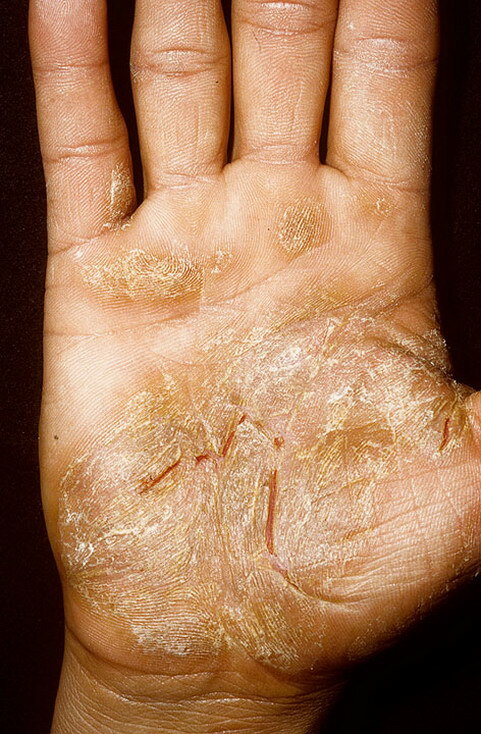 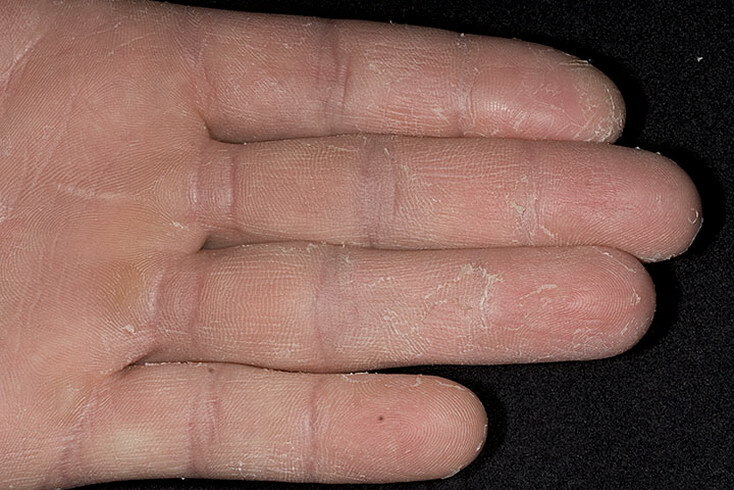 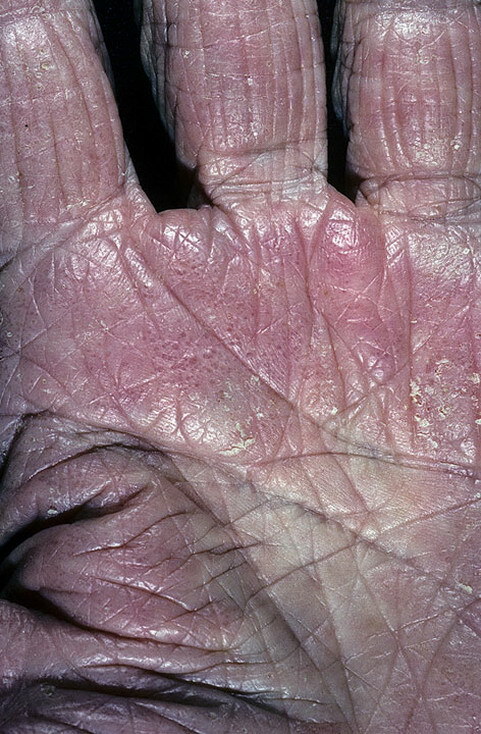 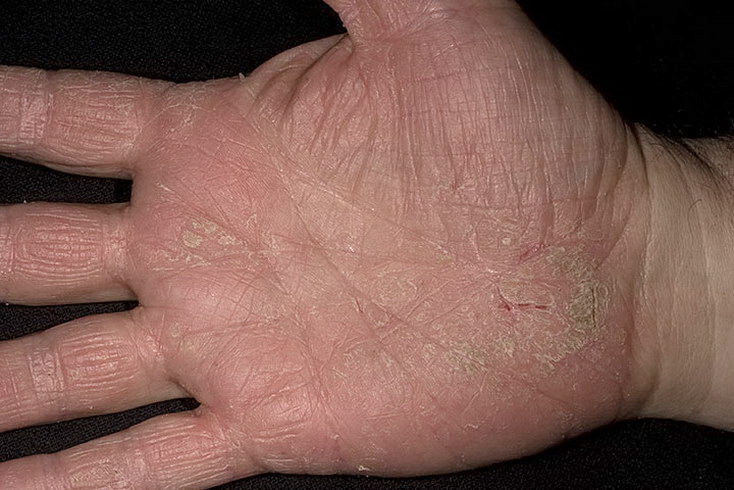 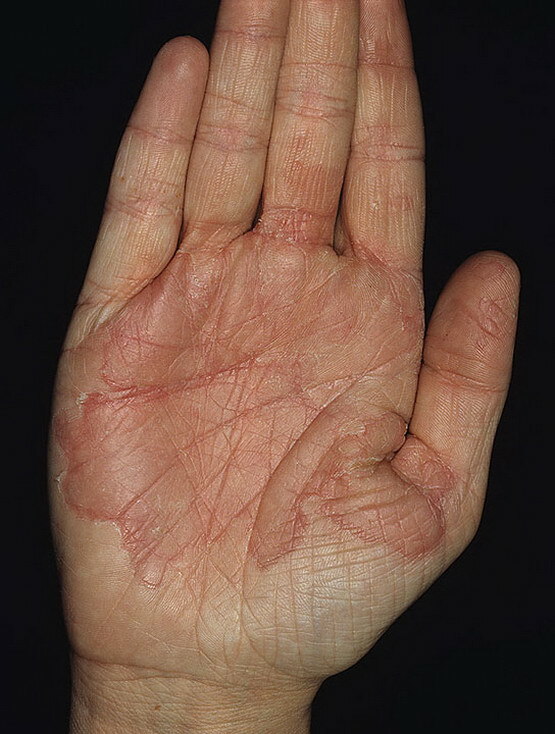 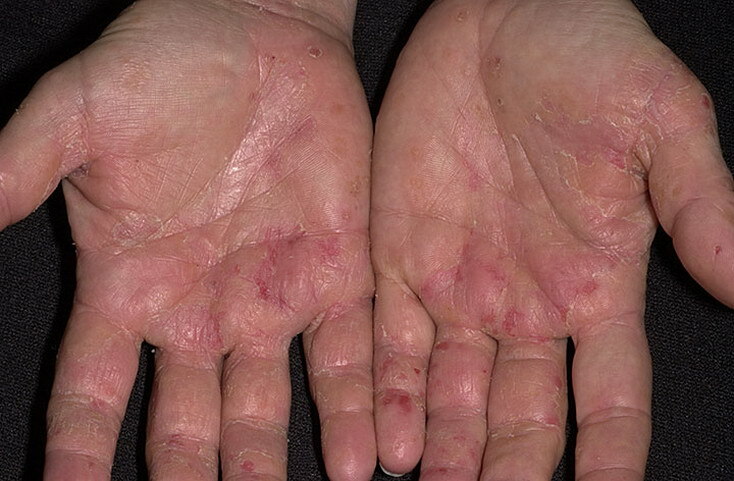 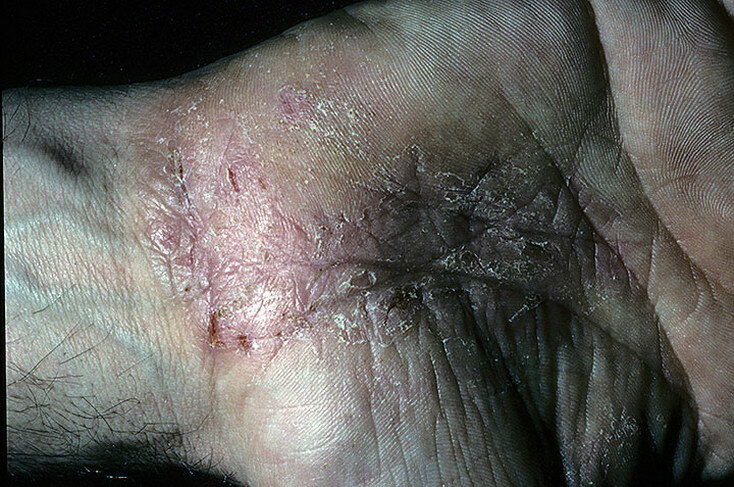 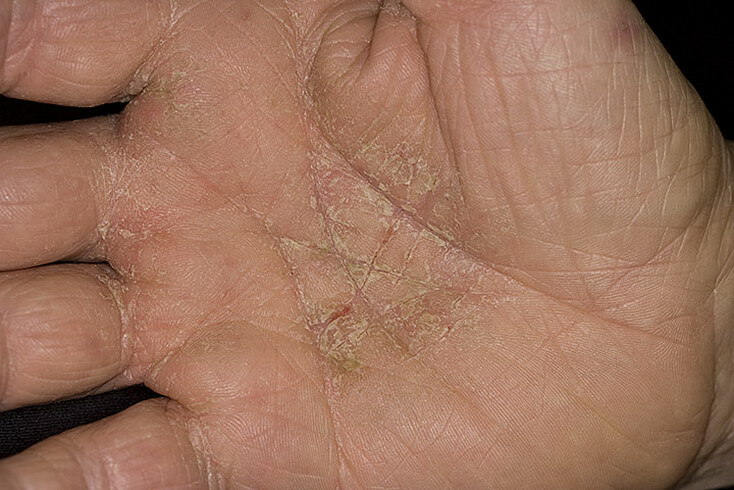 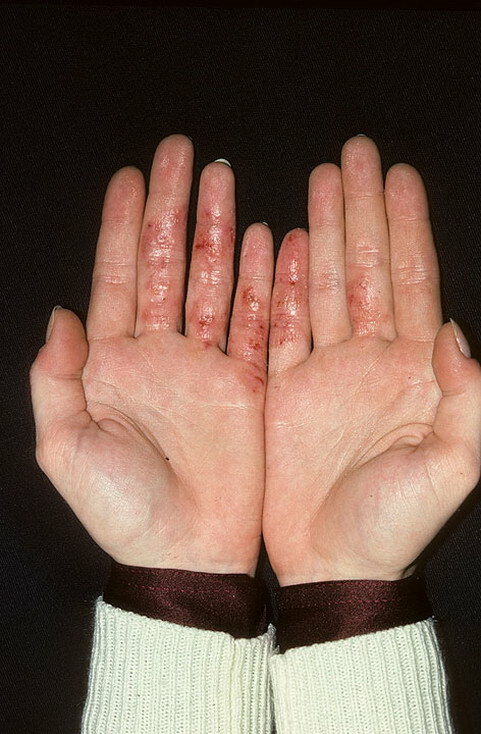 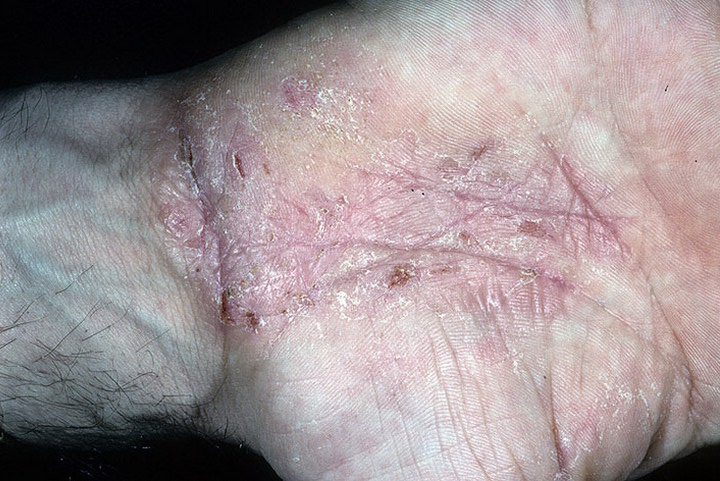 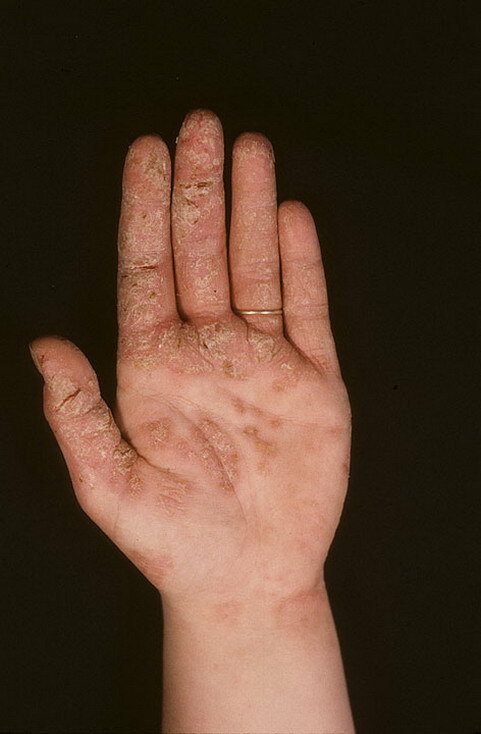 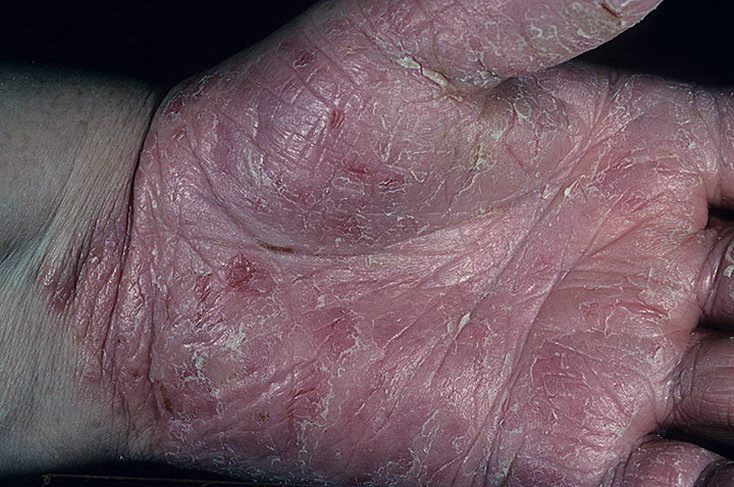 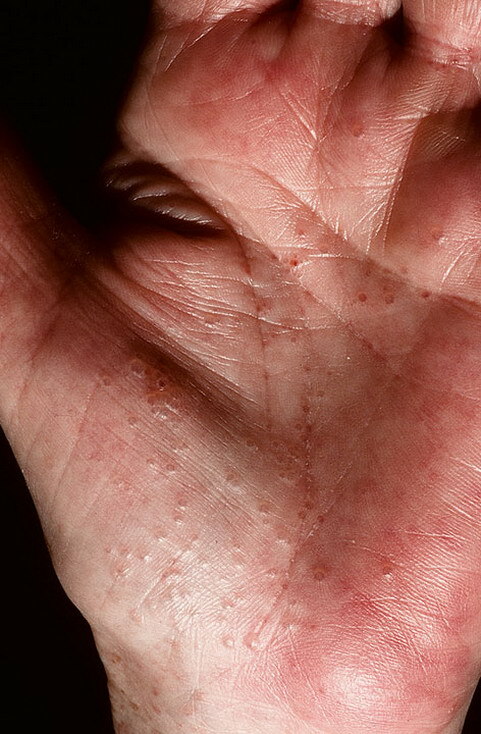 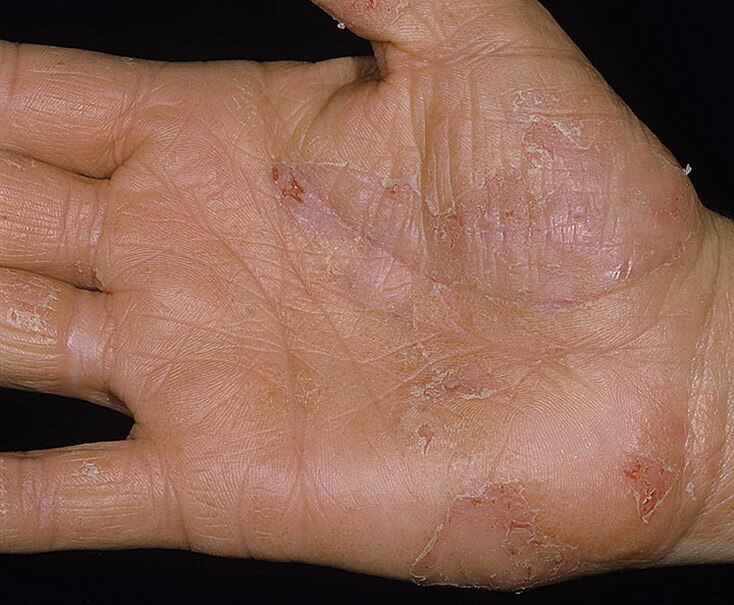 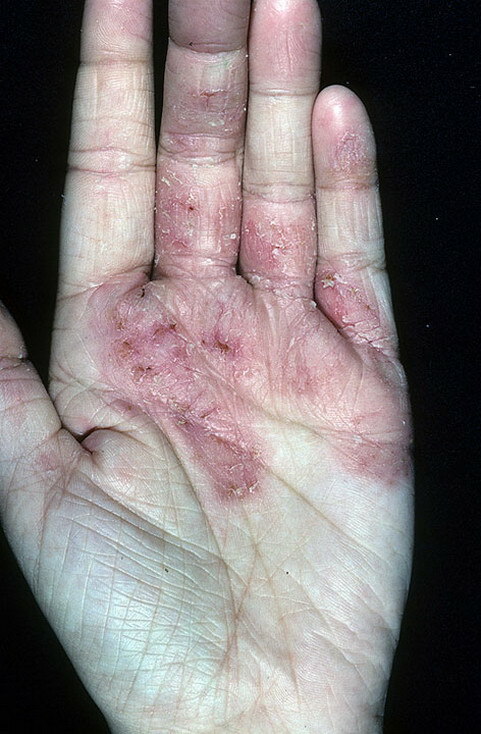 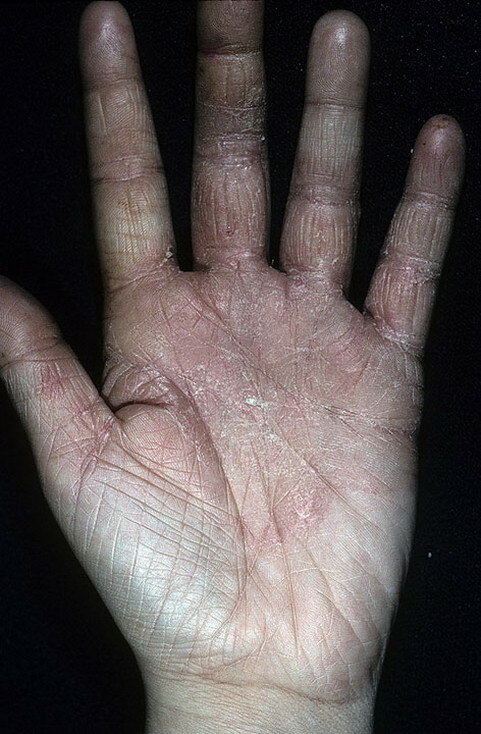 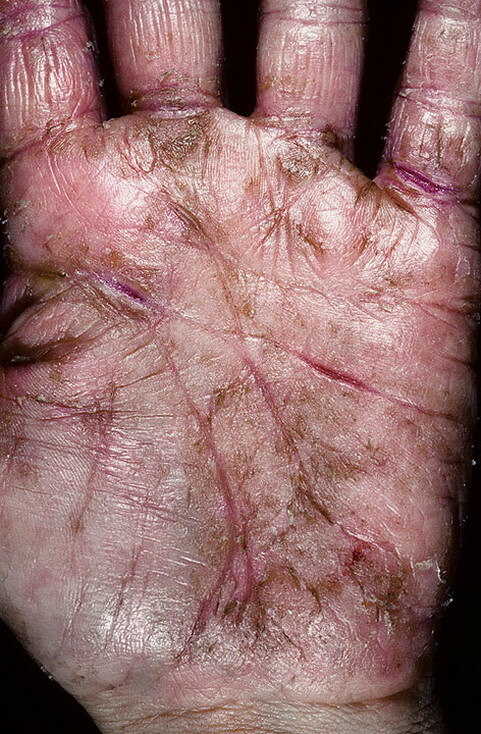 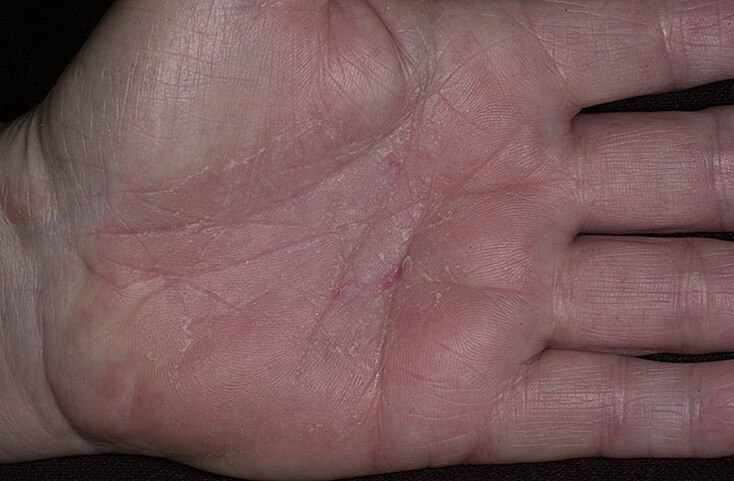 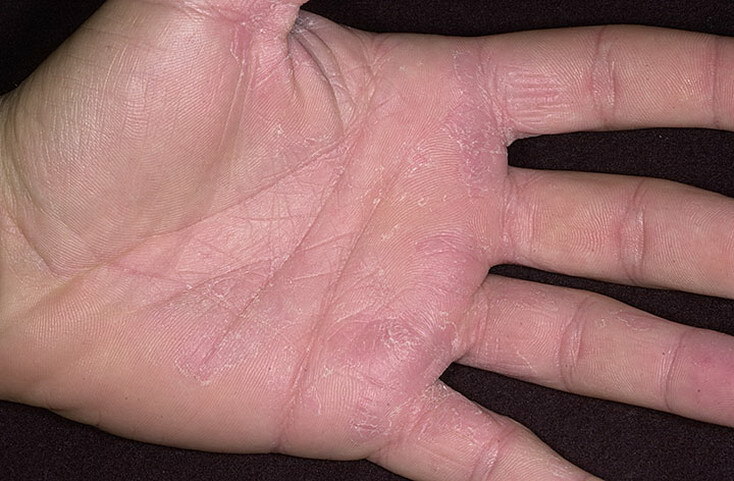 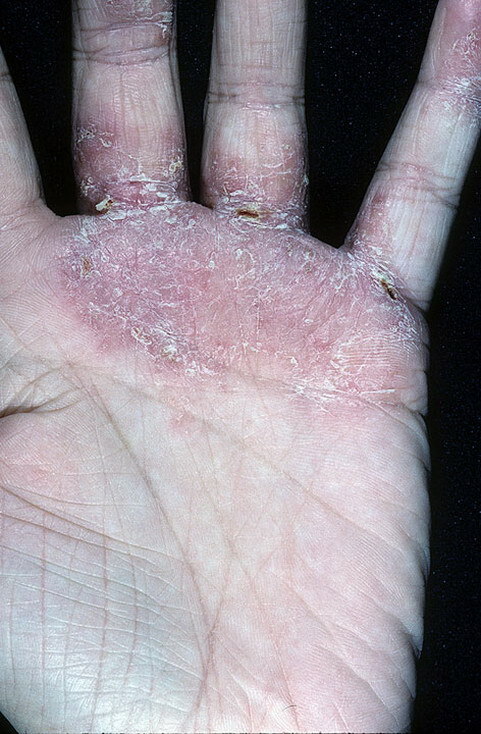 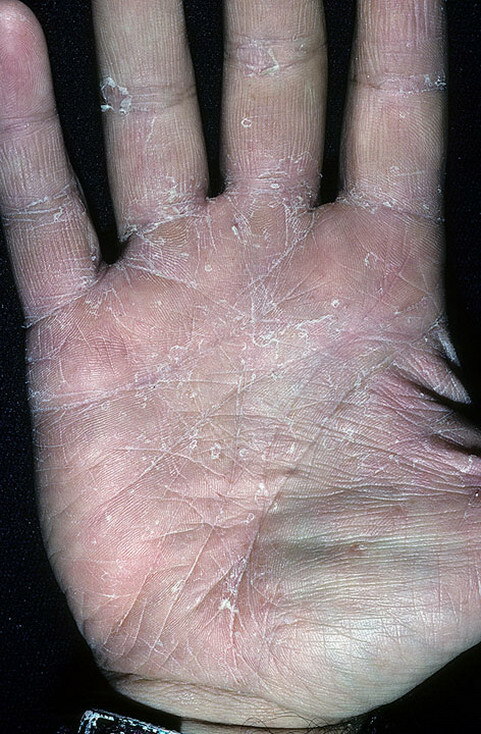 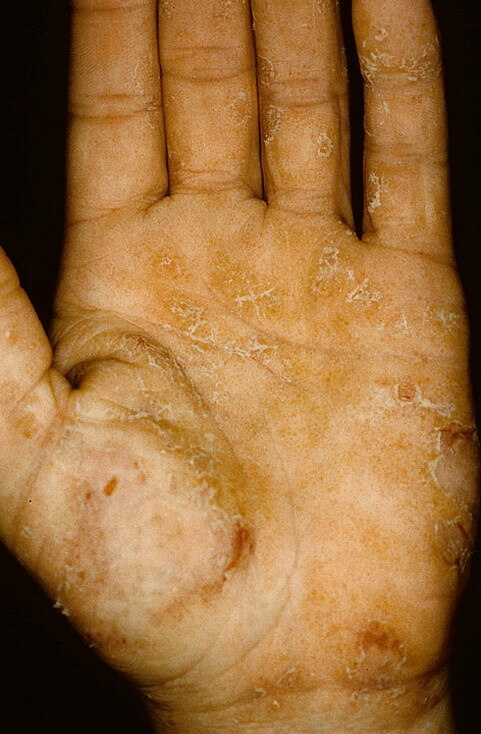 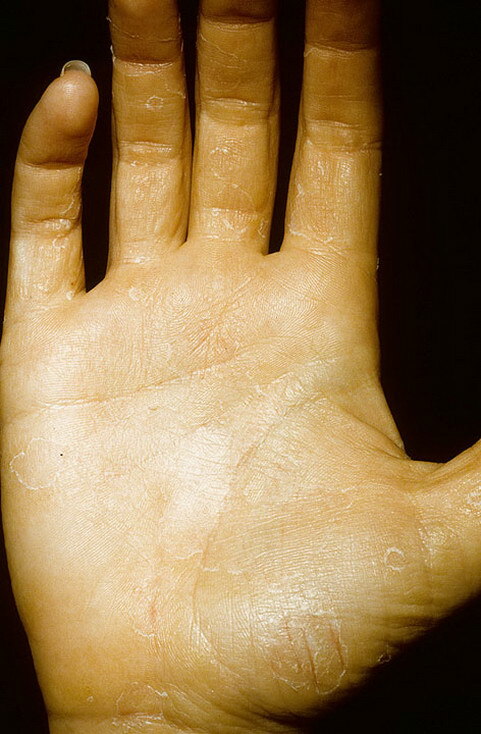 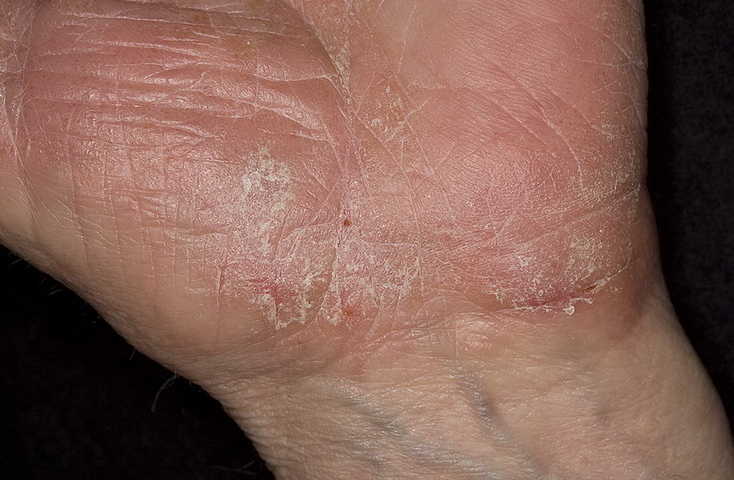 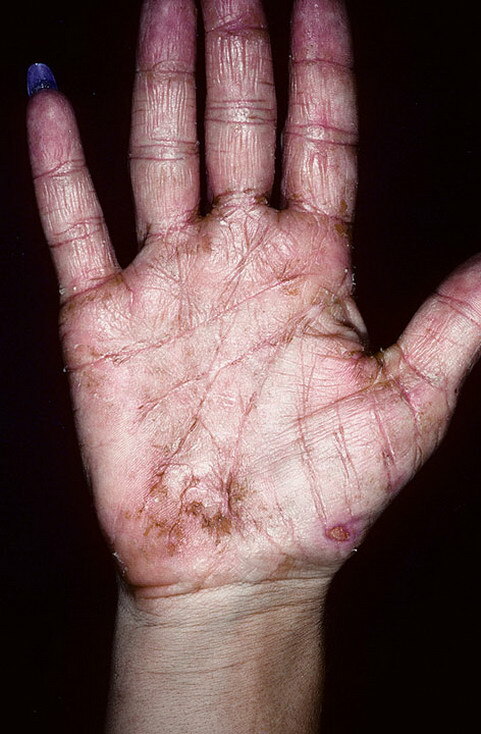 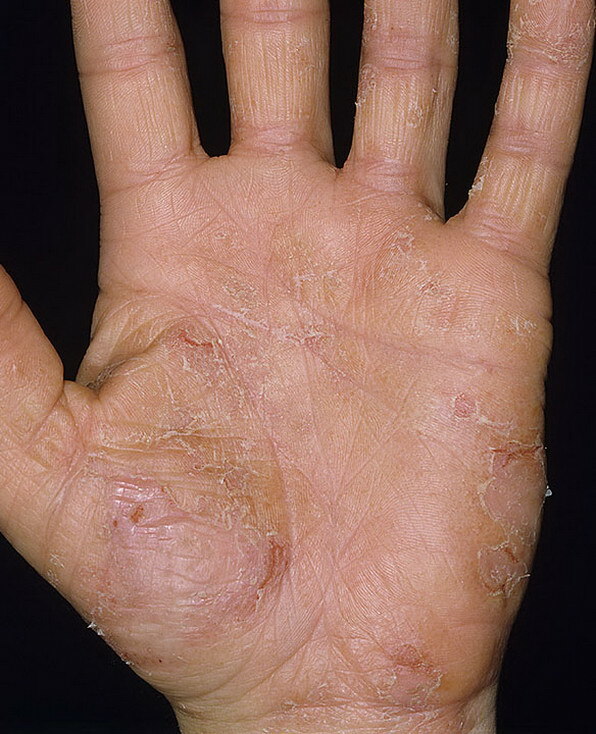 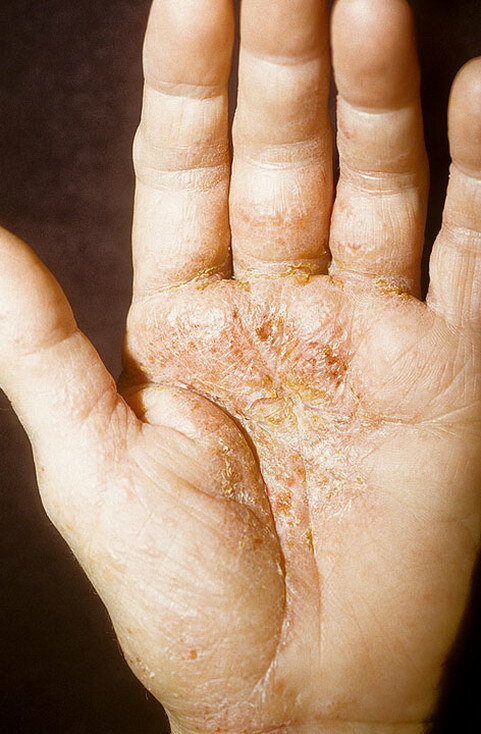 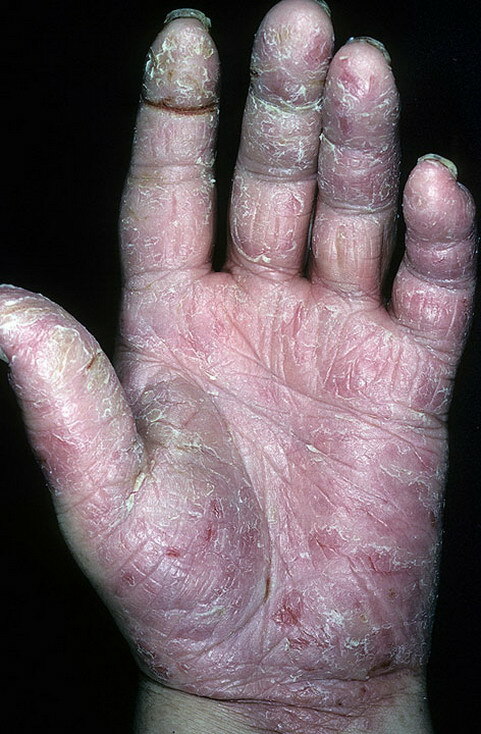 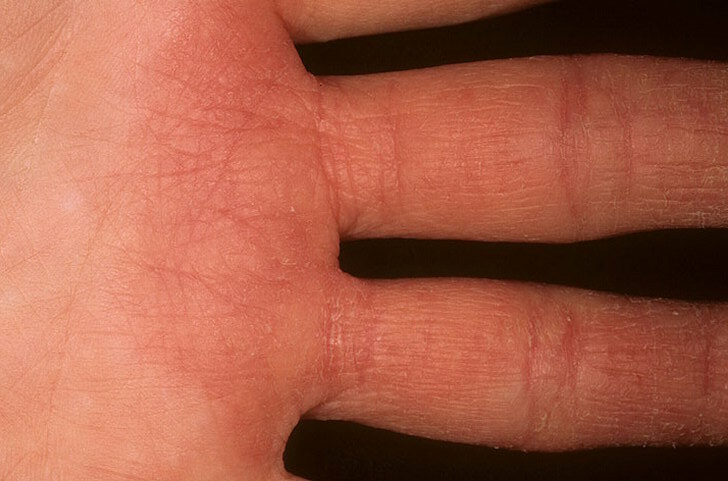 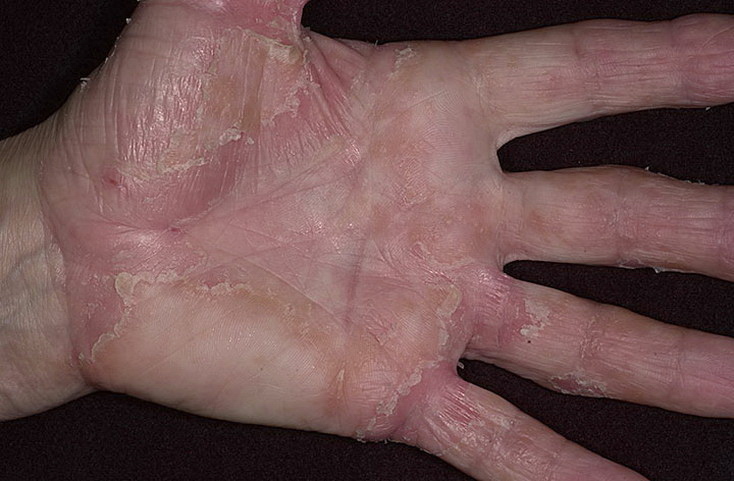 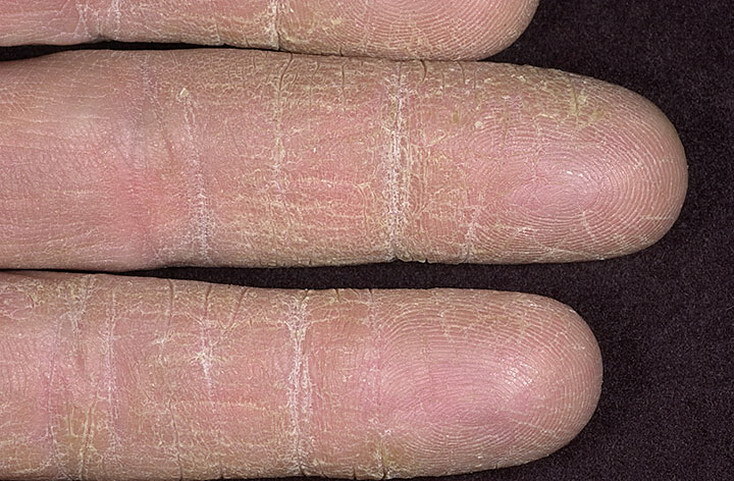 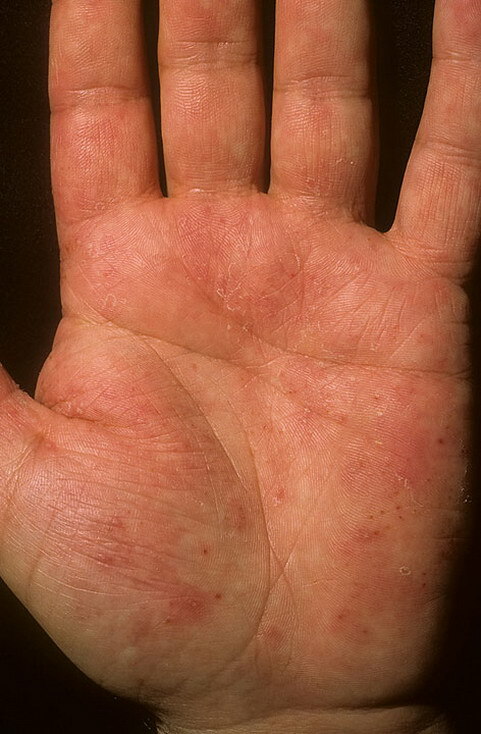 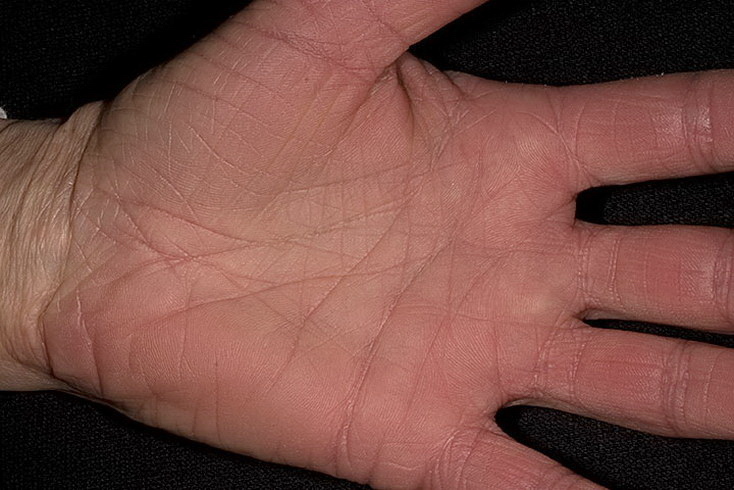 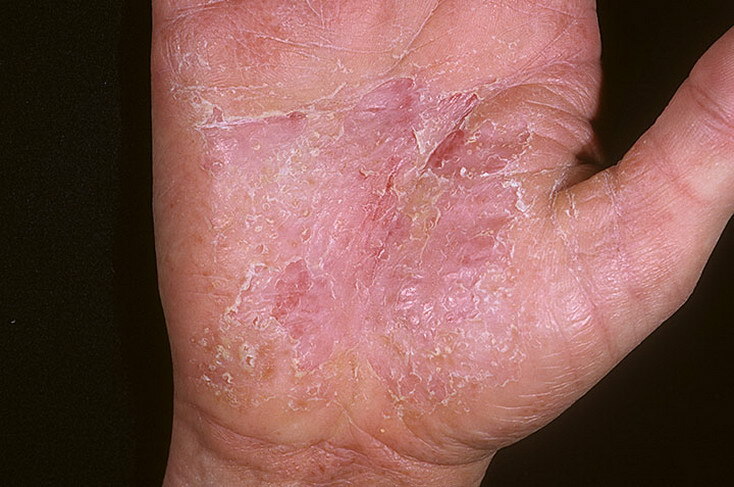 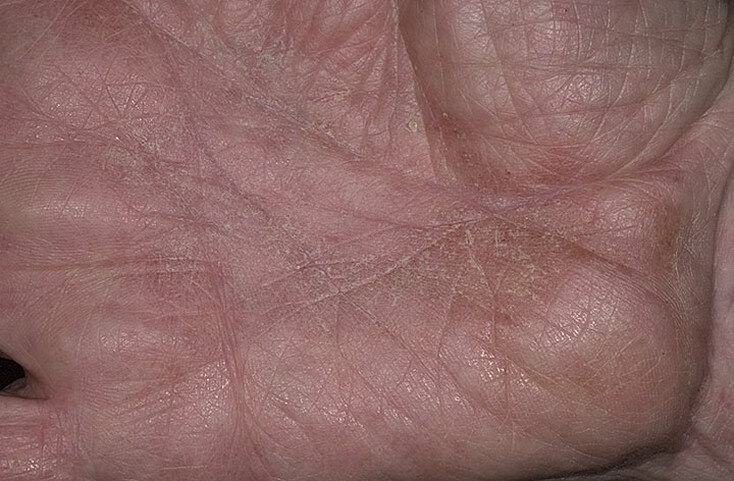 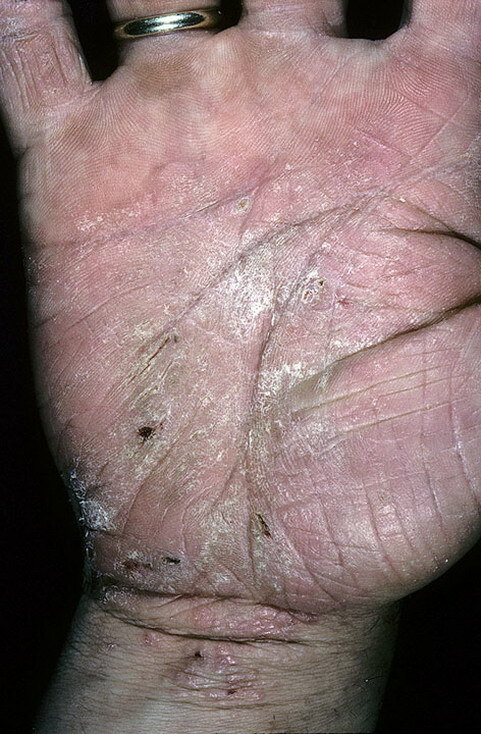 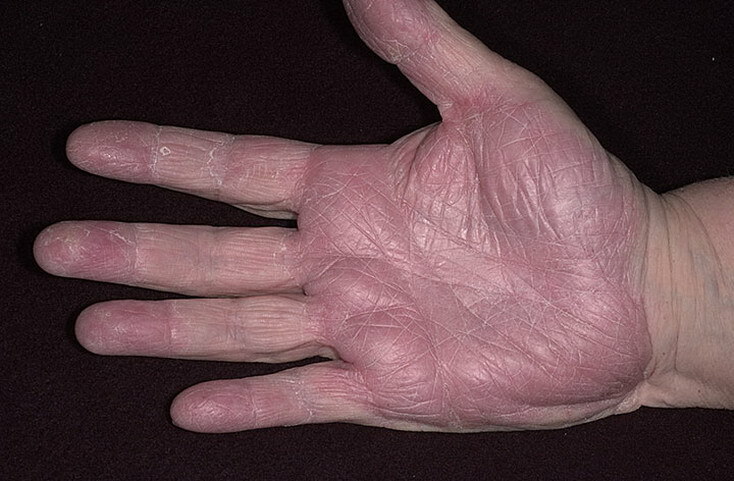 Hand eczema presents on the palms and soles, and may sometimes be difficult or impossible to differentiate from atopic dermatitis, allergic contact dermatitis, and psoriasis, which also commonly involve the hands. 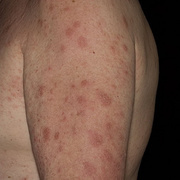 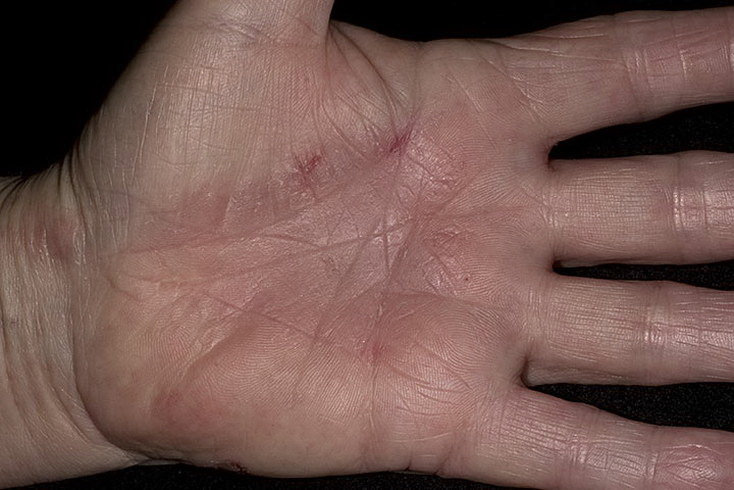 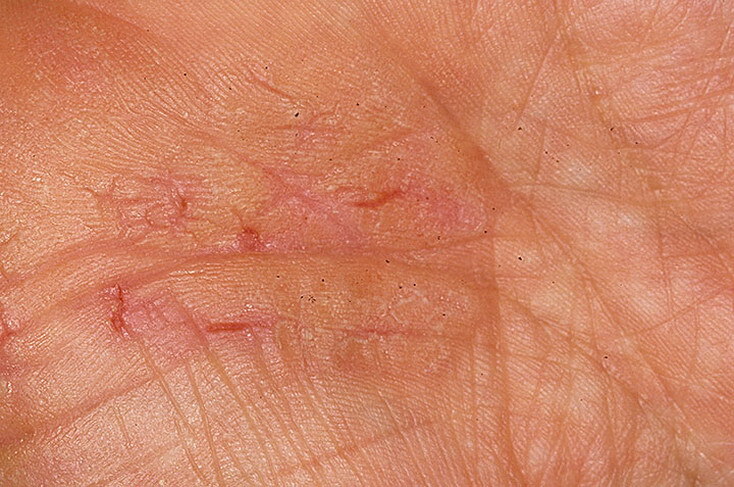 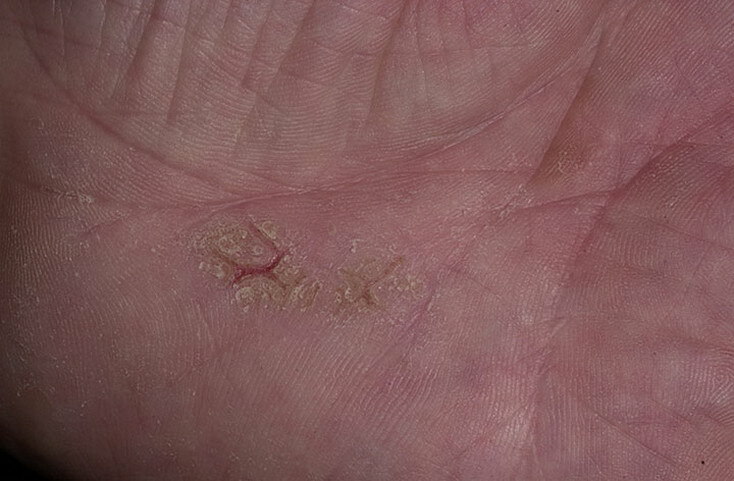 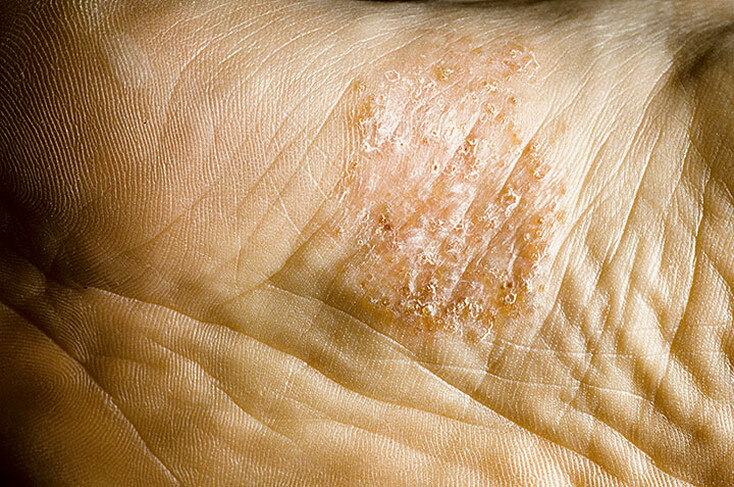 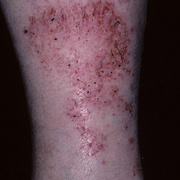 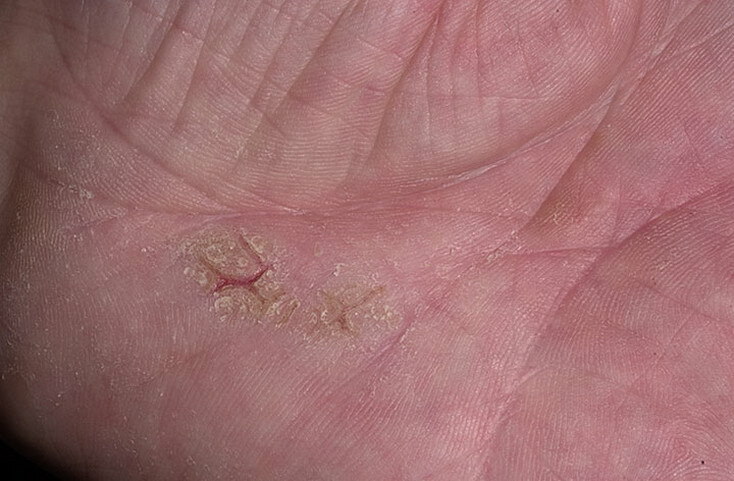 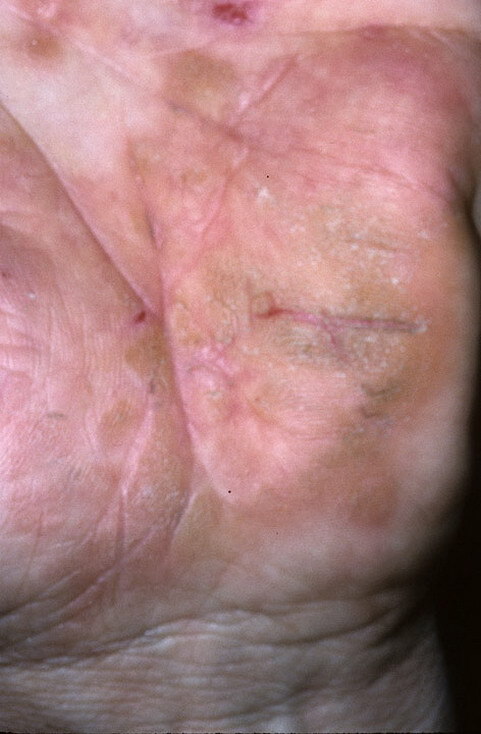 Even a biopsy of all these conditions may not result in a definitive diagnosis, as all three conditions may demonstrate spongiosis and crusting on the hands. 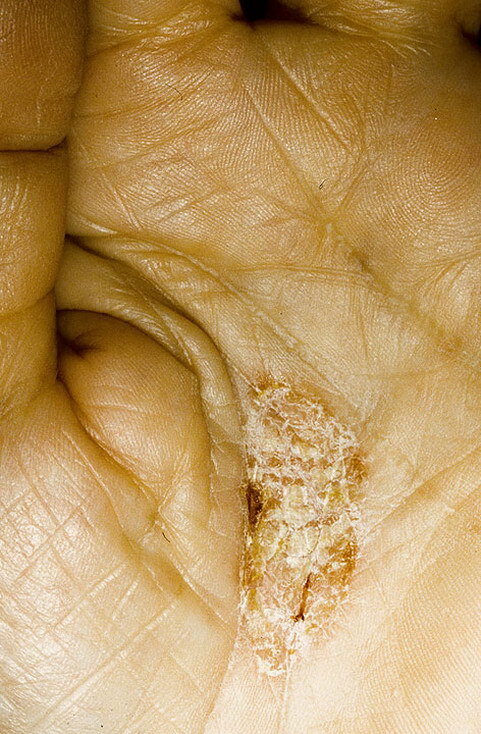 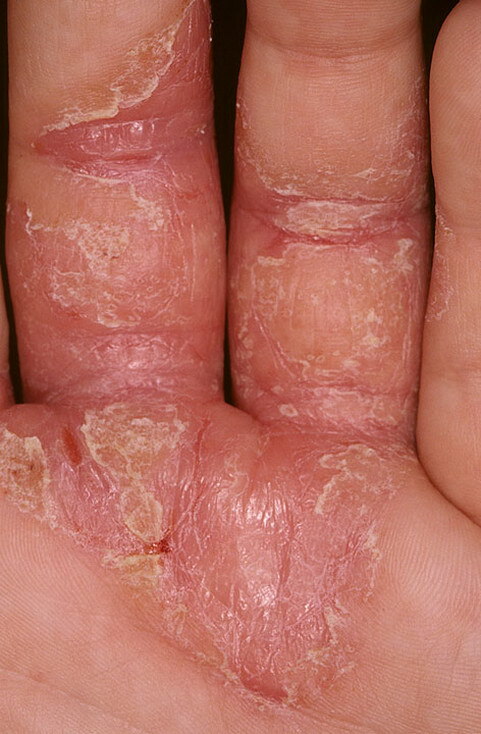 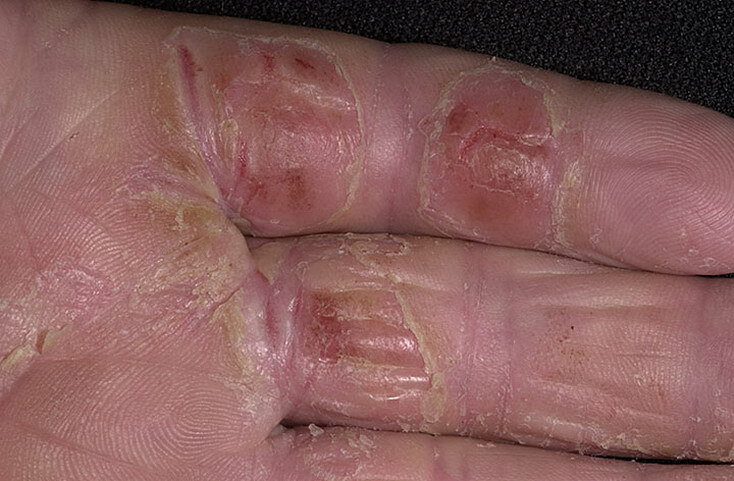 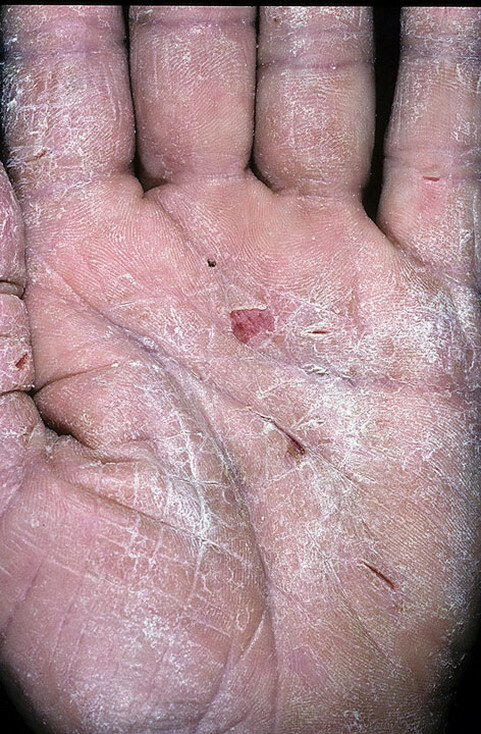 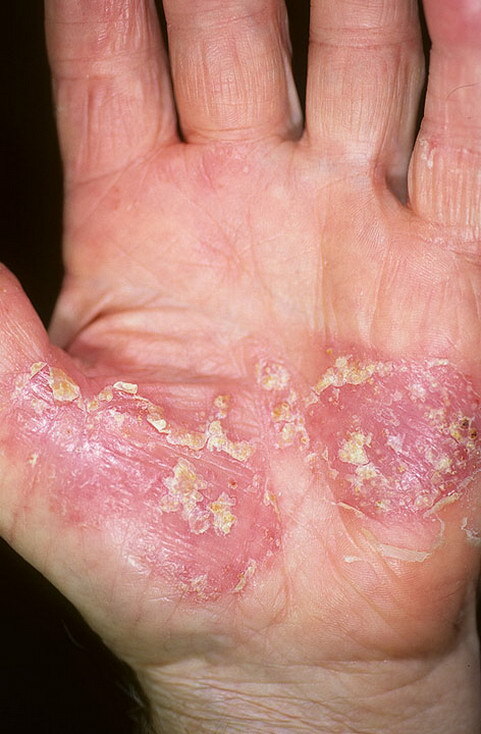 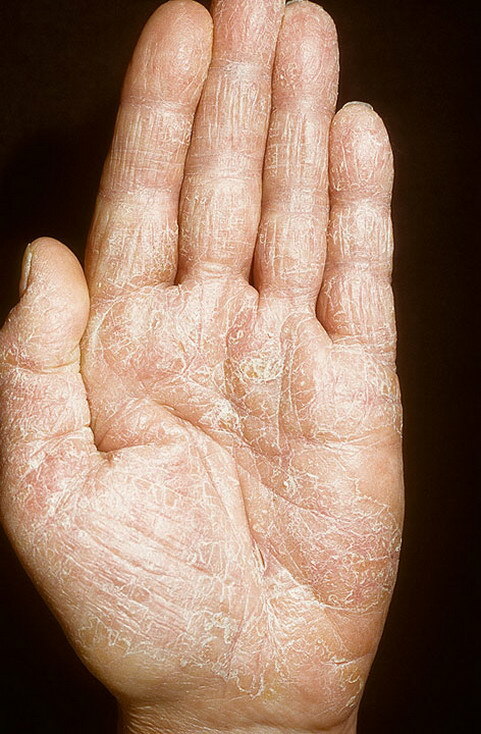 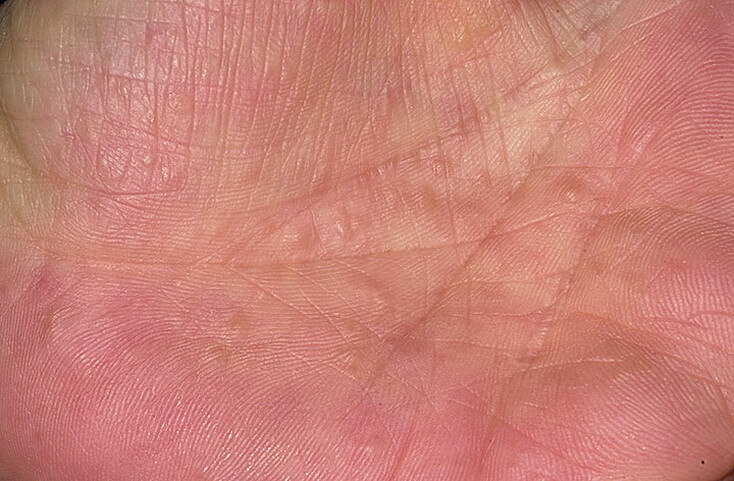 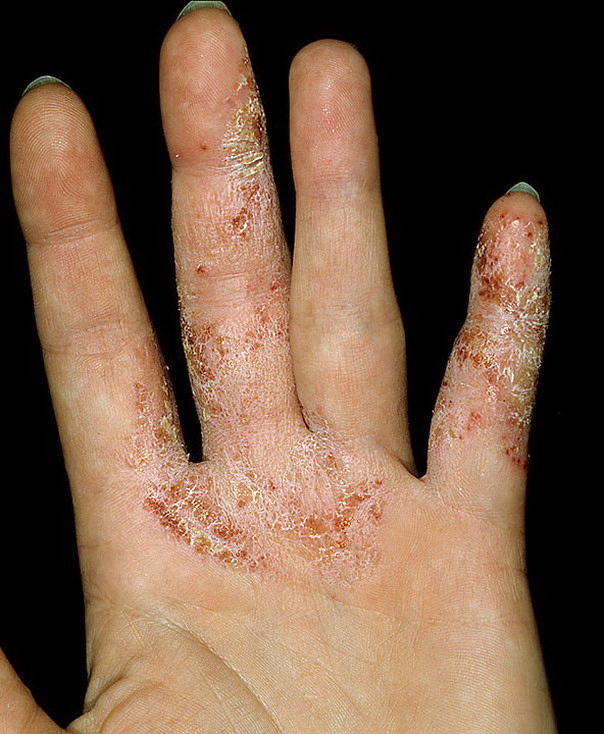 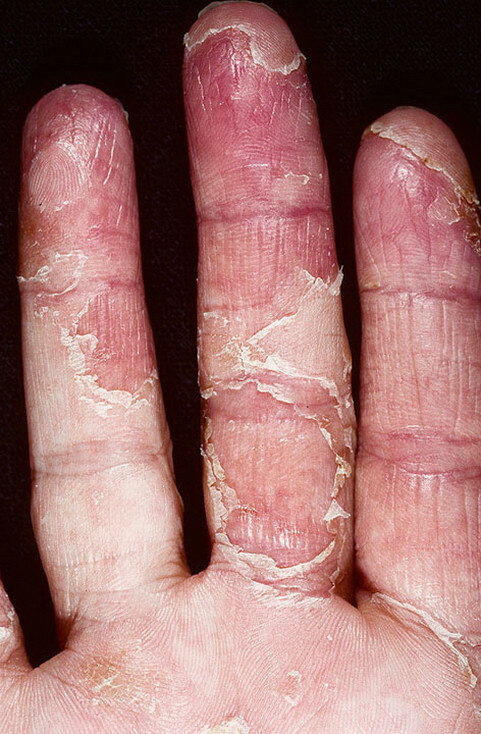 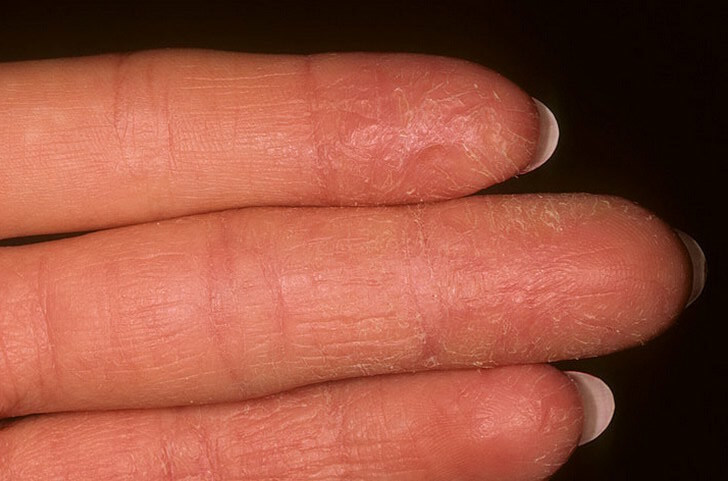 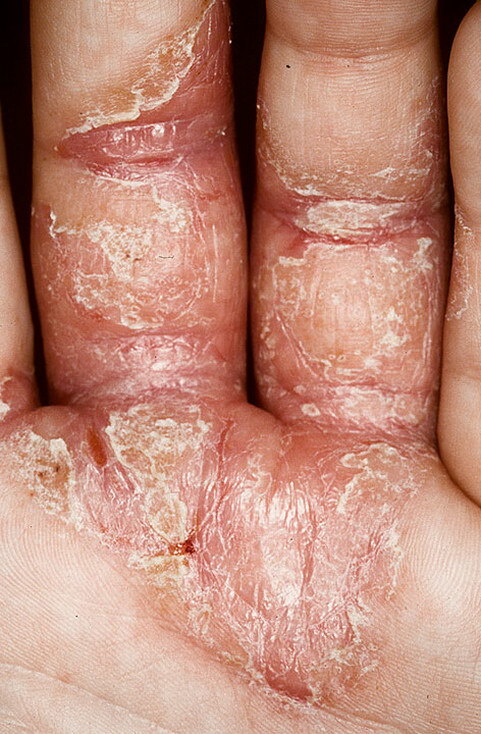 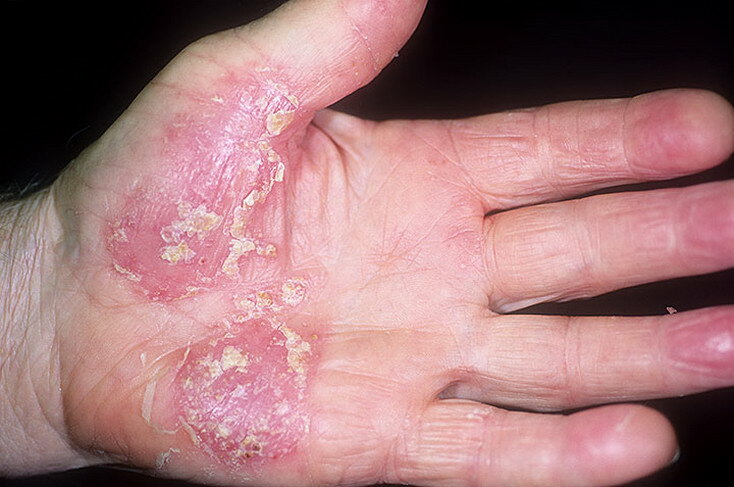 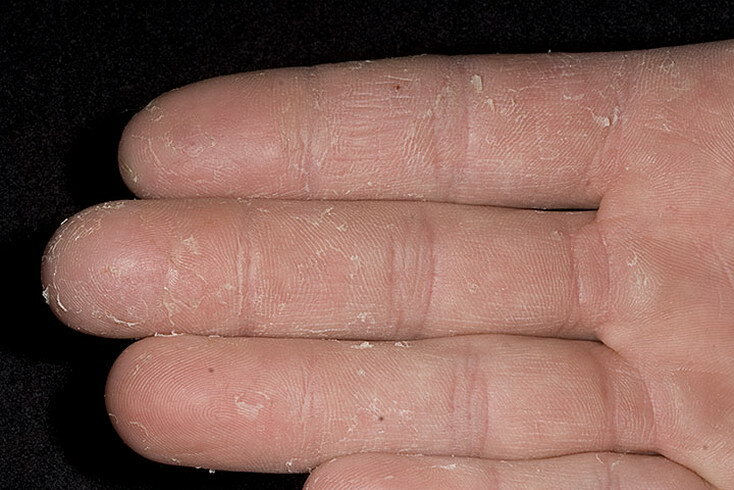 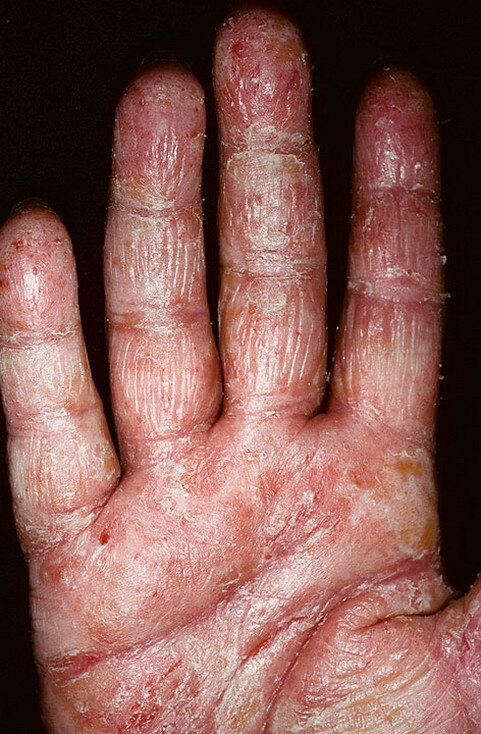 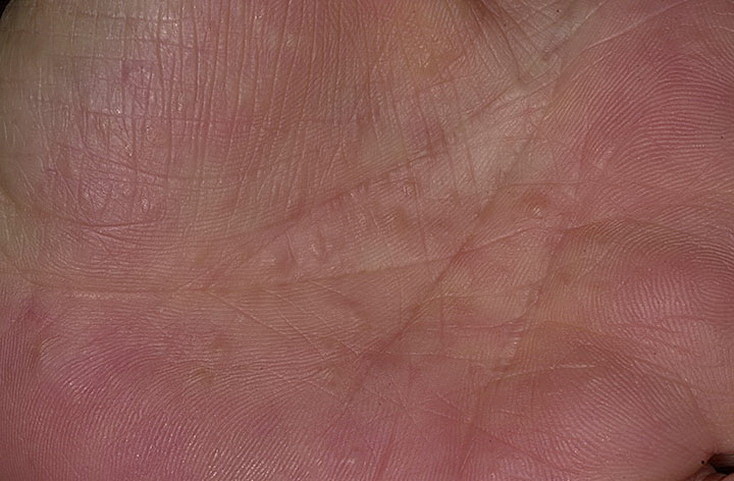 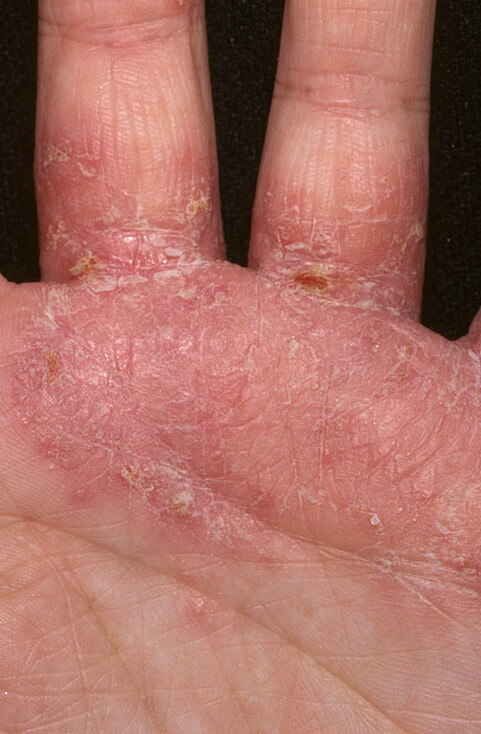 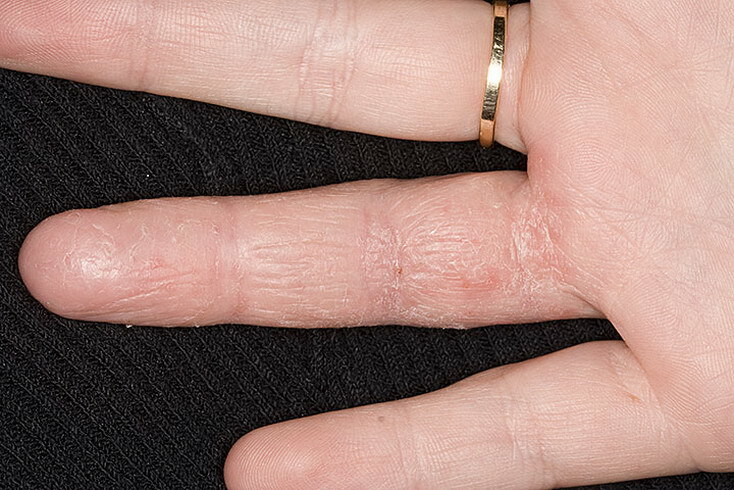 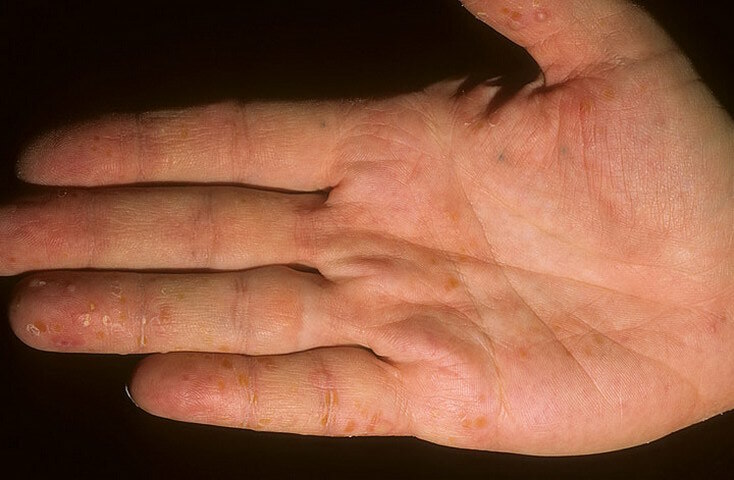 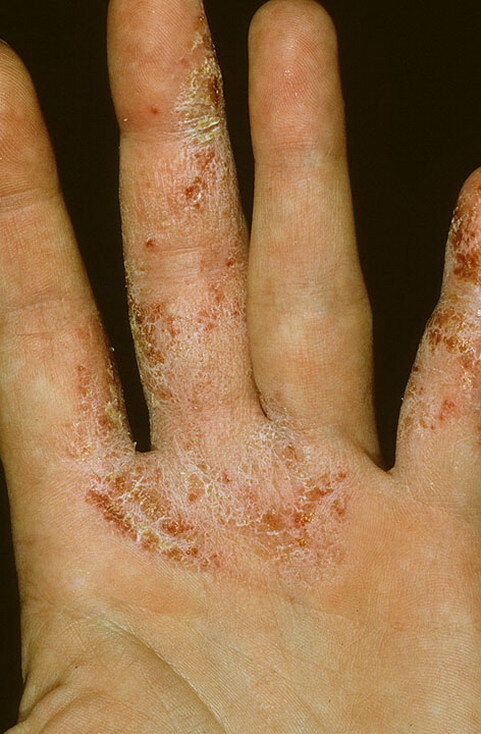 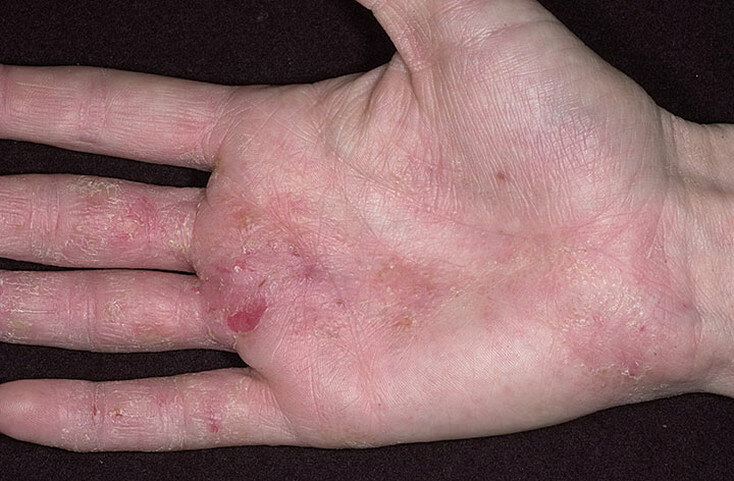 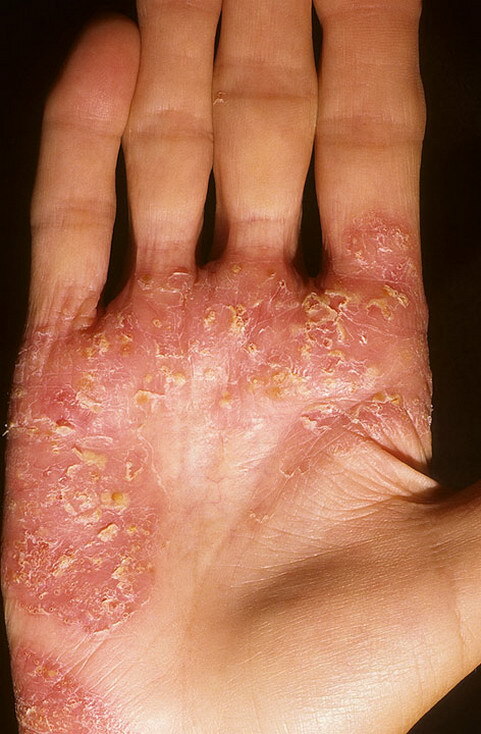 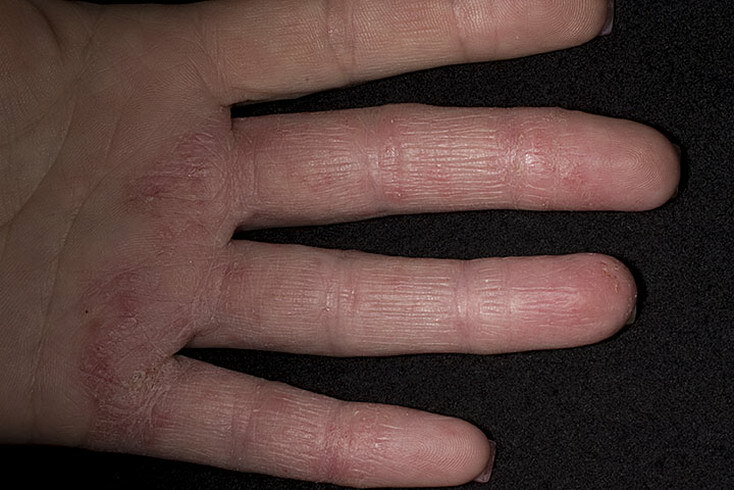 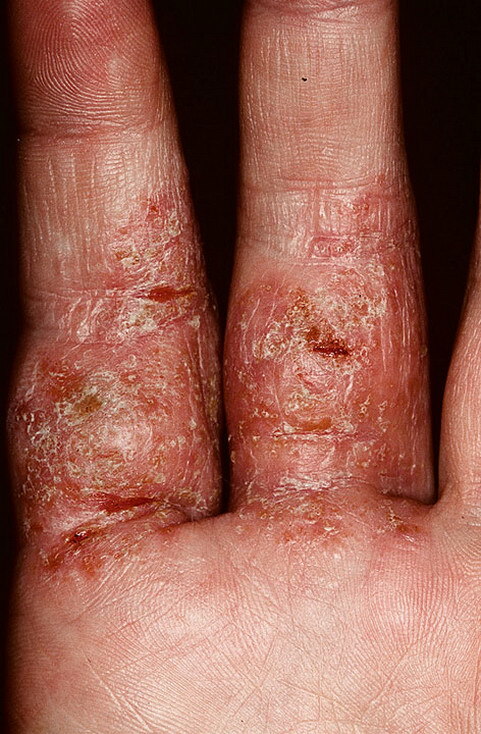 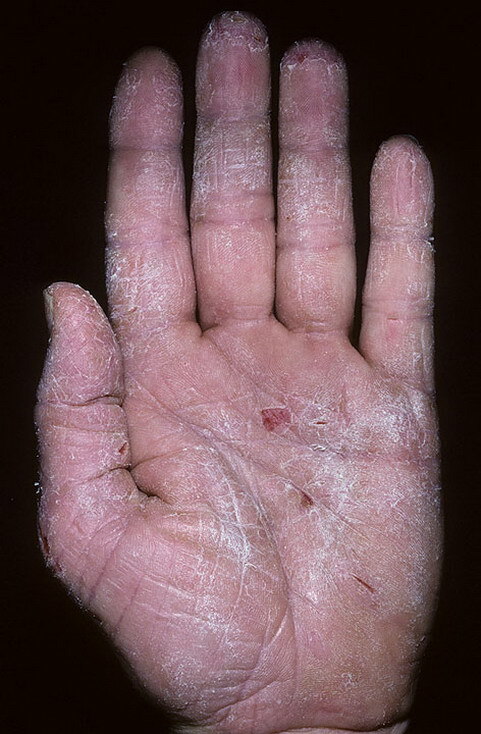 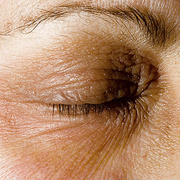 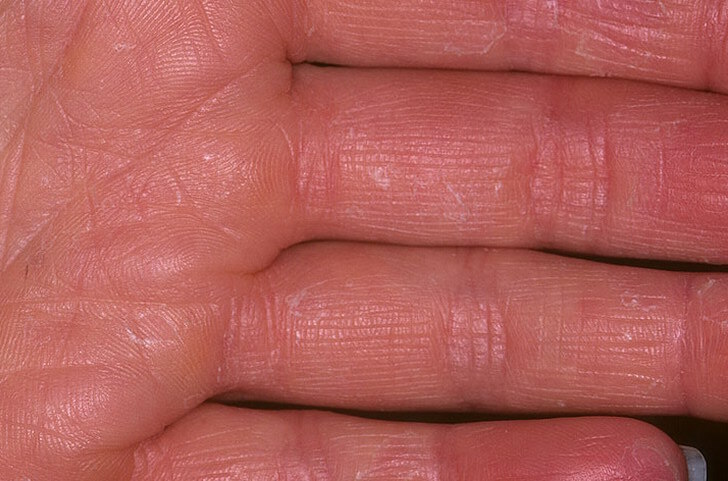 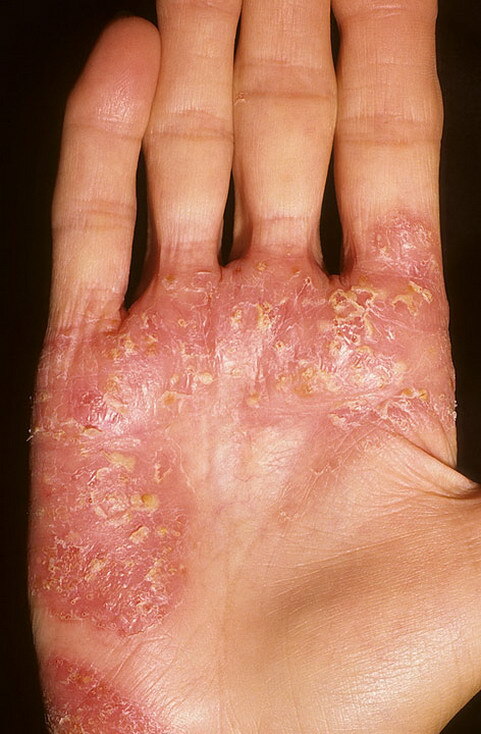 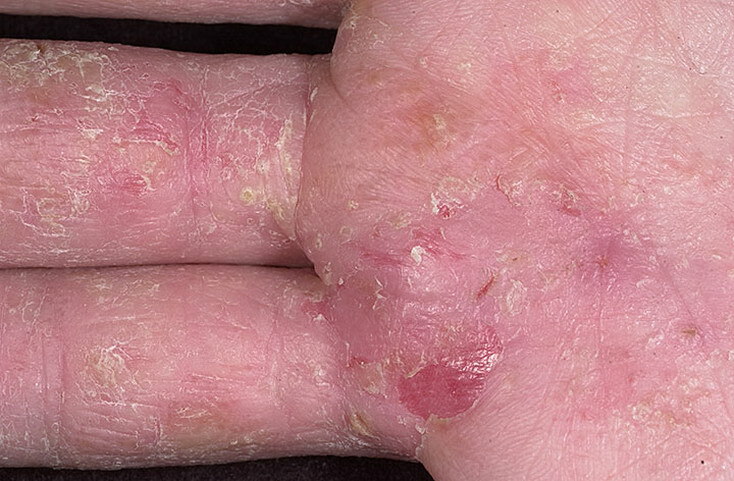 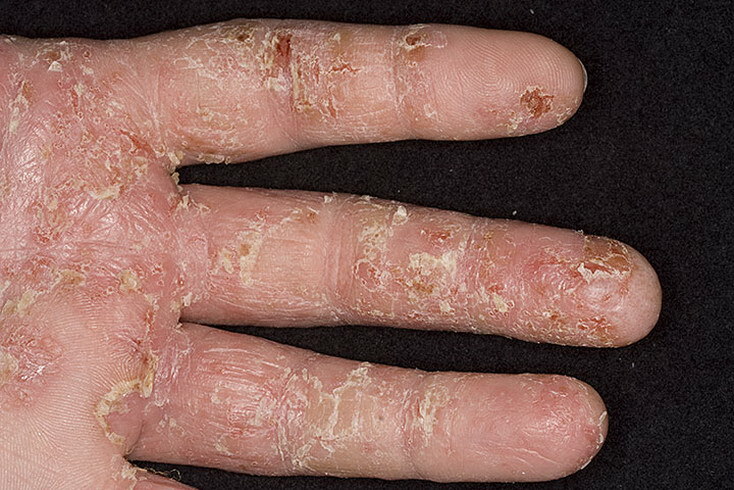 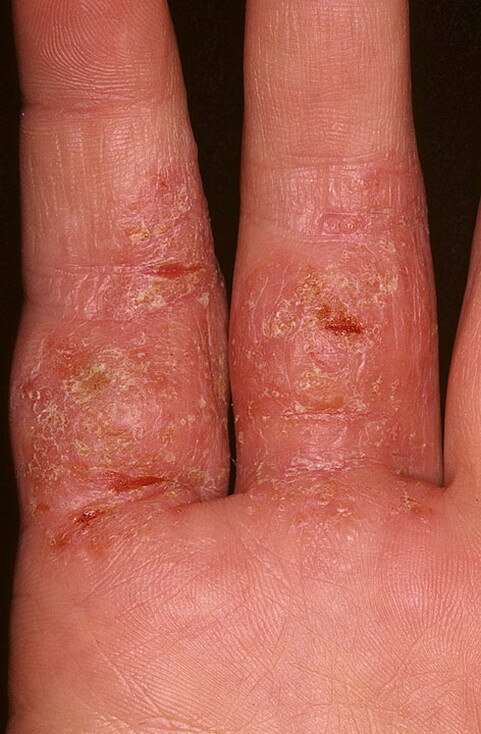 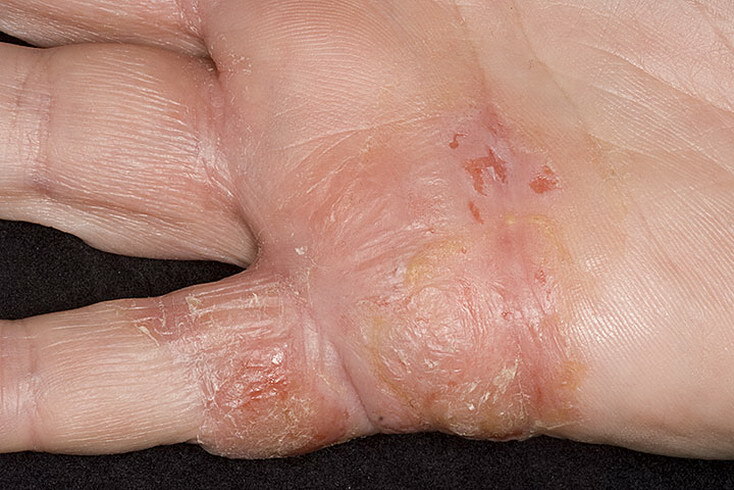 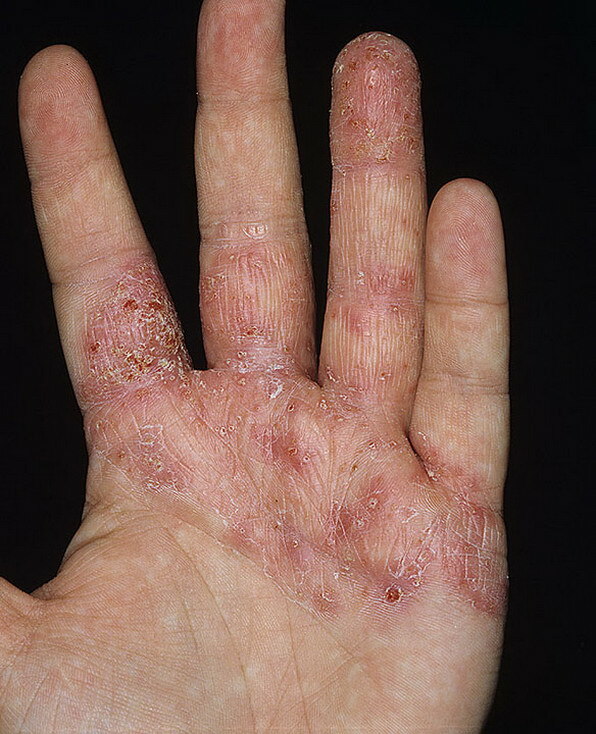 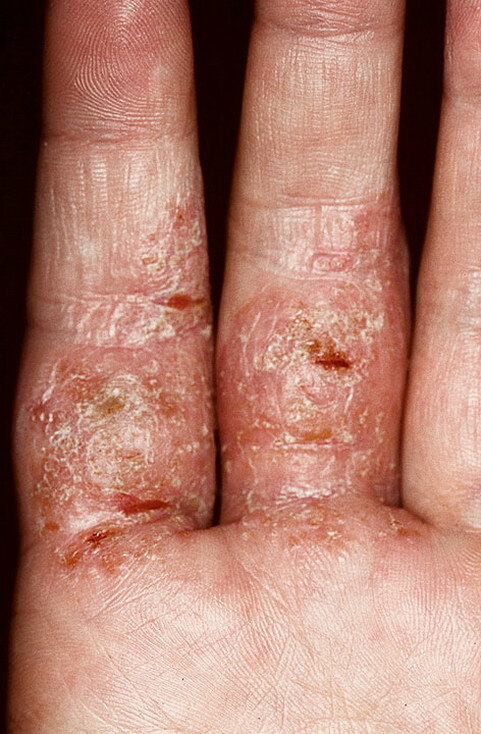 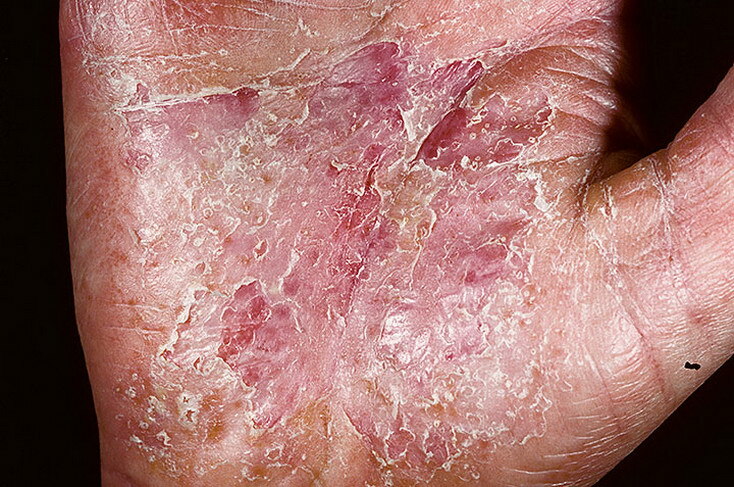 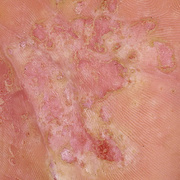 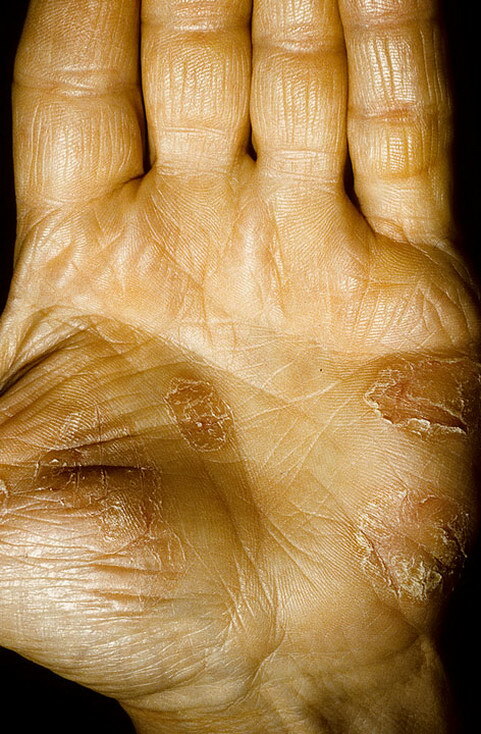 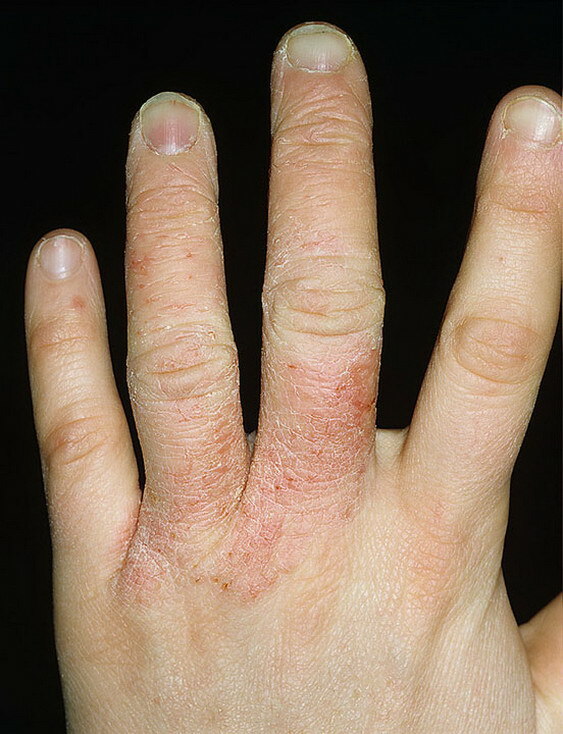 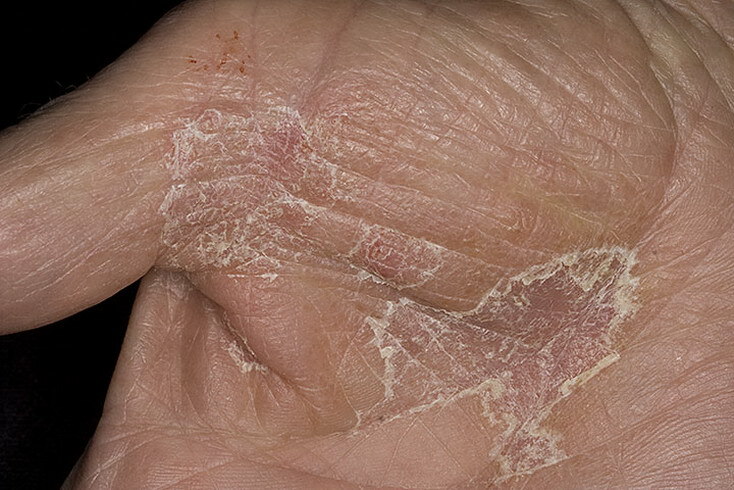 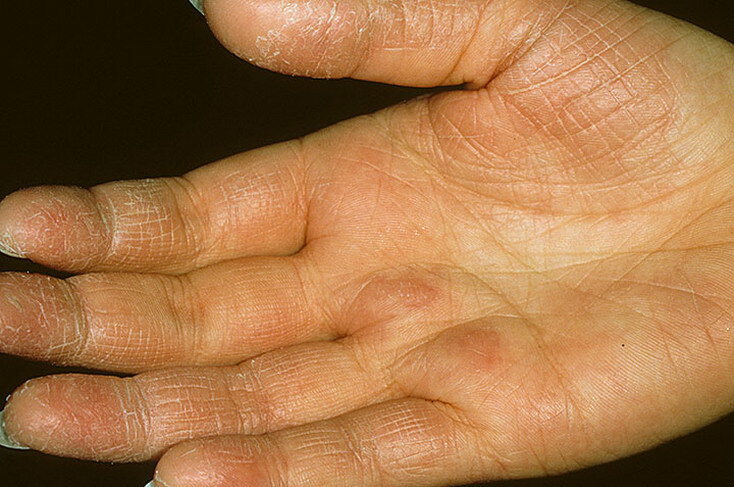 Normally, skin inflammation connected with hand eczema is accompanied by blister formation and pronounced itching, but solid calluses and painful tearing may also occur. 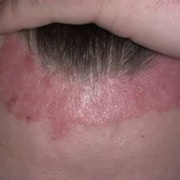 The quality of life of the affected person is seriously diminished, especially in the case of chronic forms of the illness, and psychological impact is often very high. 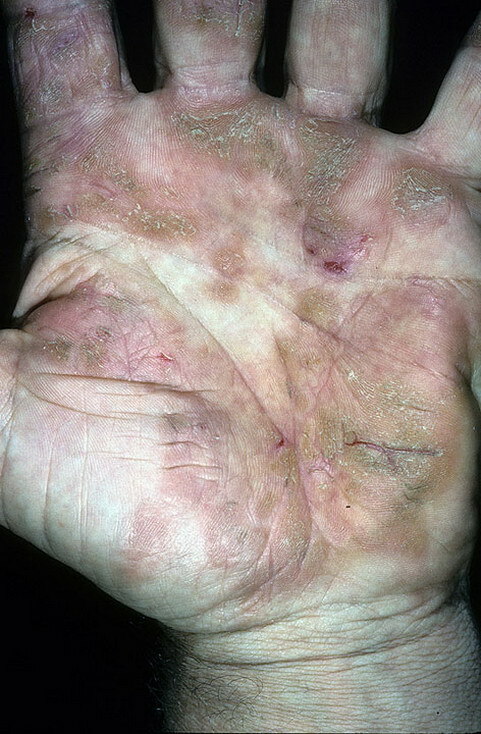 This impact is enhanced by the high visibility of the illness on the hands, which may lead to feelings of shame and fear of rejection. 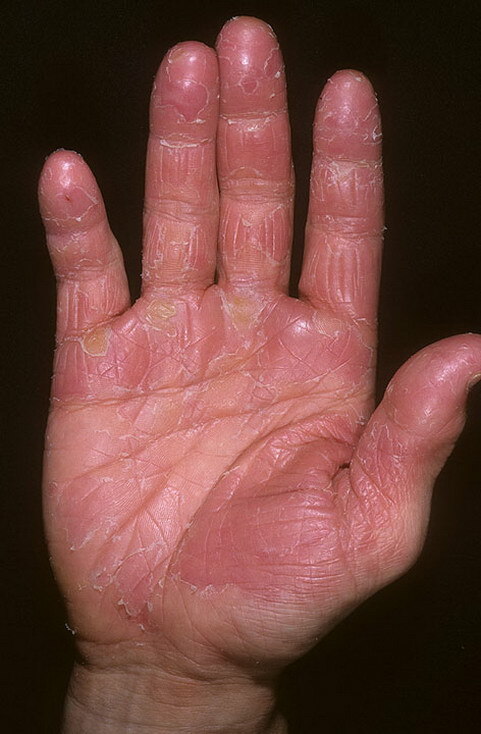 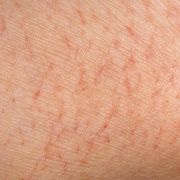 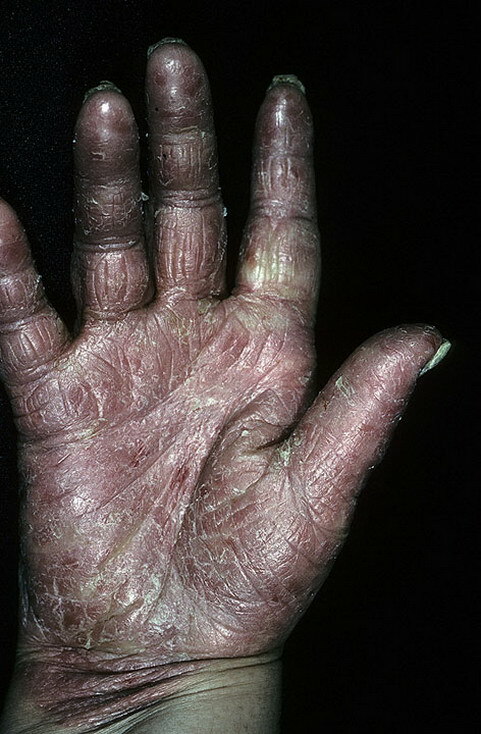 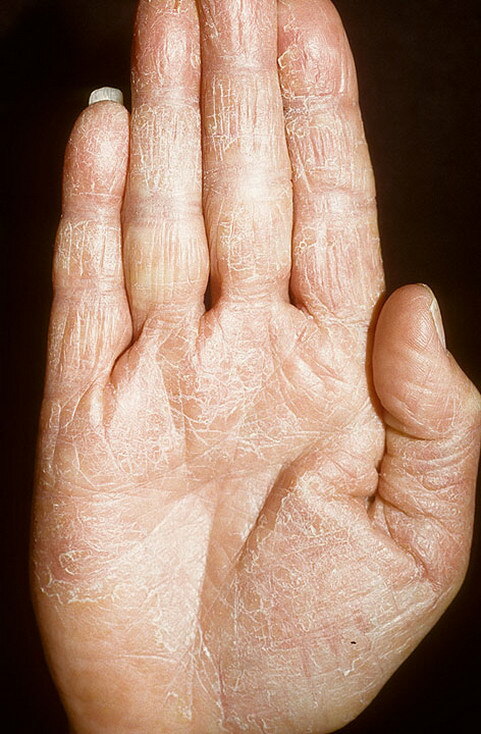 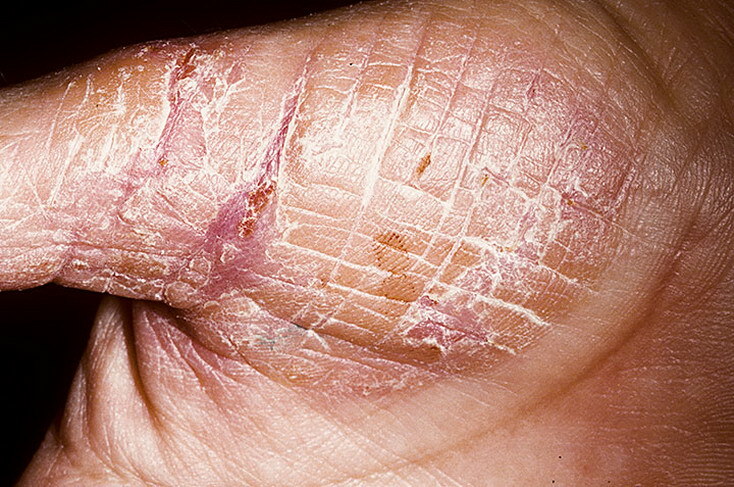 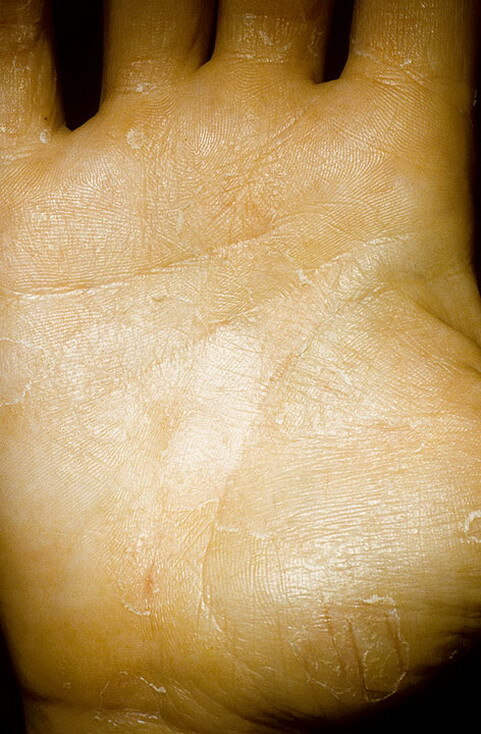 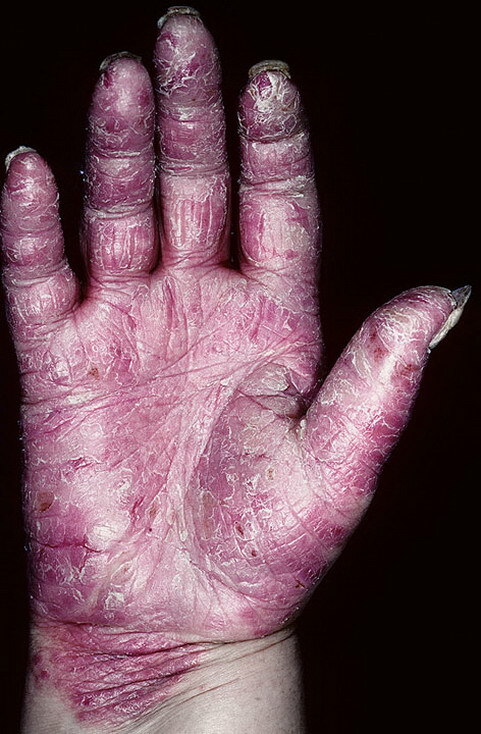 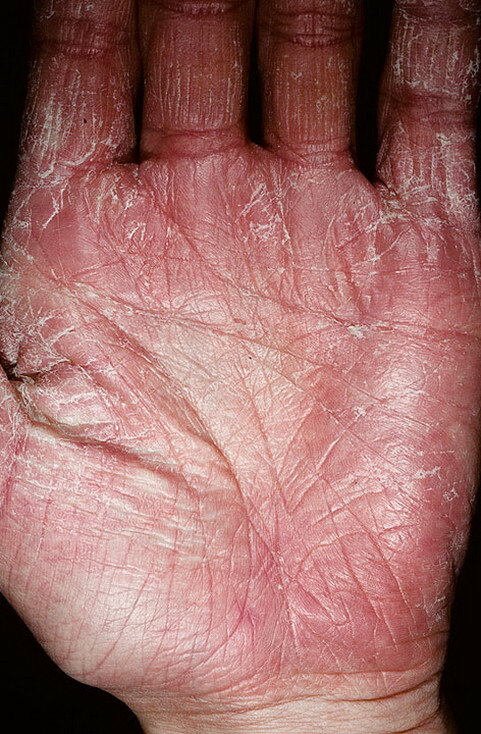 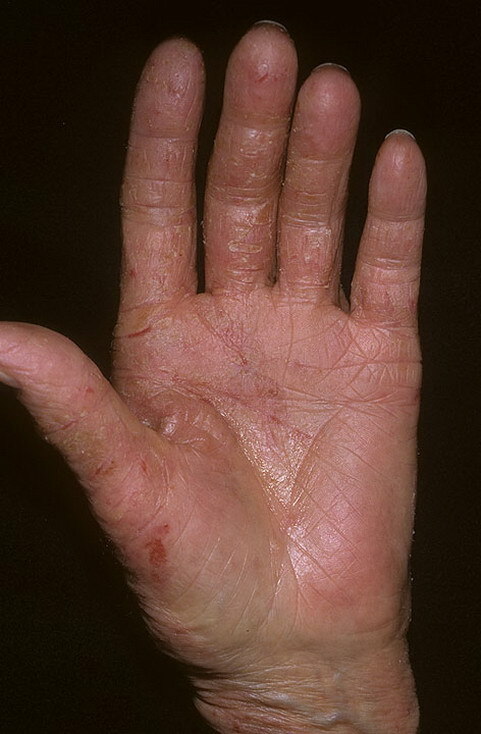 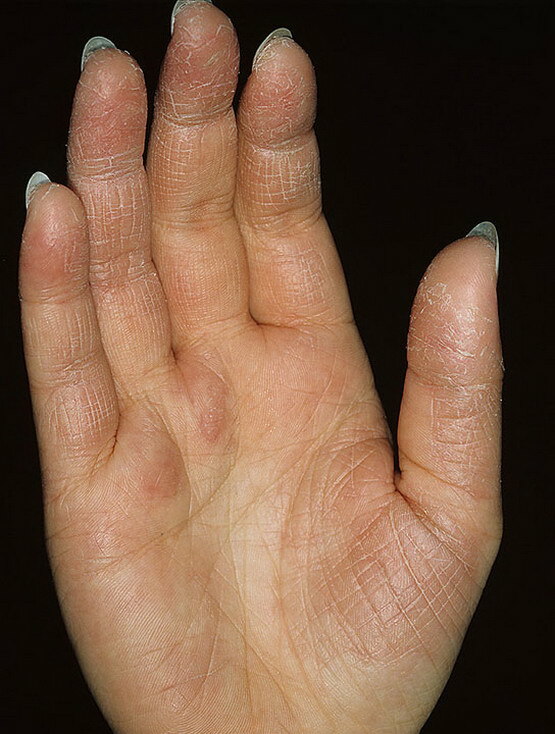 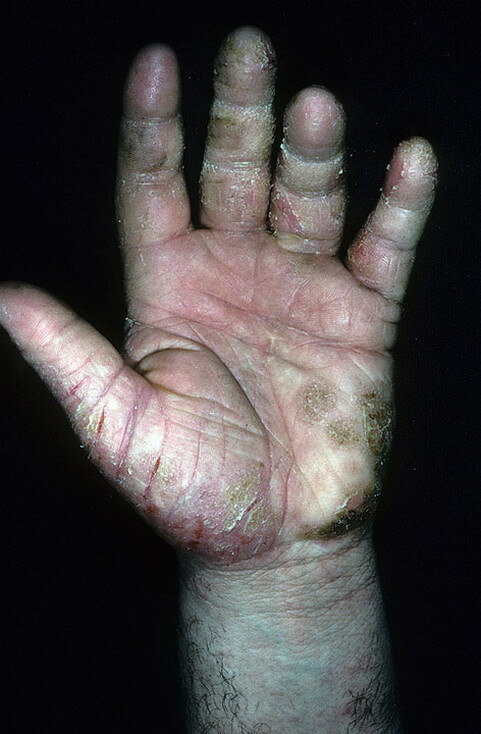 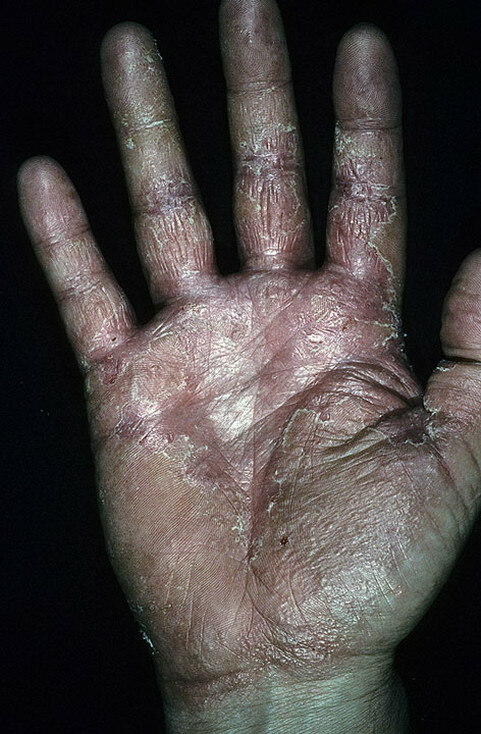 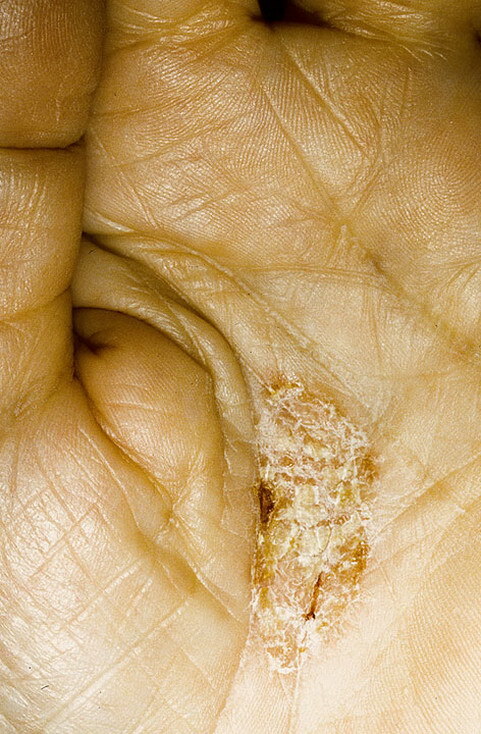 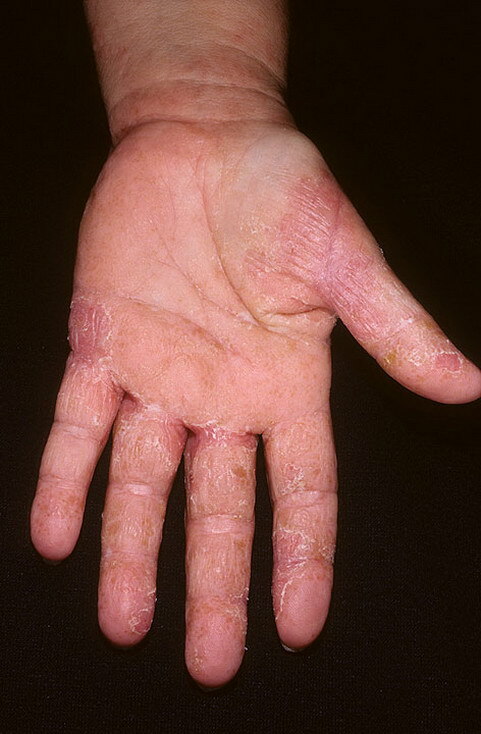 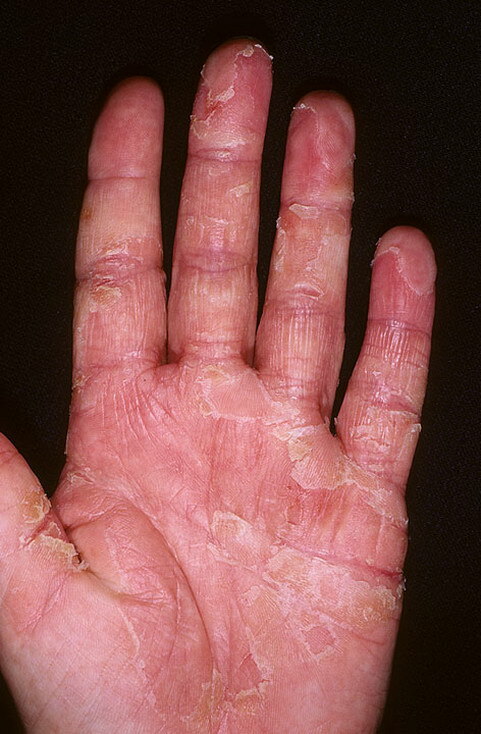 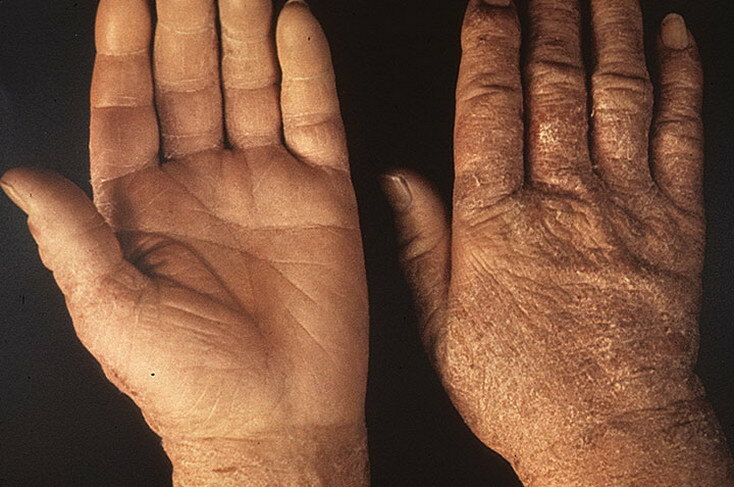 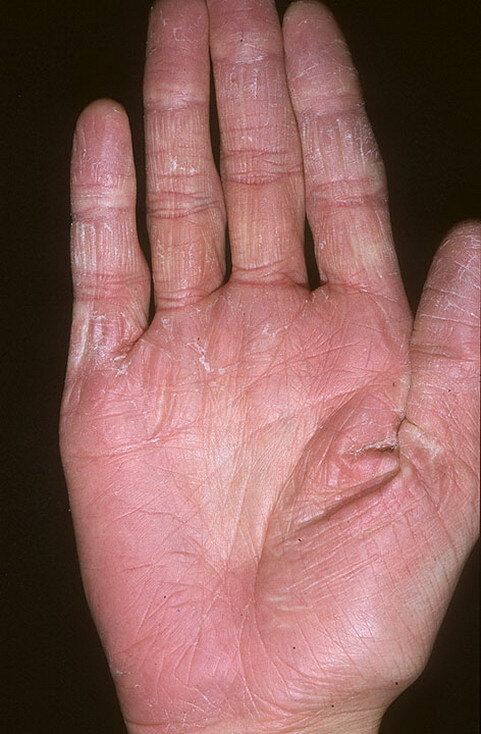 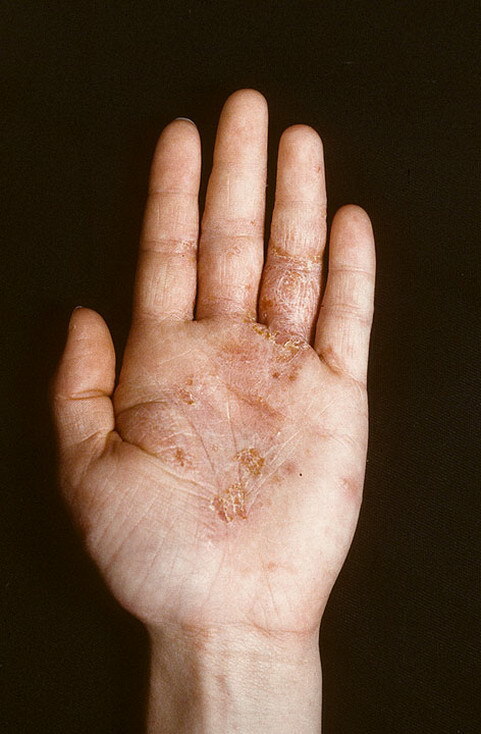 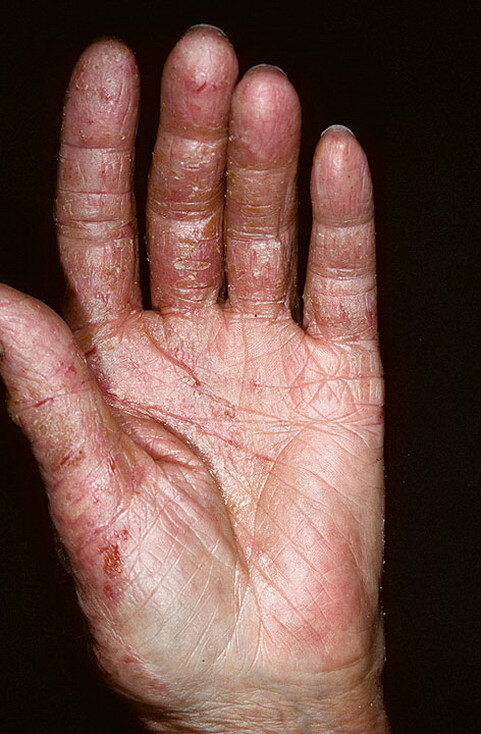 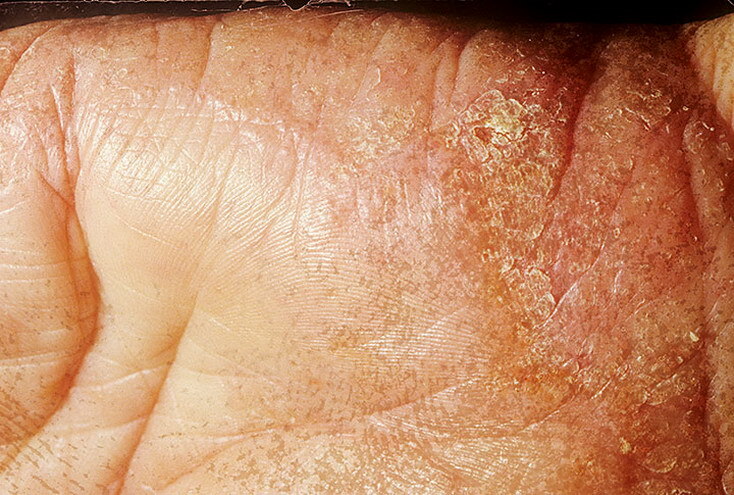 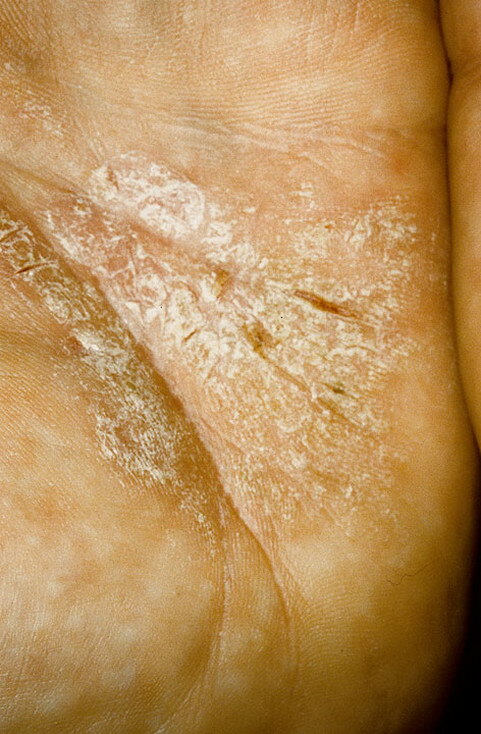 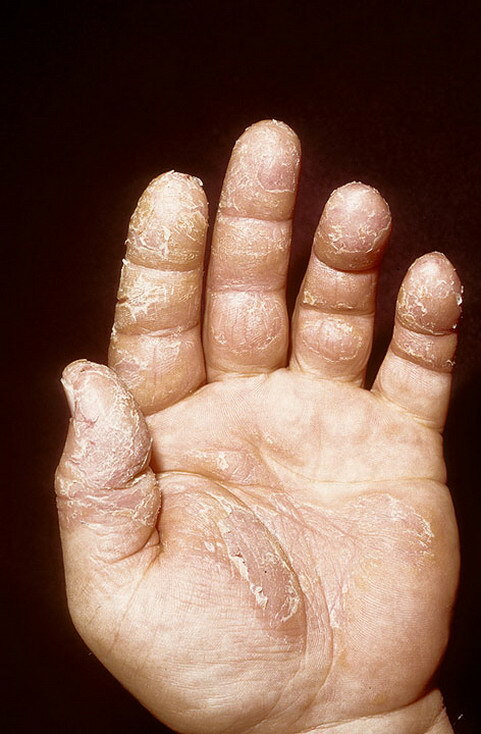 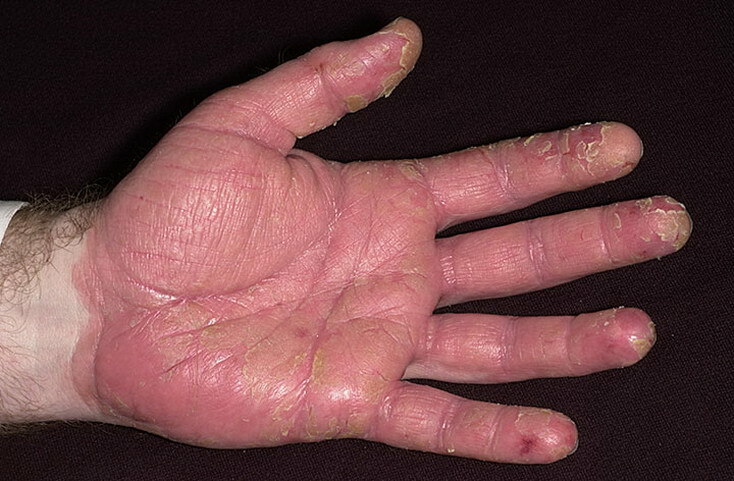 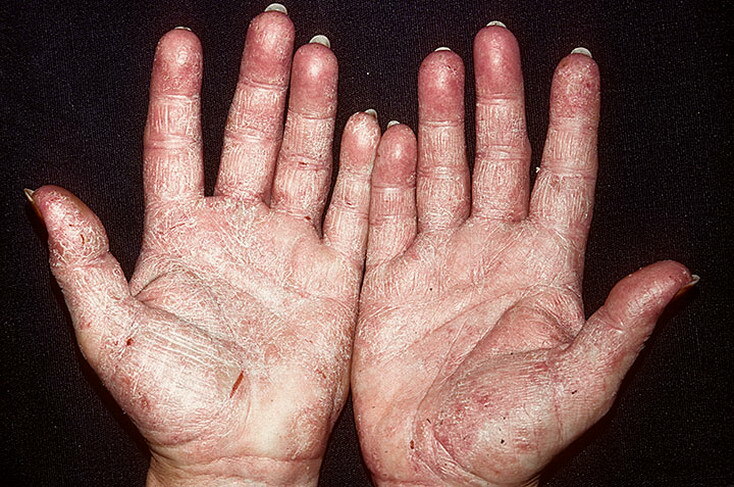 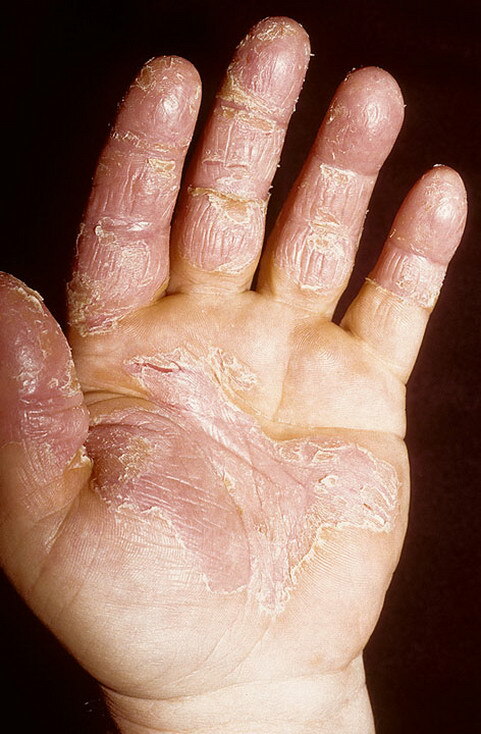 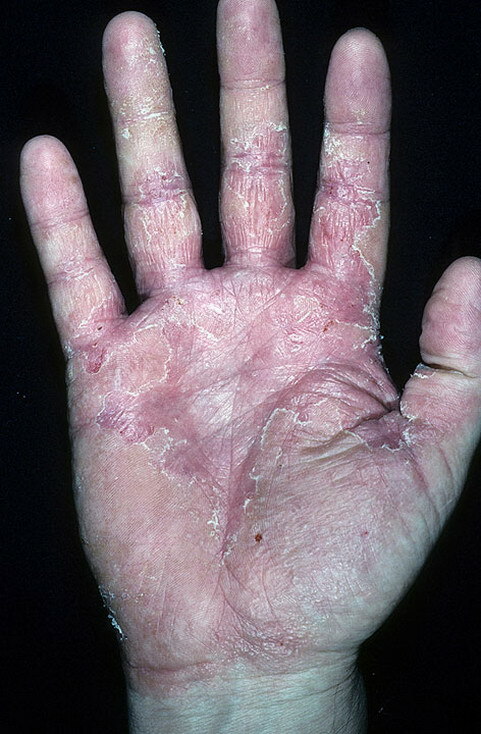 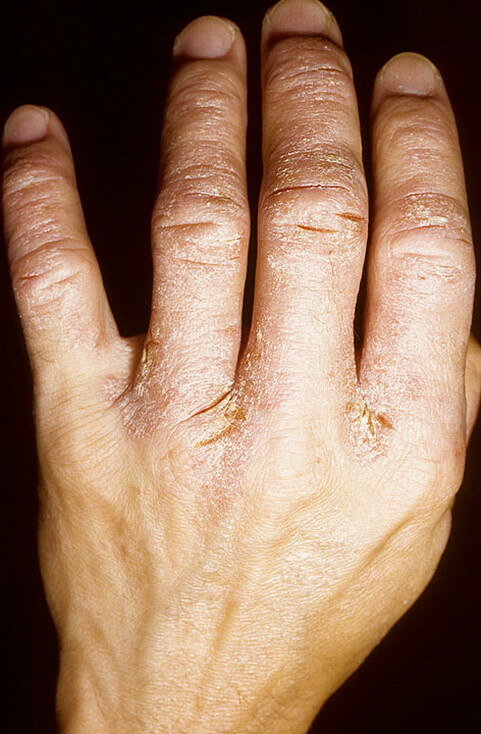 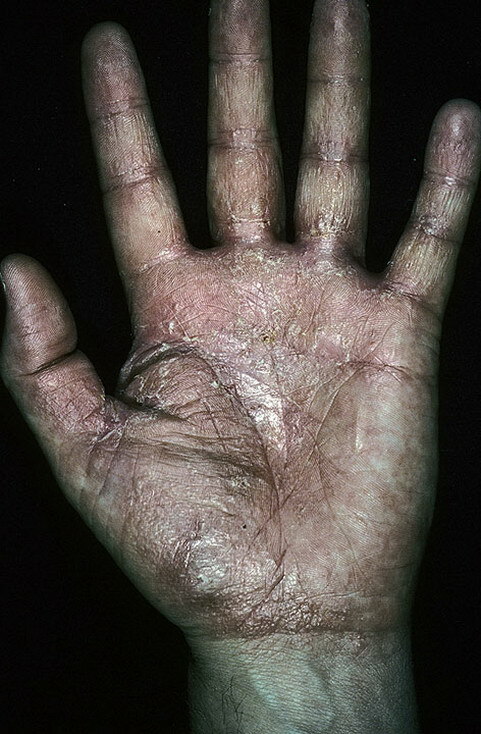 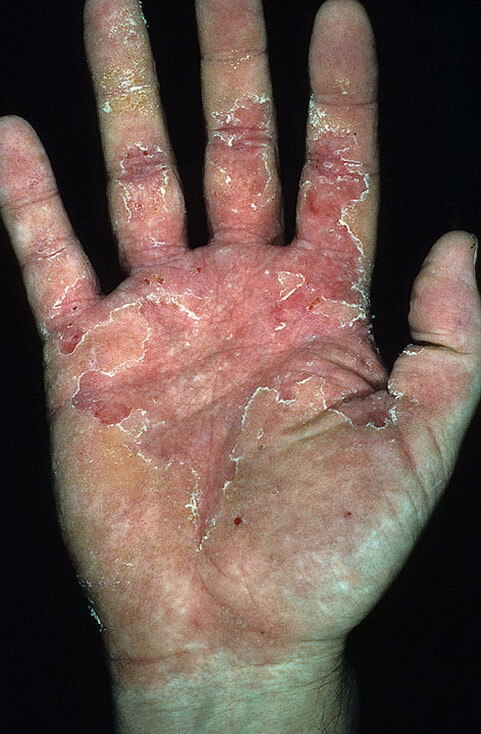 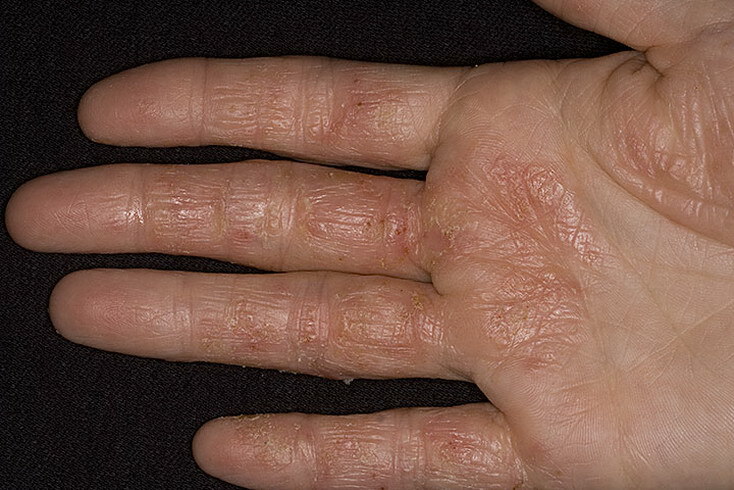 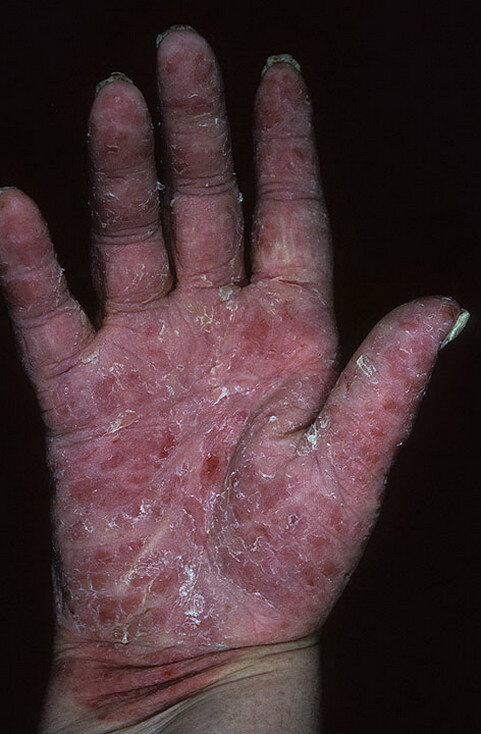 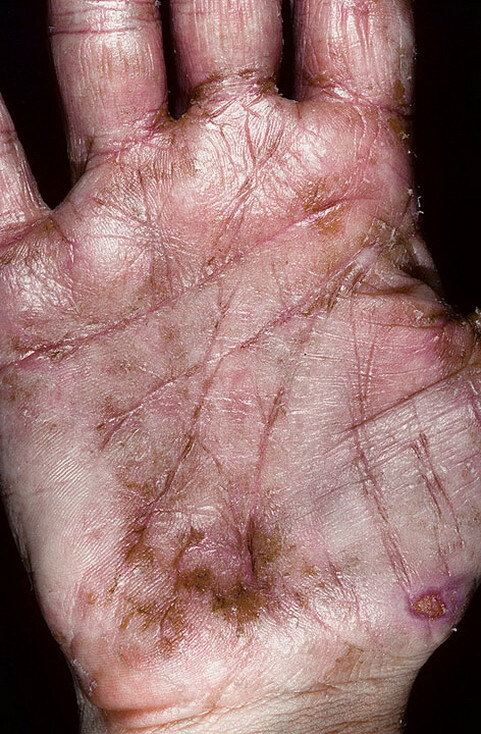 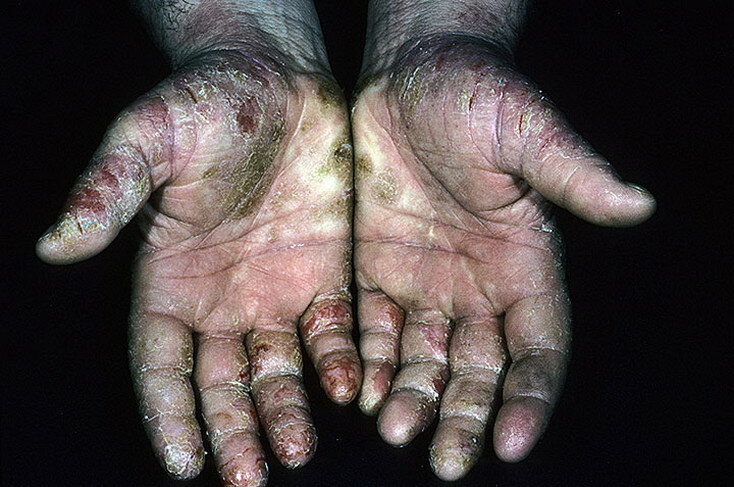 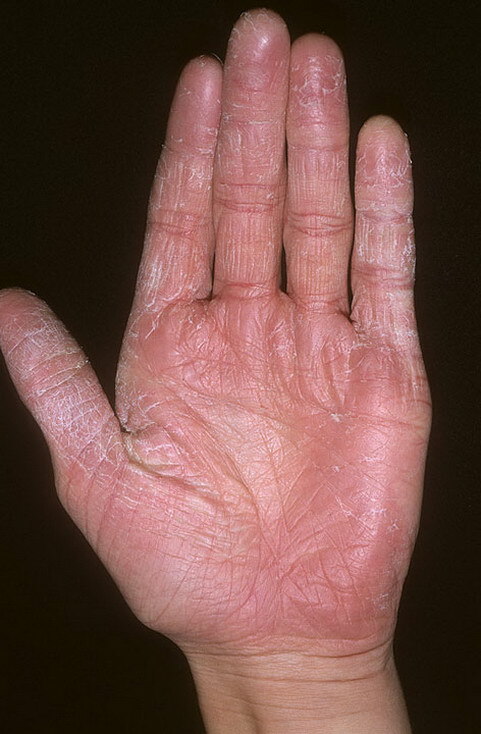 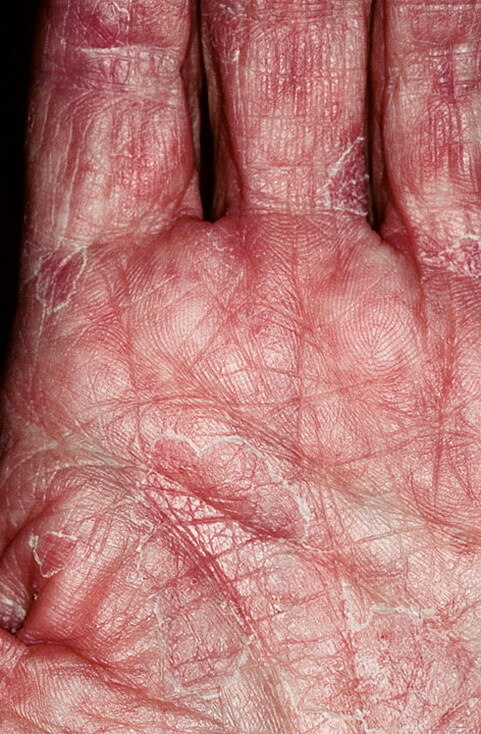 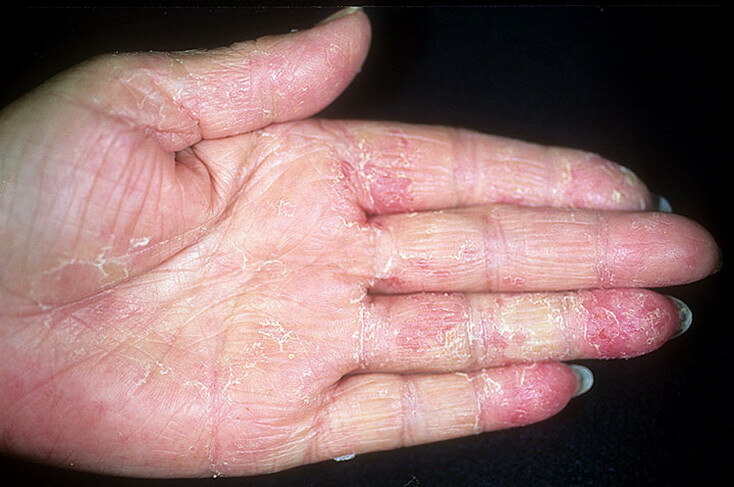 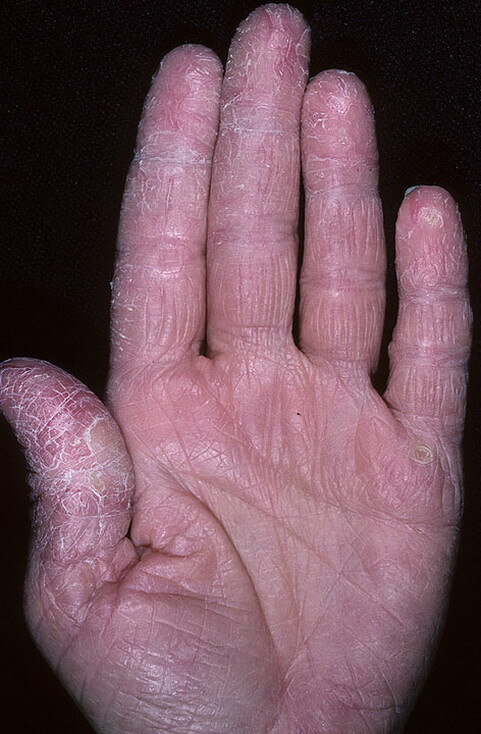 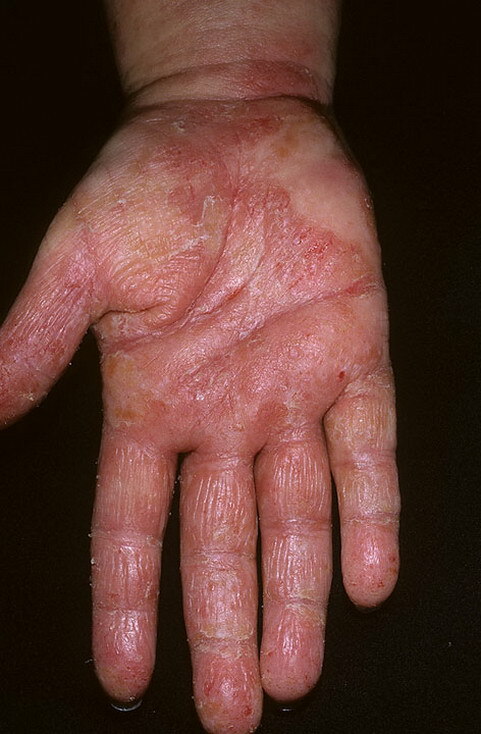 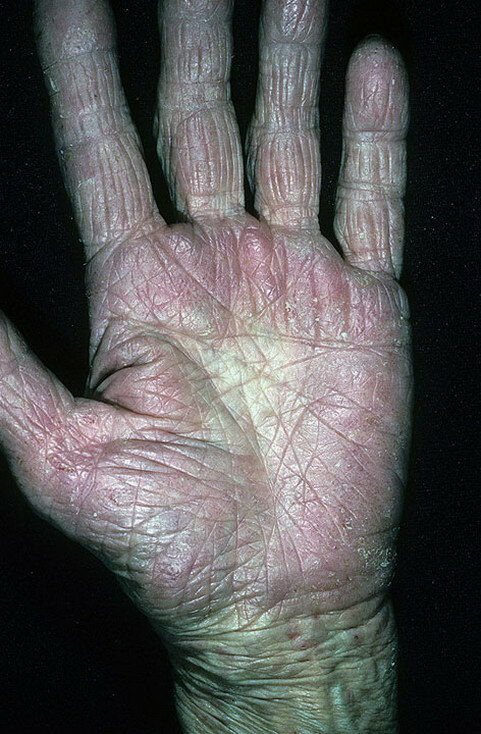 Non-communicable inflammation of the skin of the hands is referred to as hand eczema. 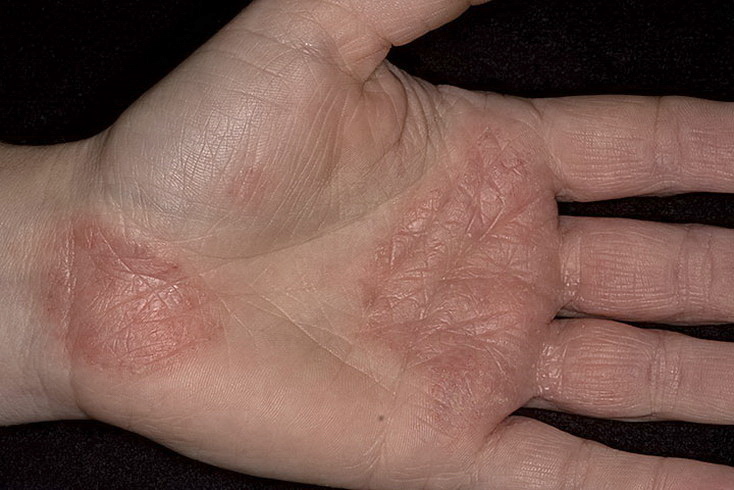 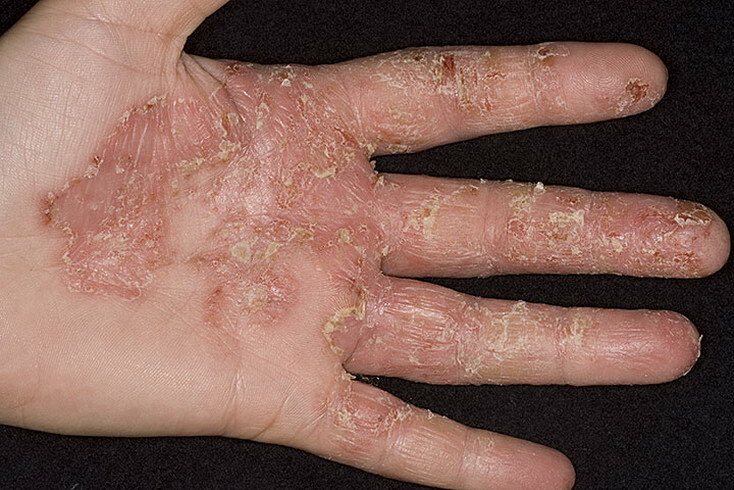 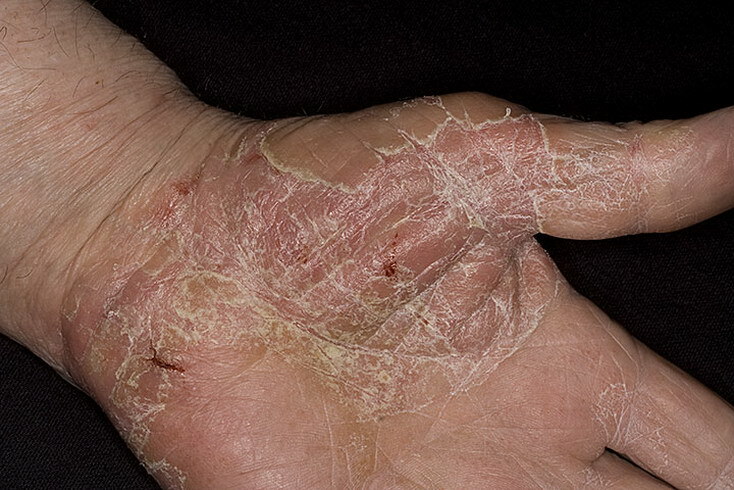 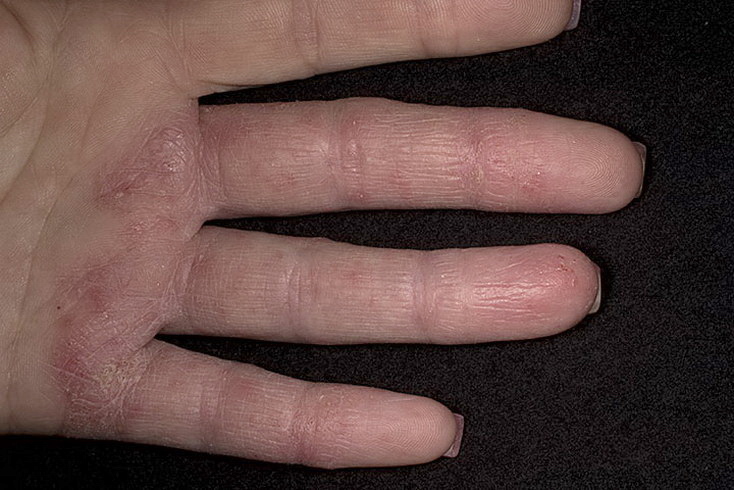 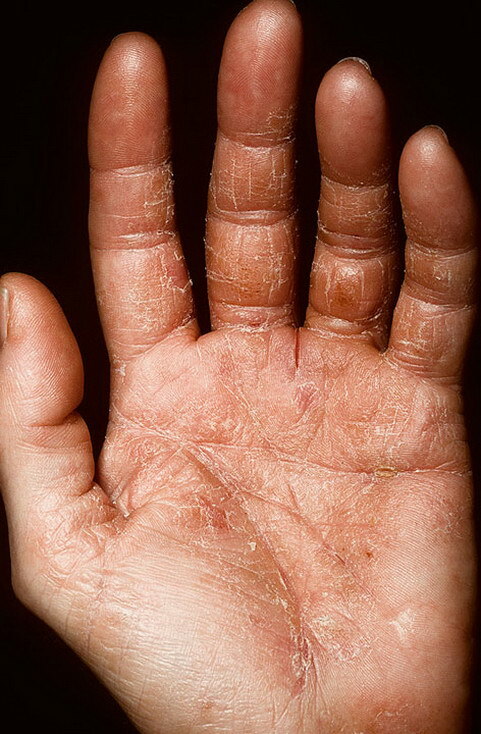 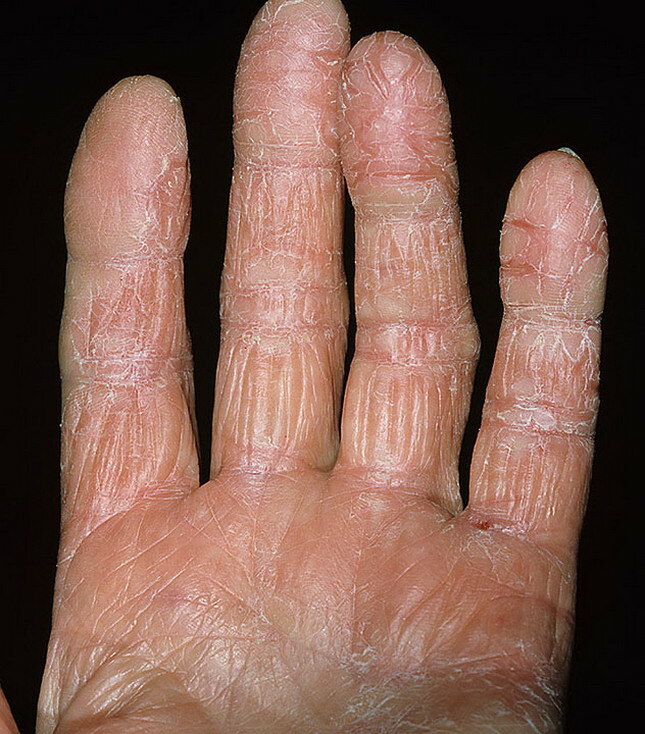 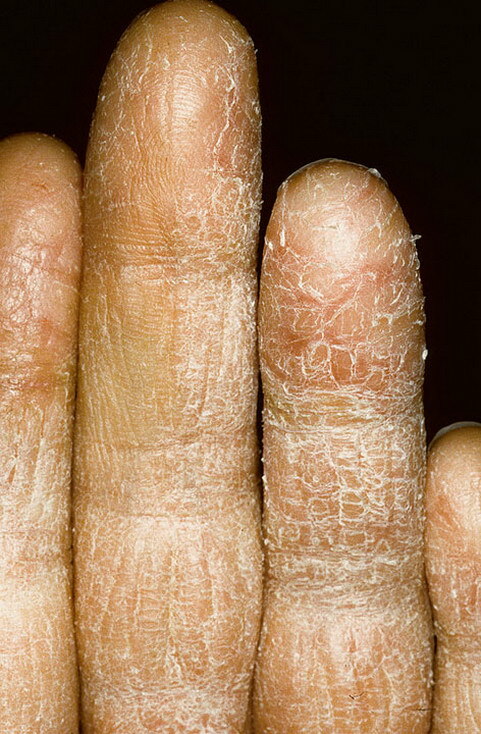 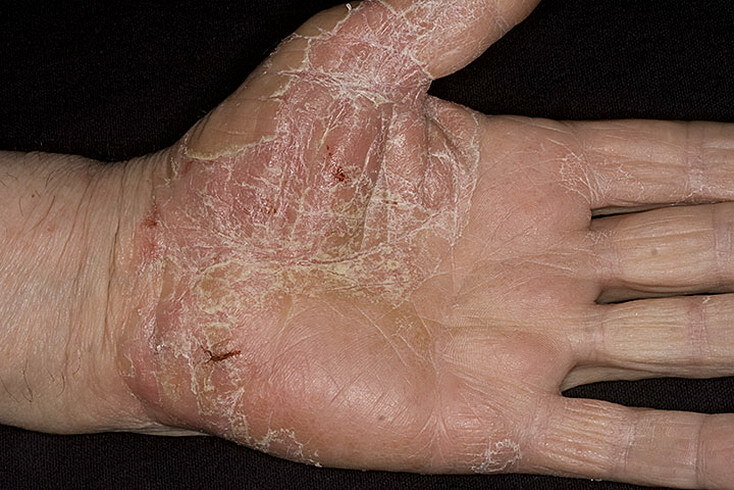 Hand eczema is widely prevalent and, as it is a very visible condition associated with severe itching or pain, has serious consequences for the affected person including a high psychological impact. 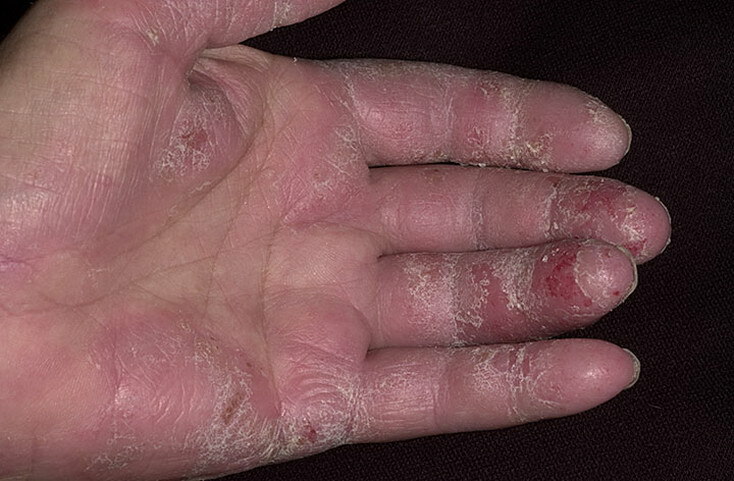 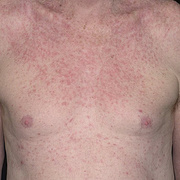 Different disease patterns can be identified according to the course of the illness, appearance of symptoms, degree of severity, or catalysts. 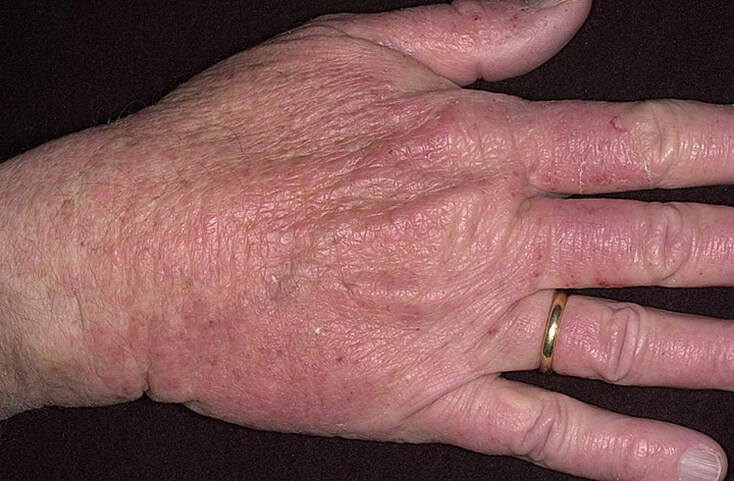 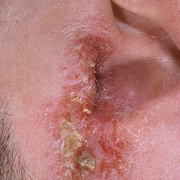 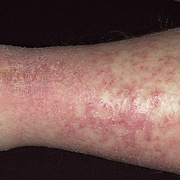 Prognosis is hard to predict for individual cases of chronic hand eczema and usually differs from patient to patient. 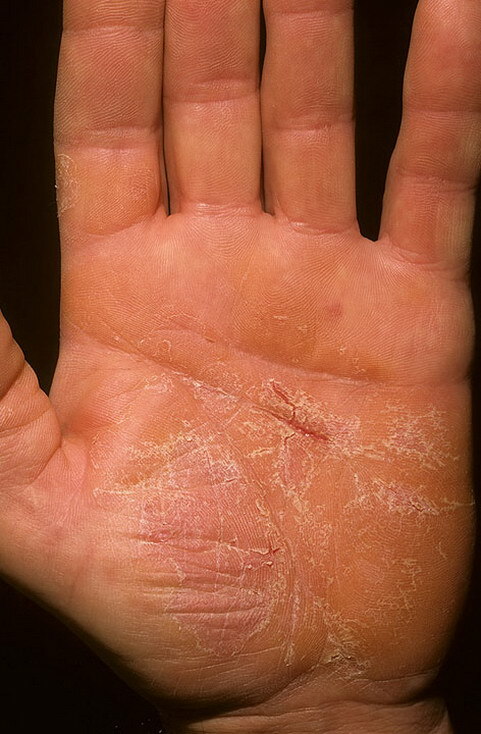 Successful treatment depends on determining the causes of the condition, obtaining an accurate diagnosis, sustainable hand protection procedures and an early, extensive, and where appropriate internal treatment.